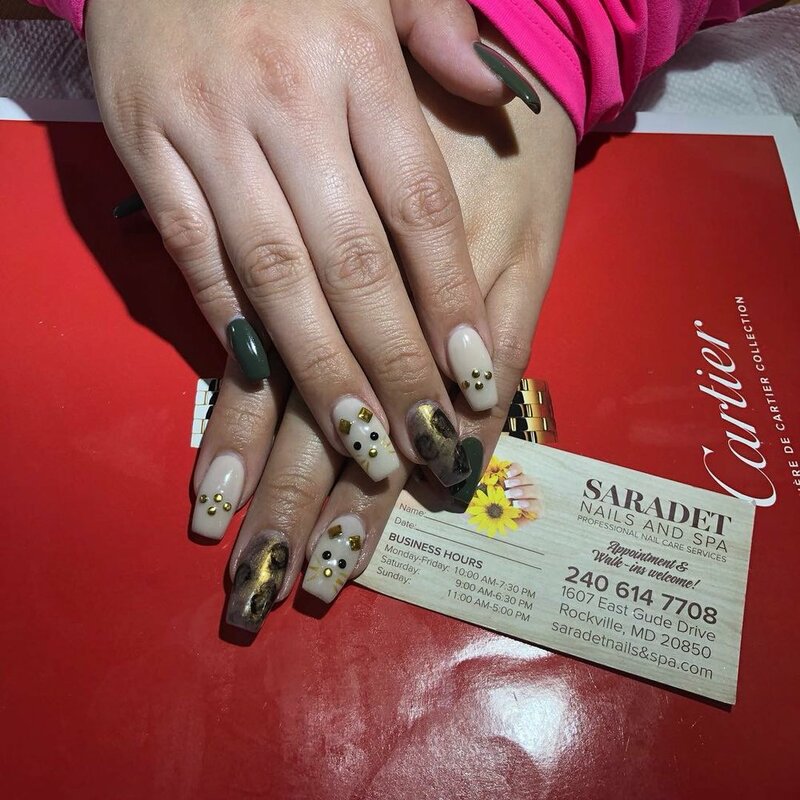 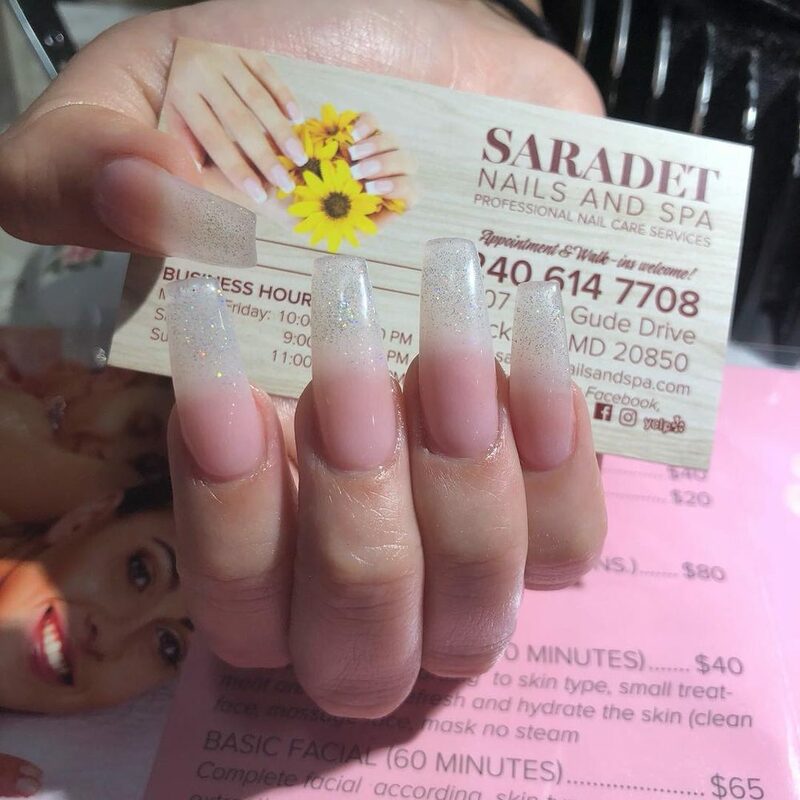 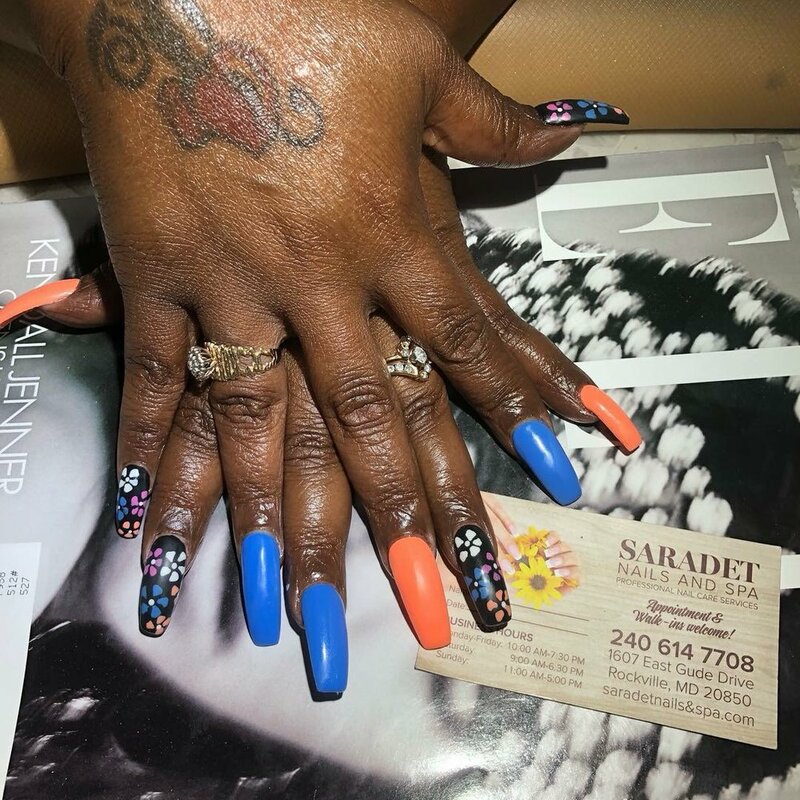 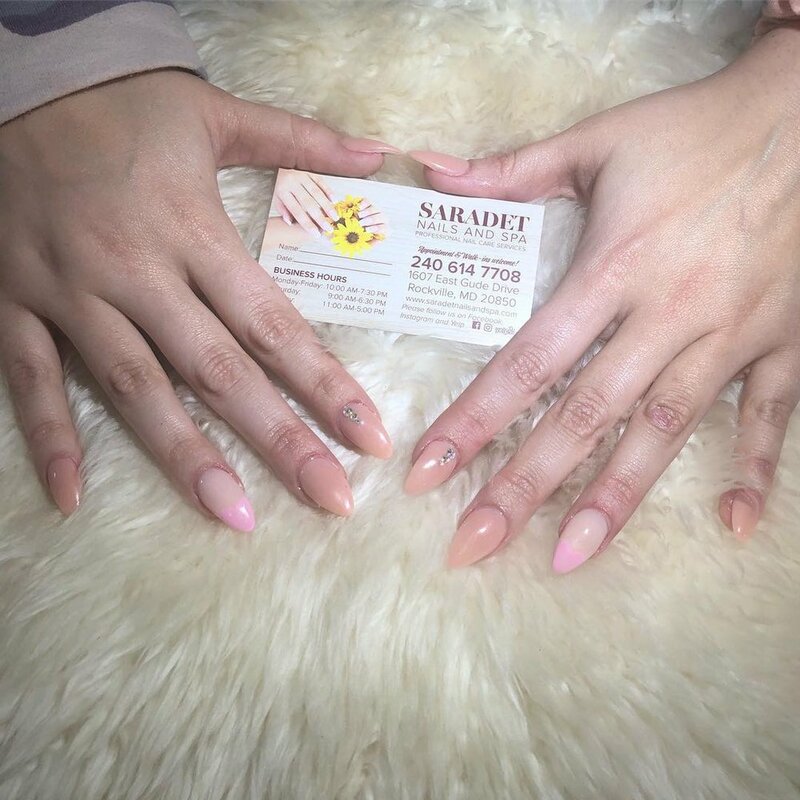 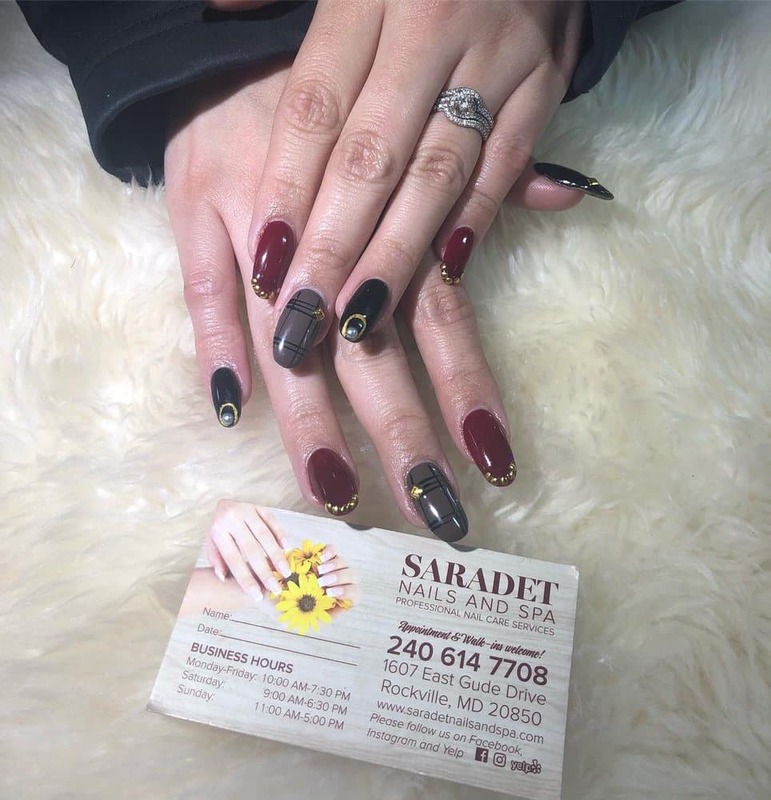 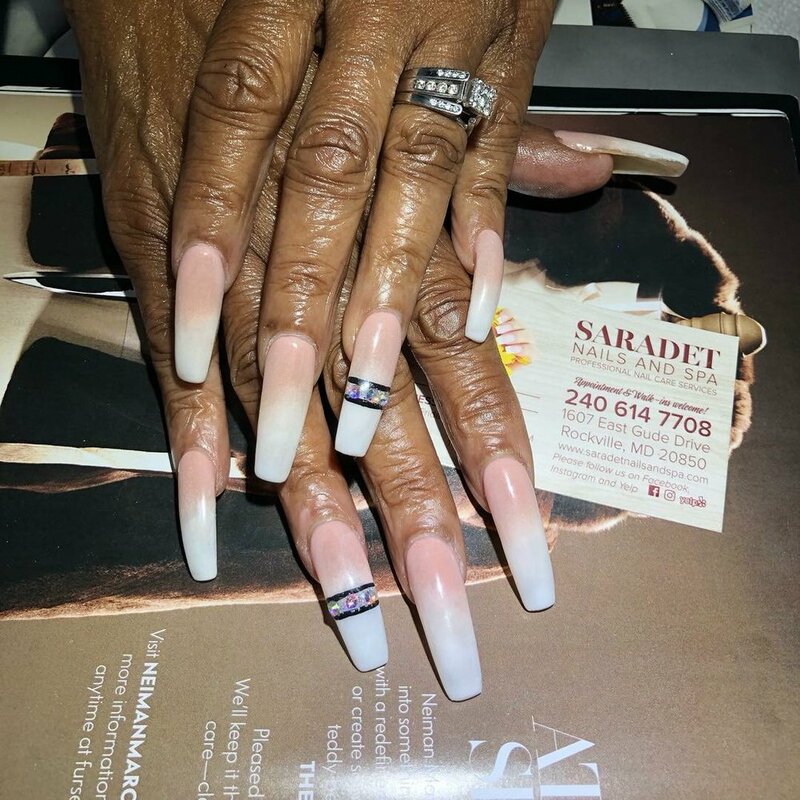 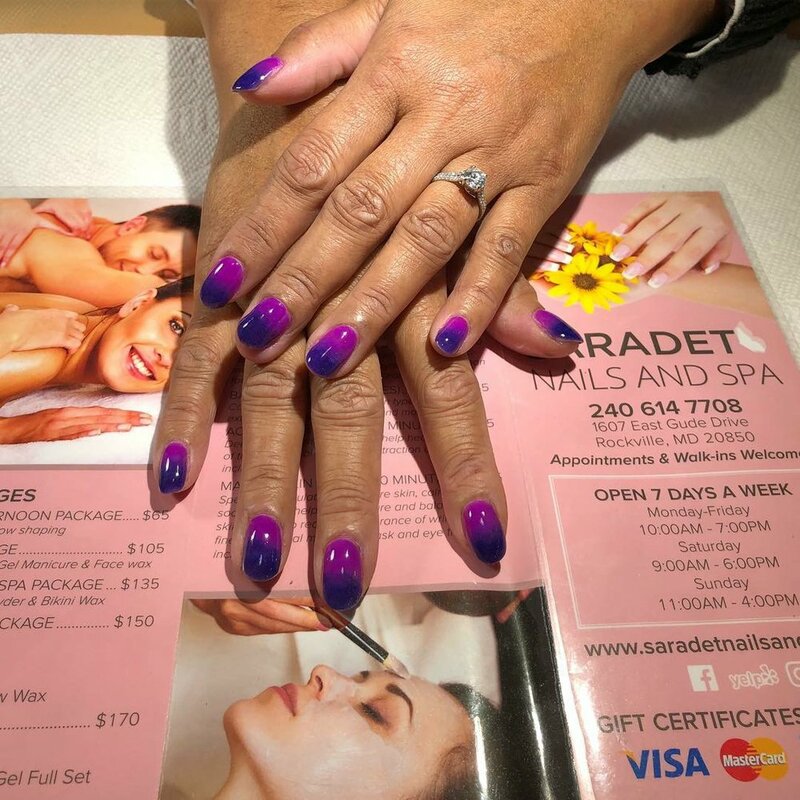 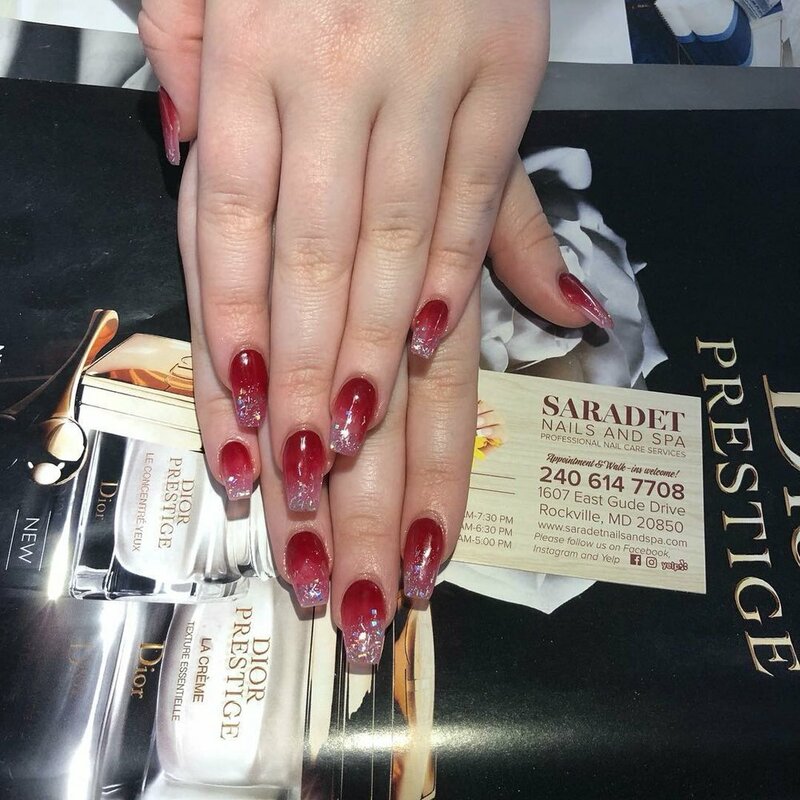 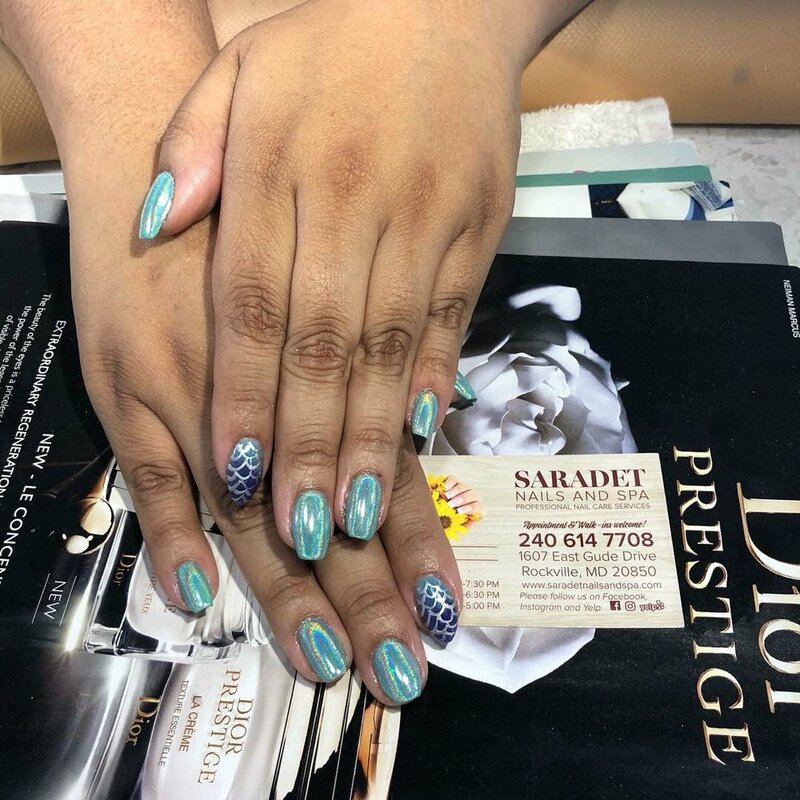 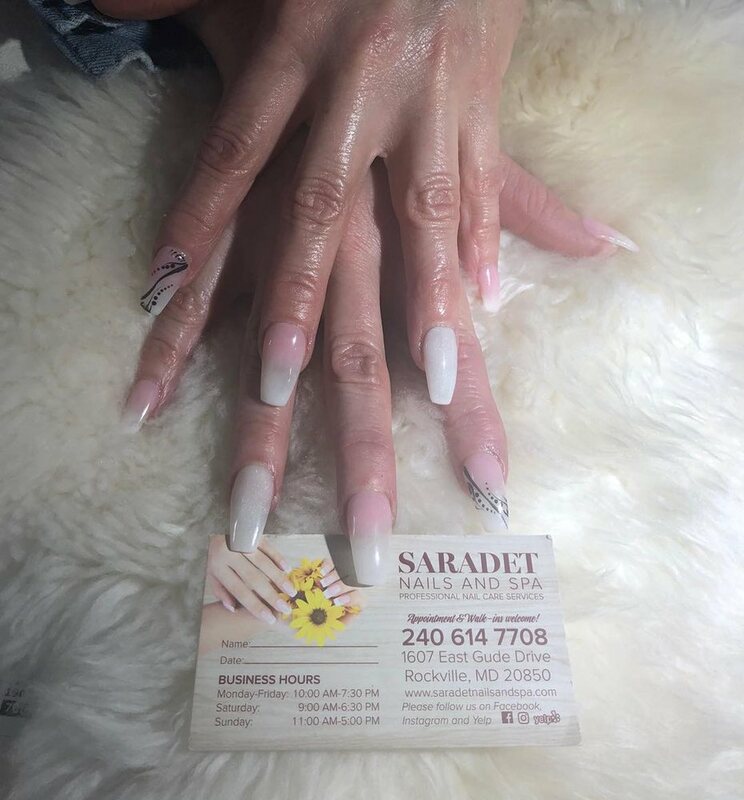 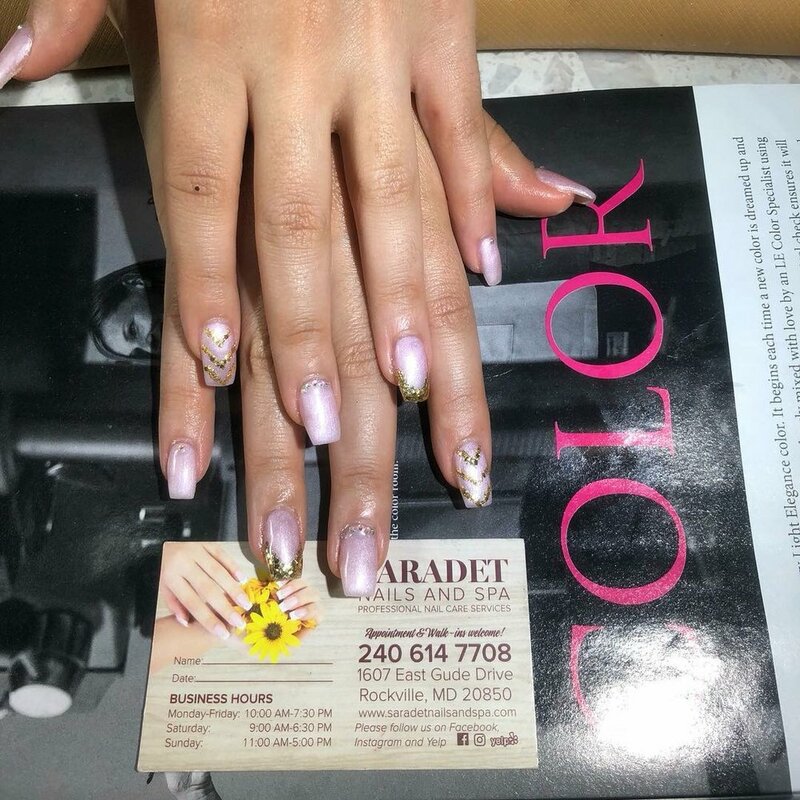 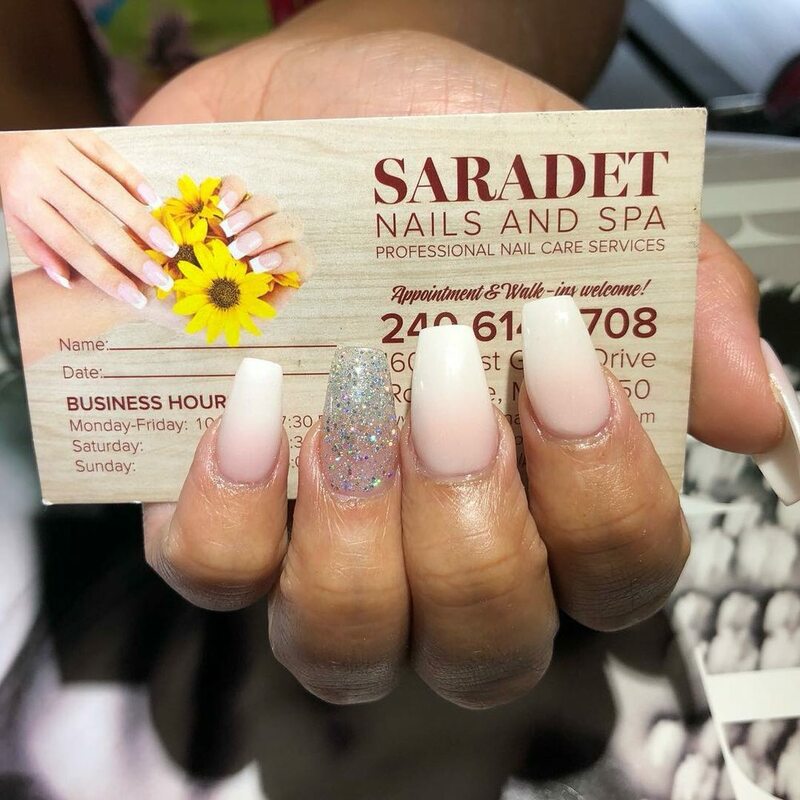 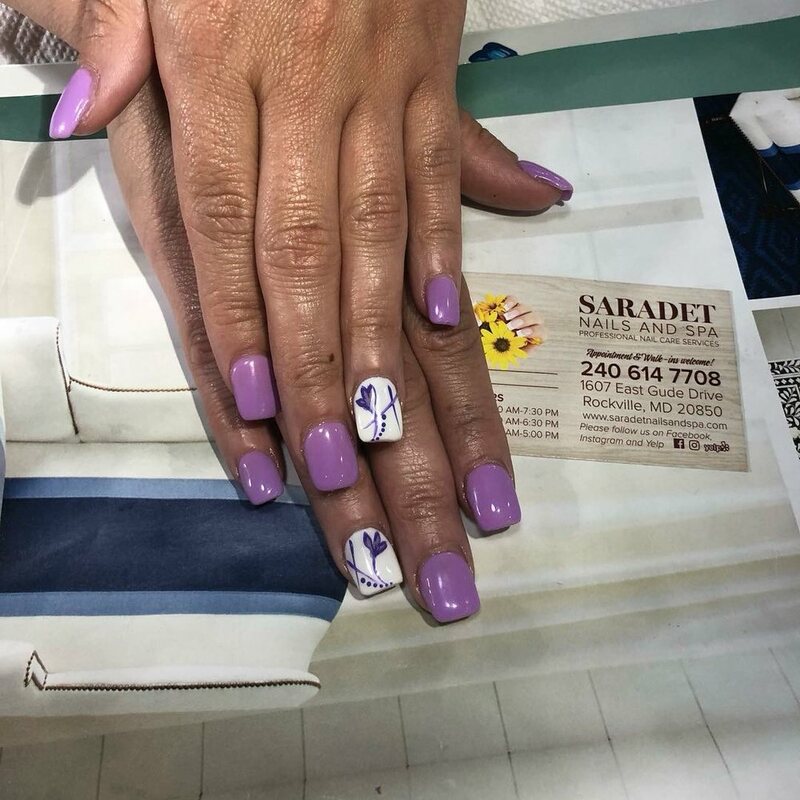 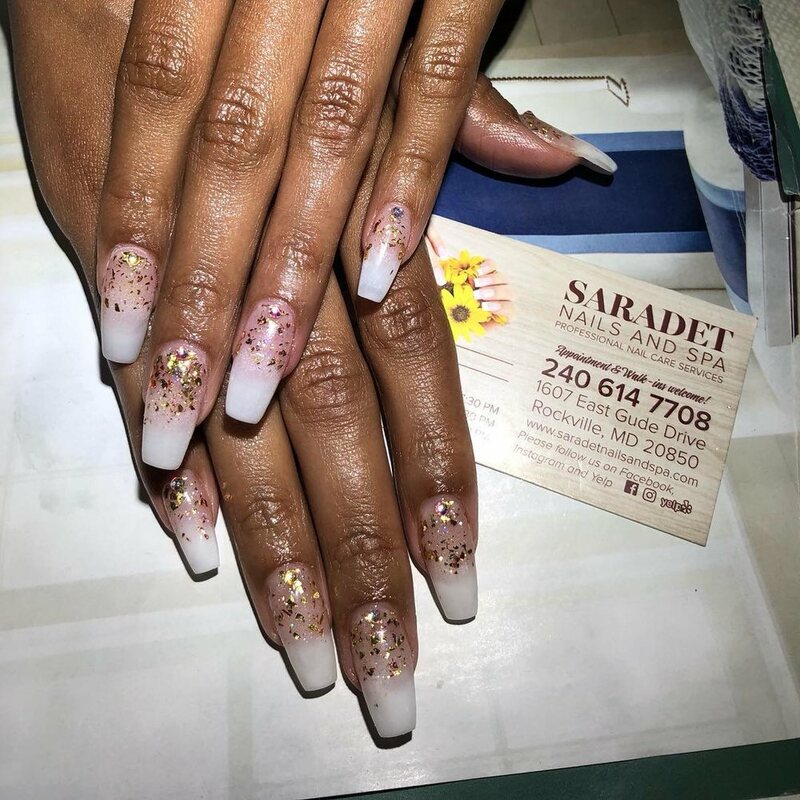 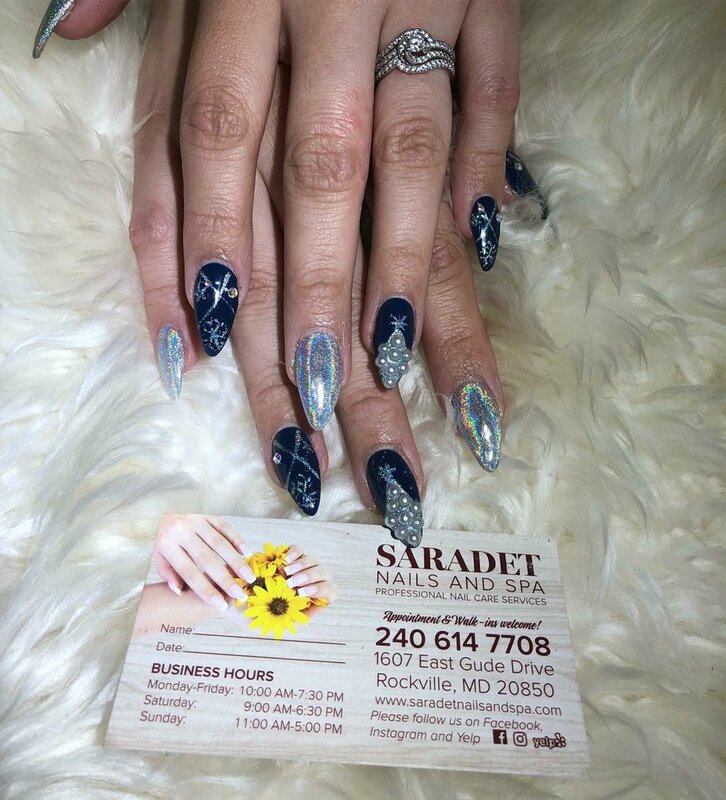 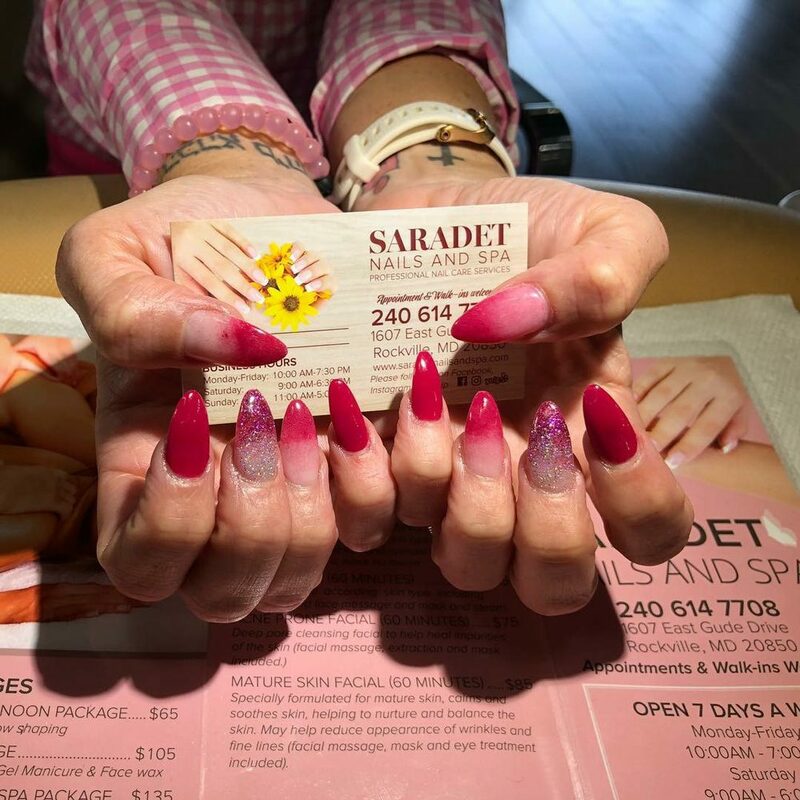 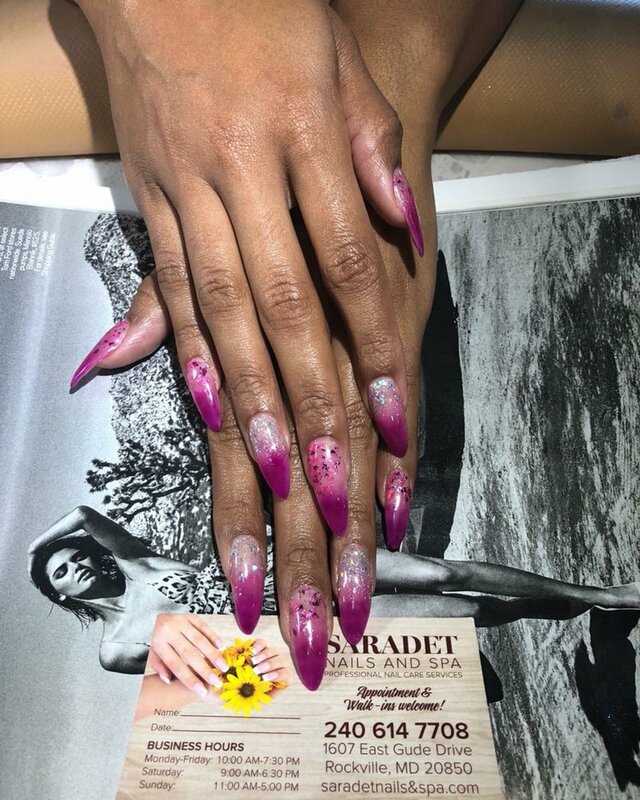 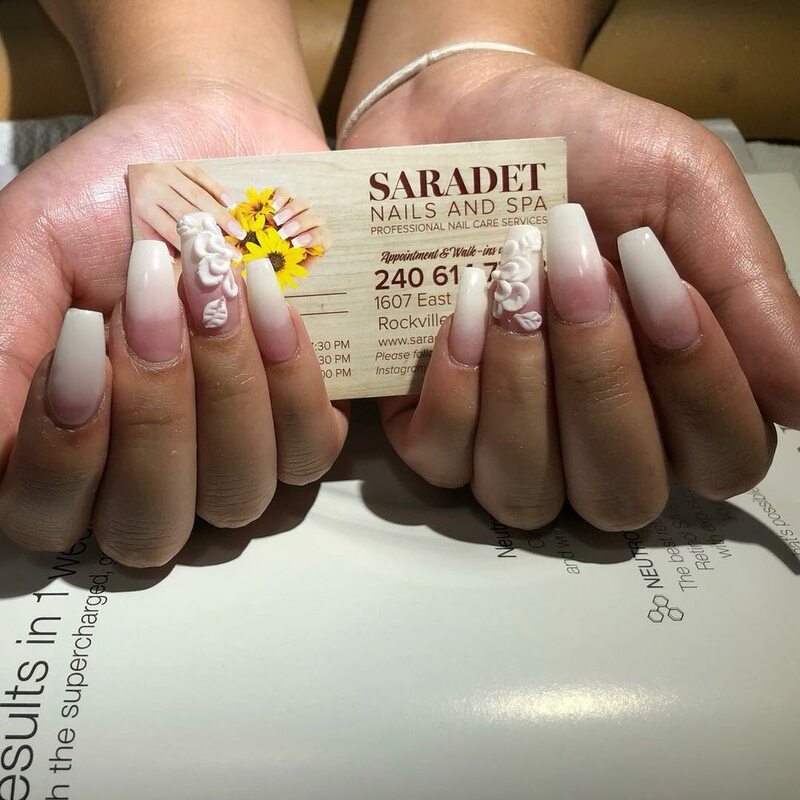 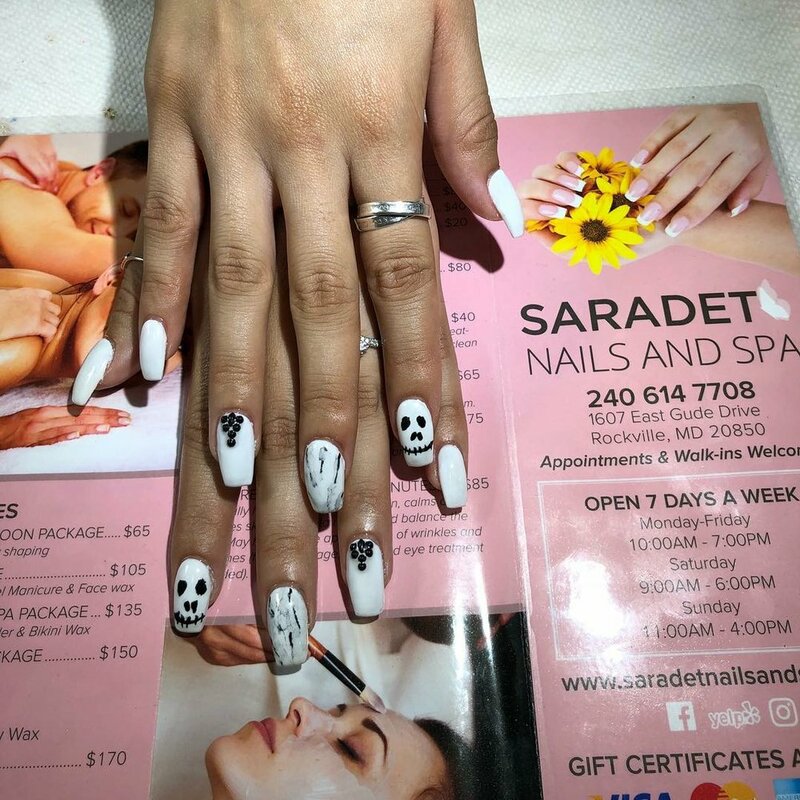 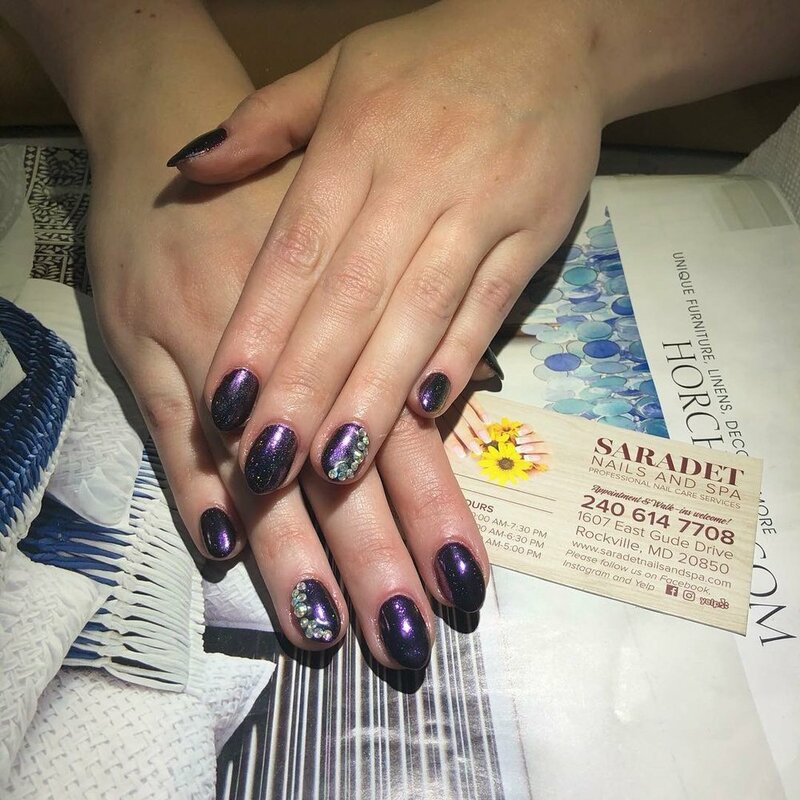 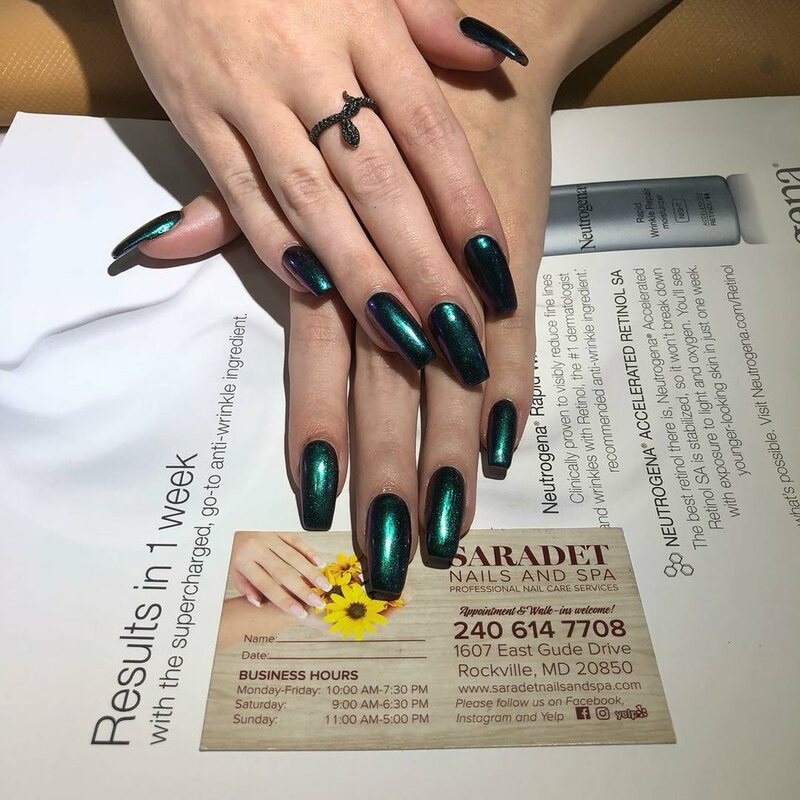 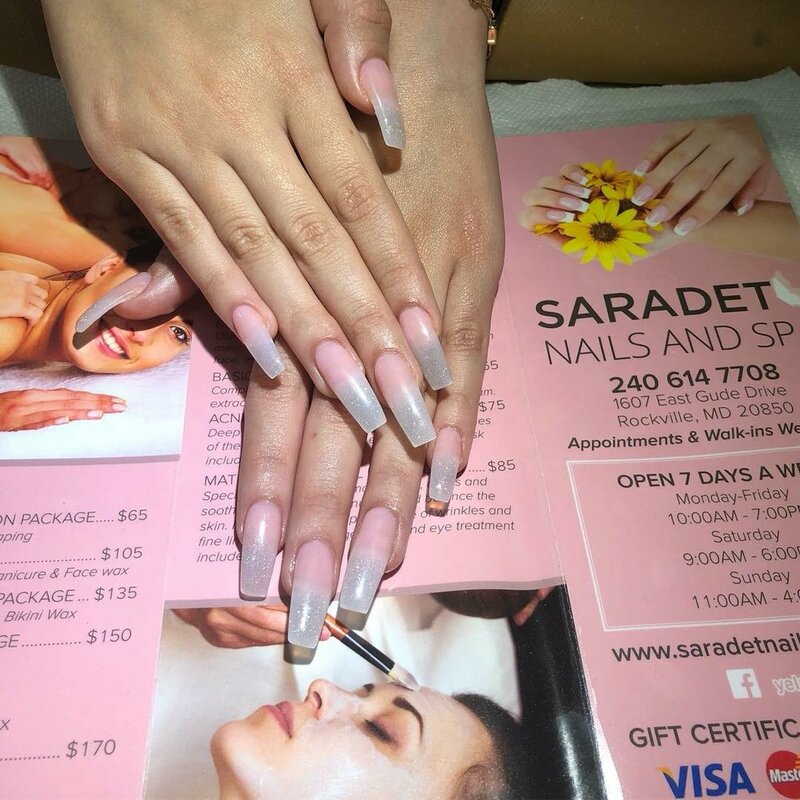 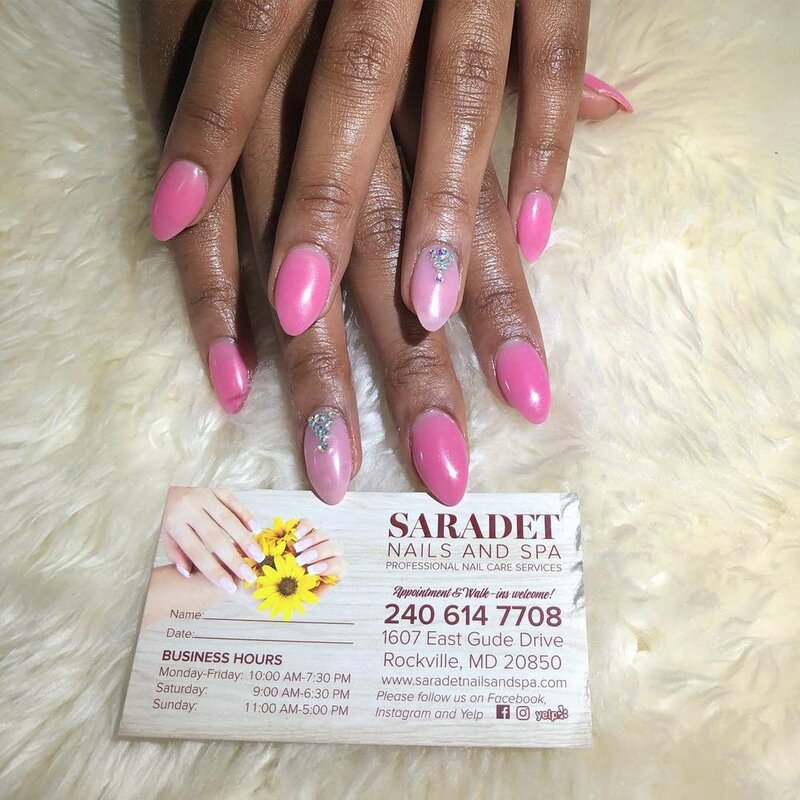 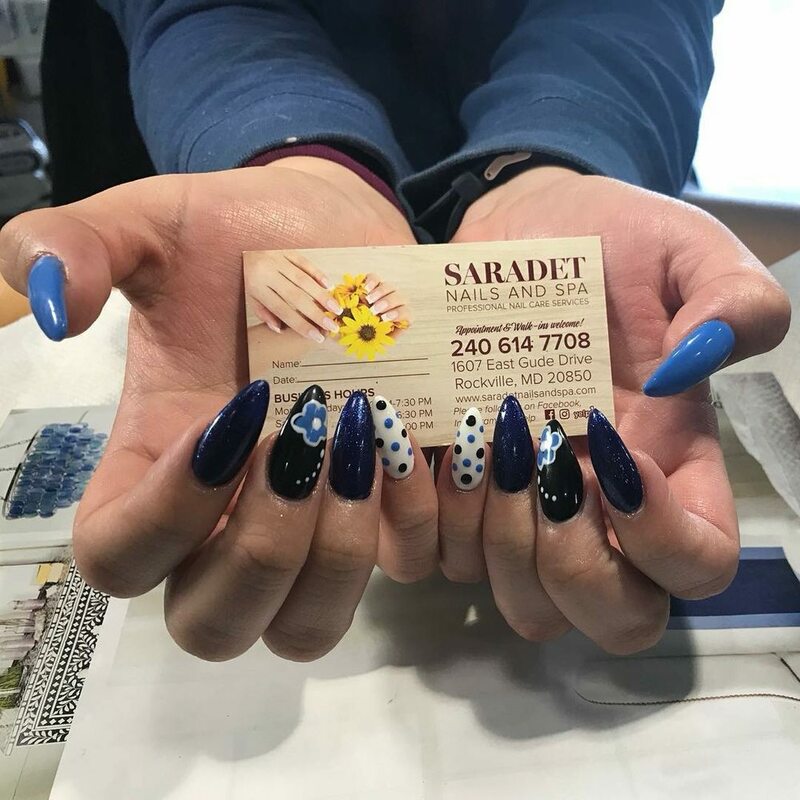 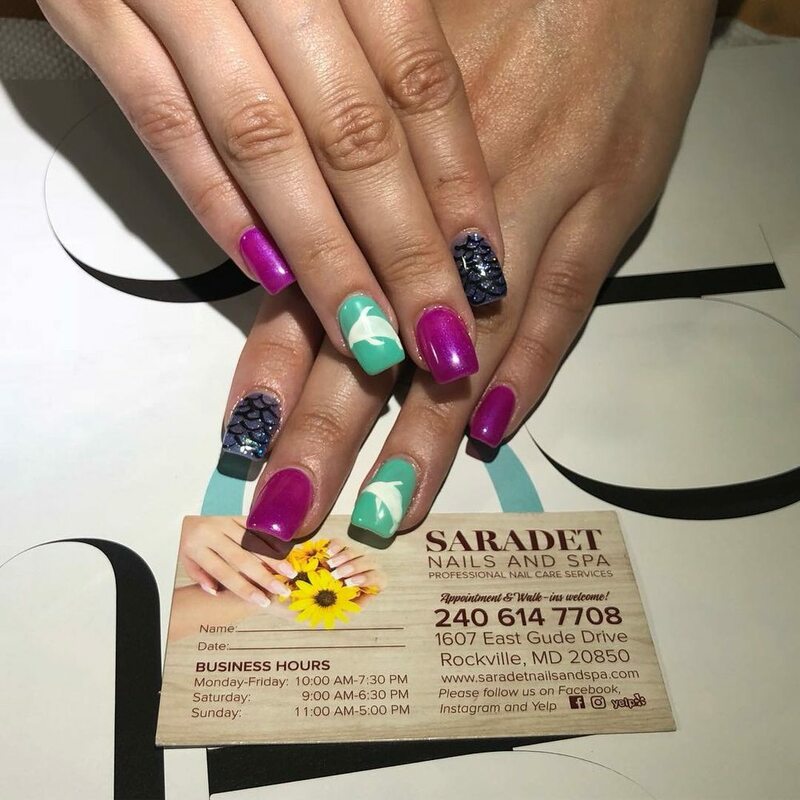 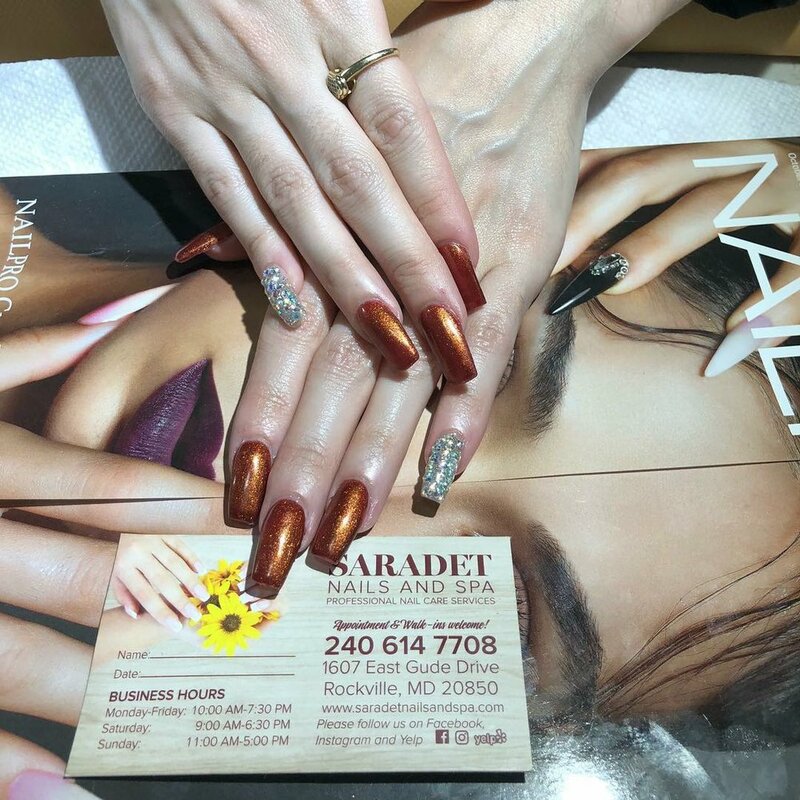 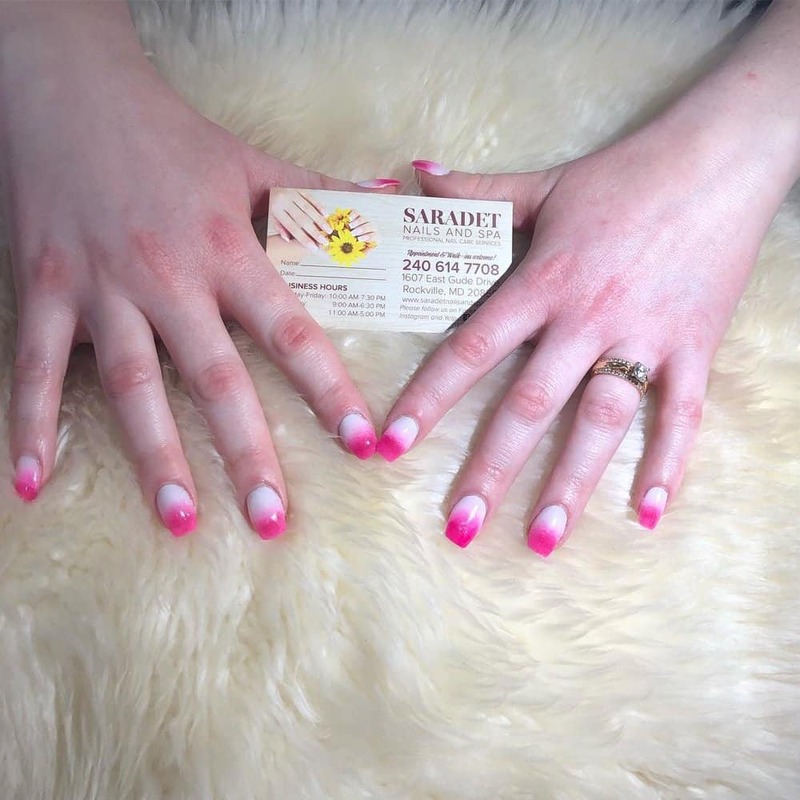 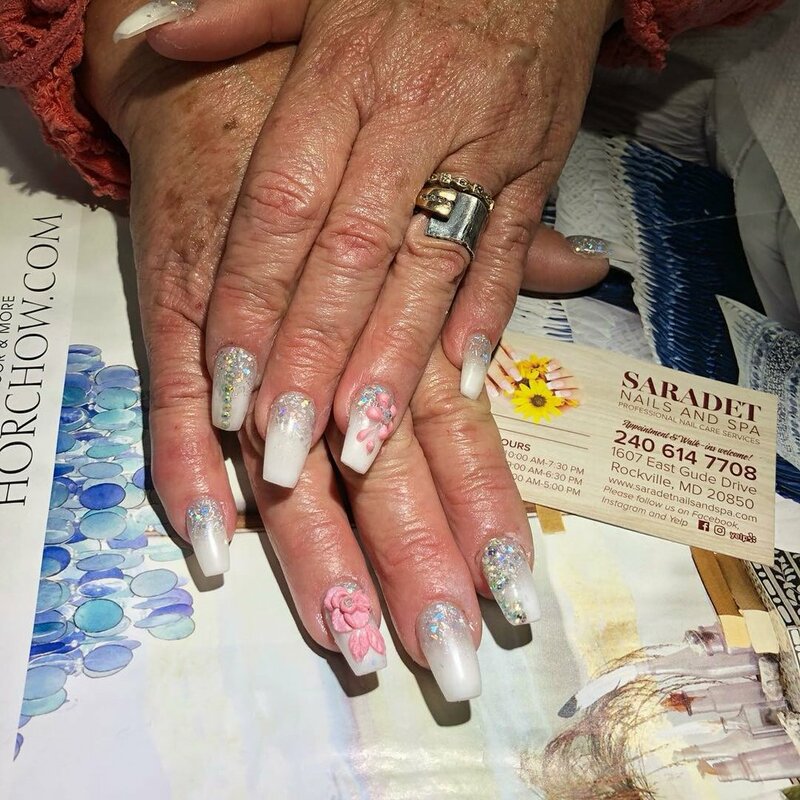 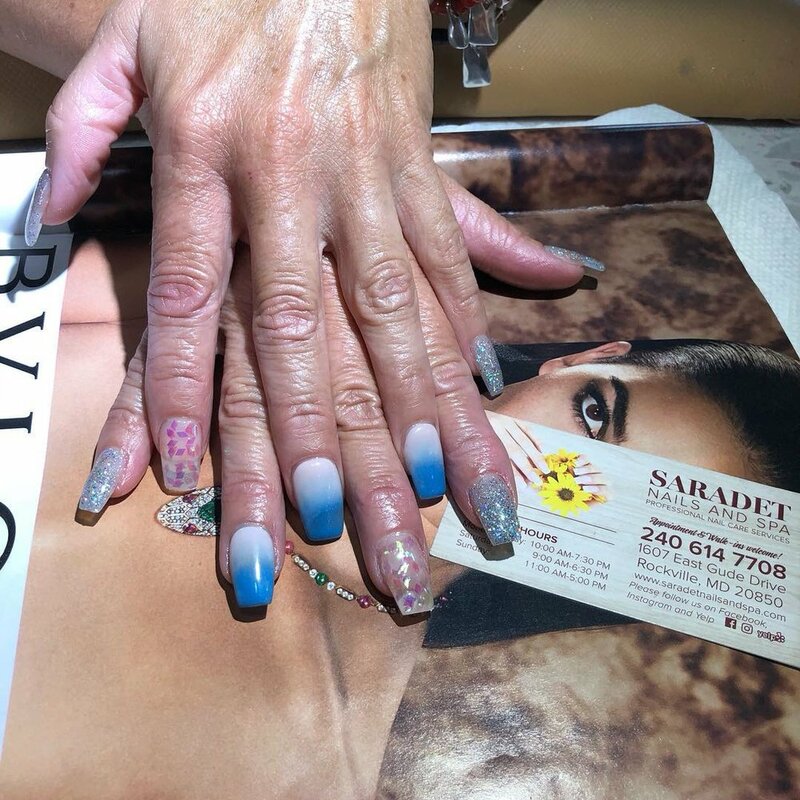 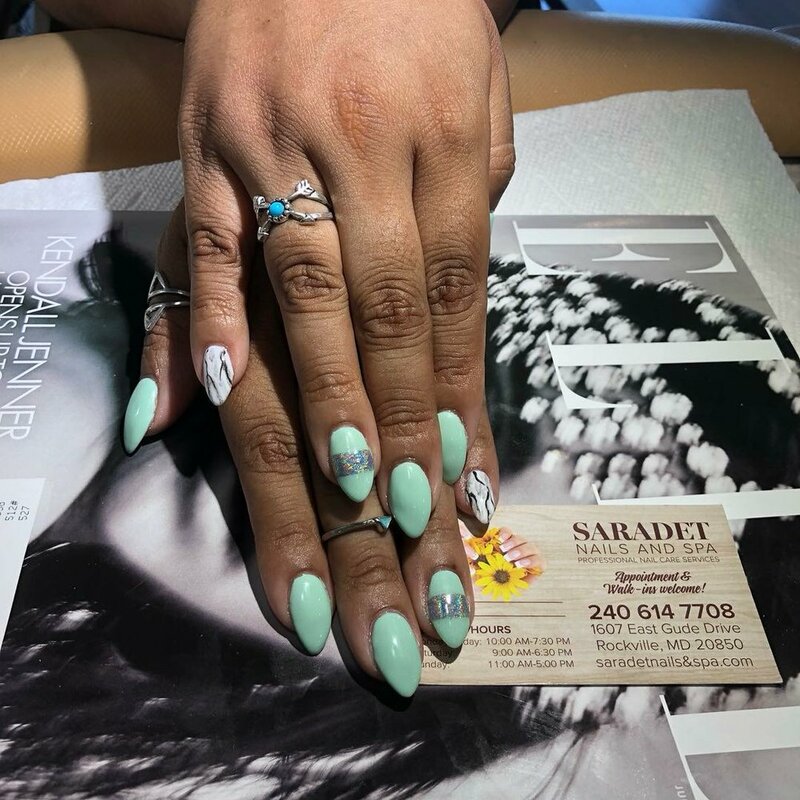 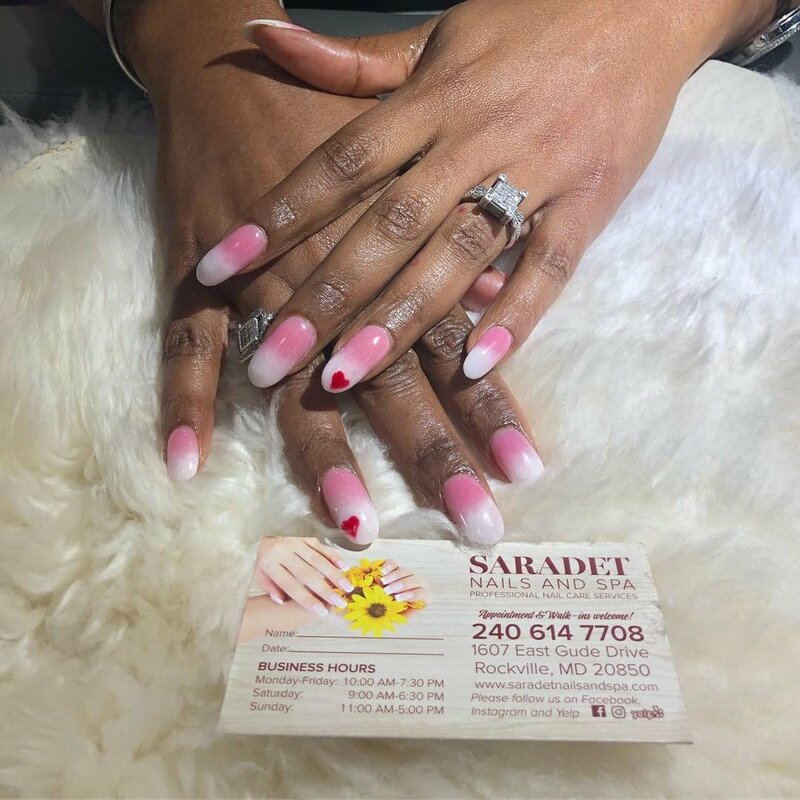 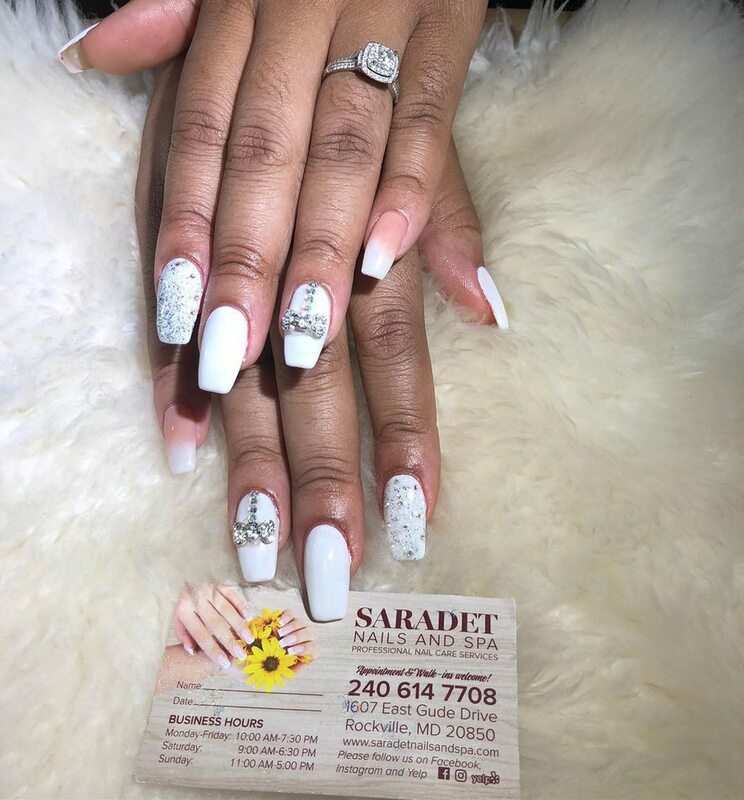 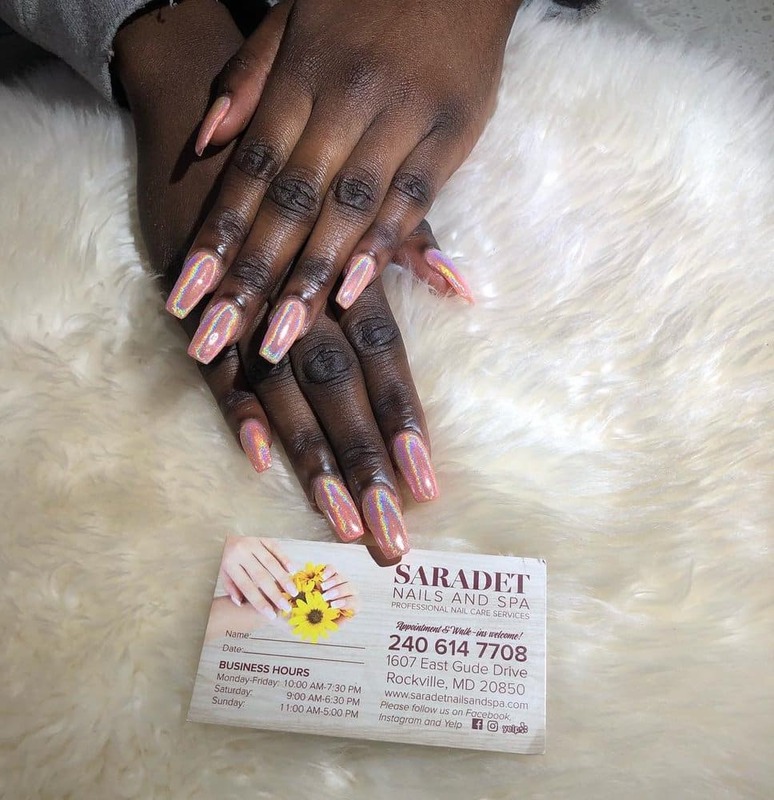 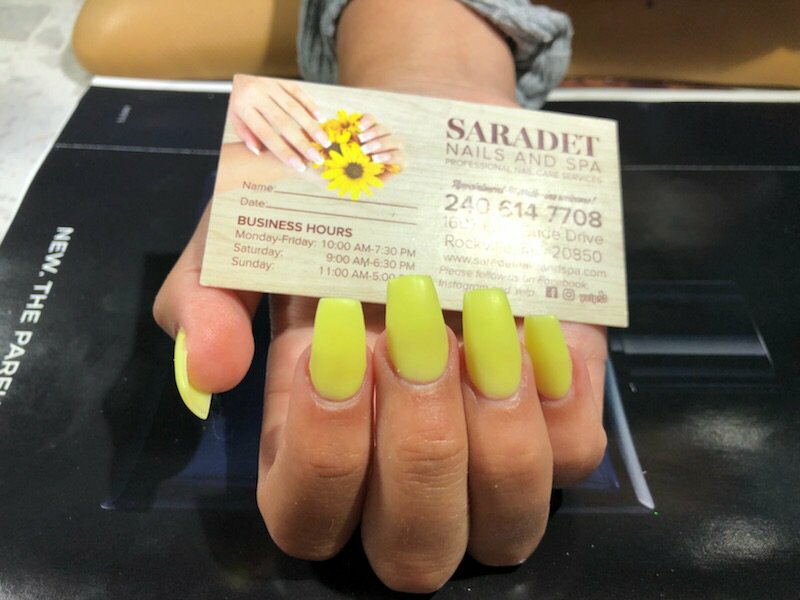 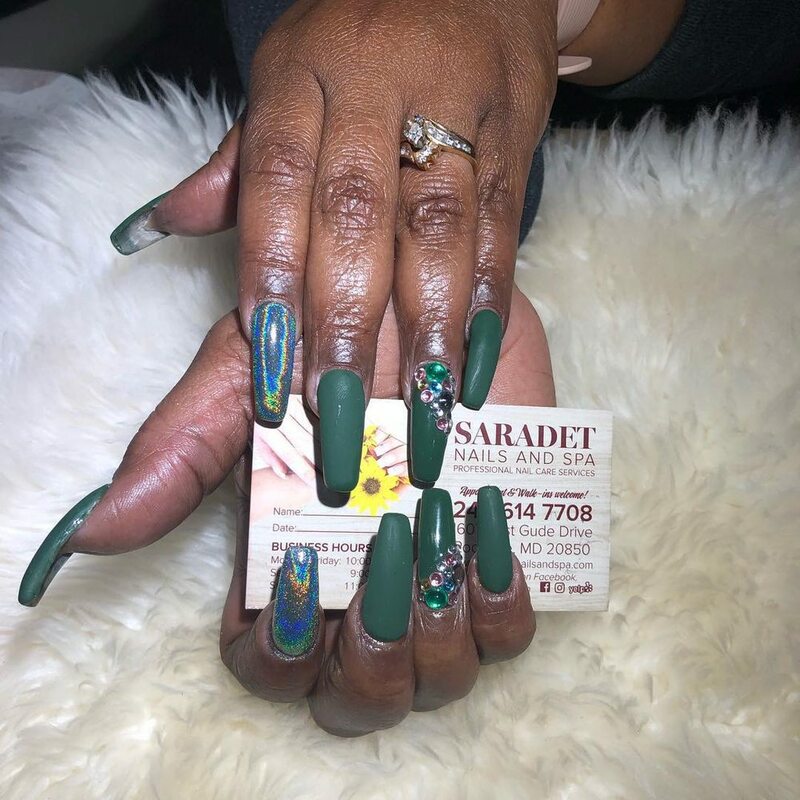 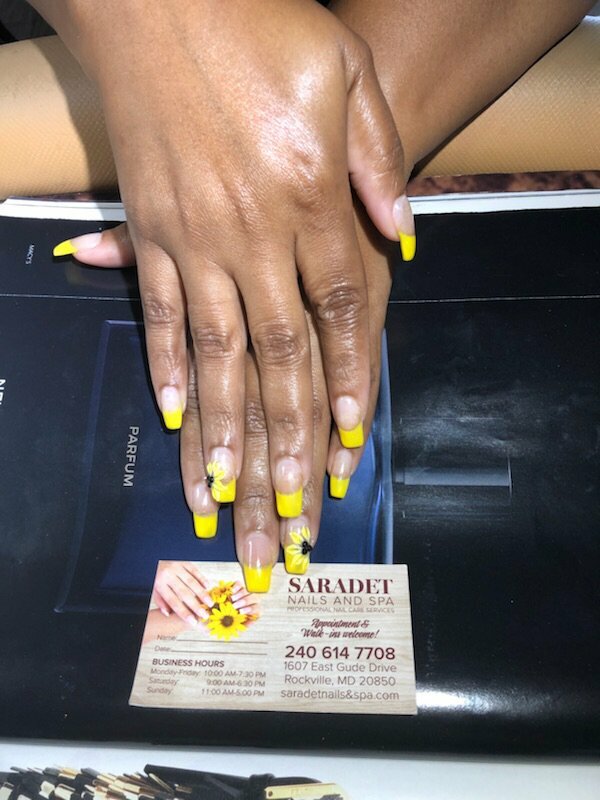 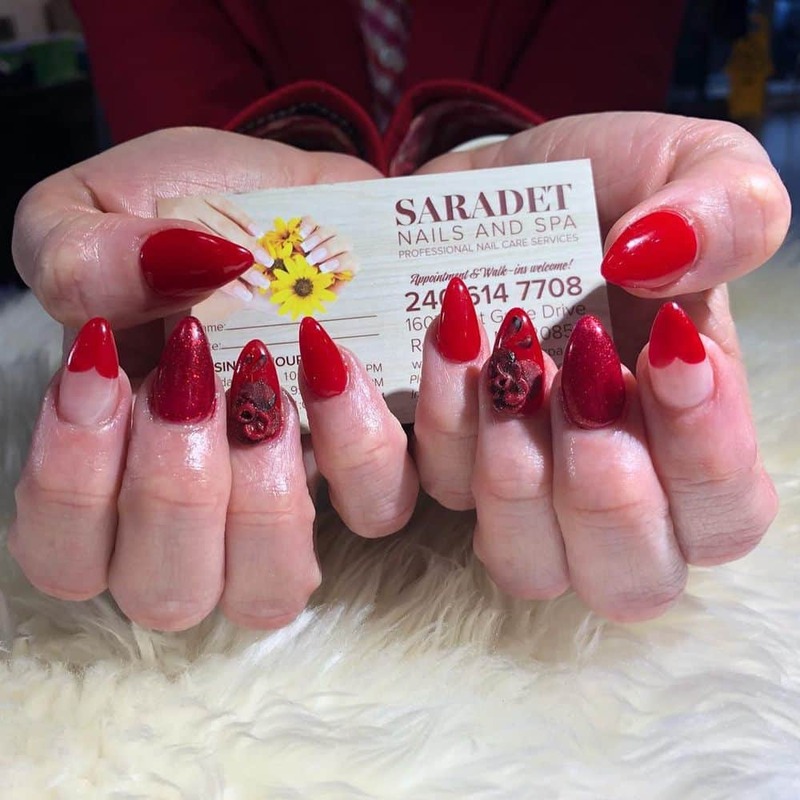 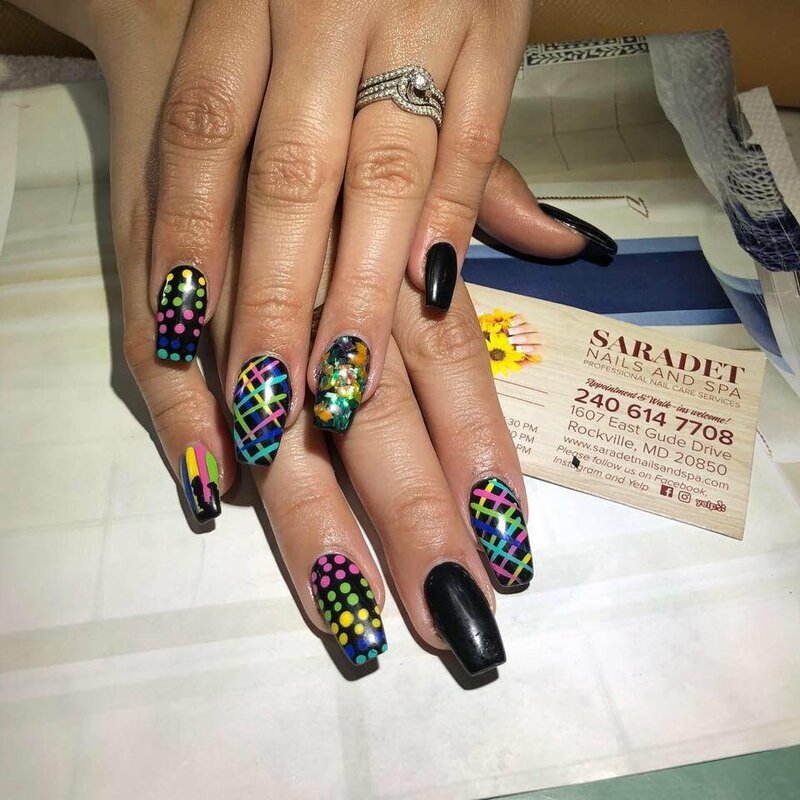 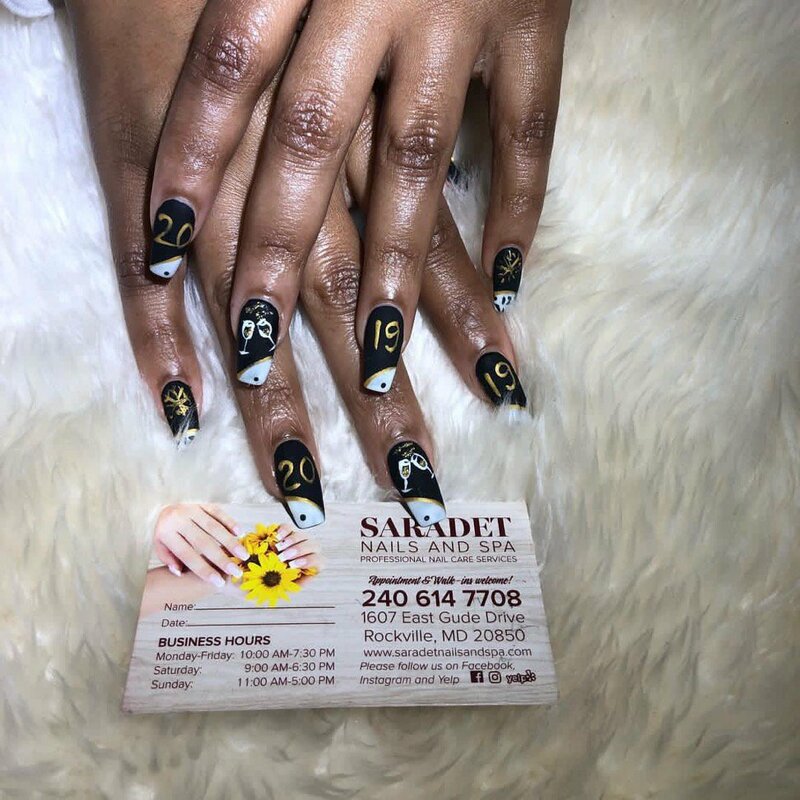 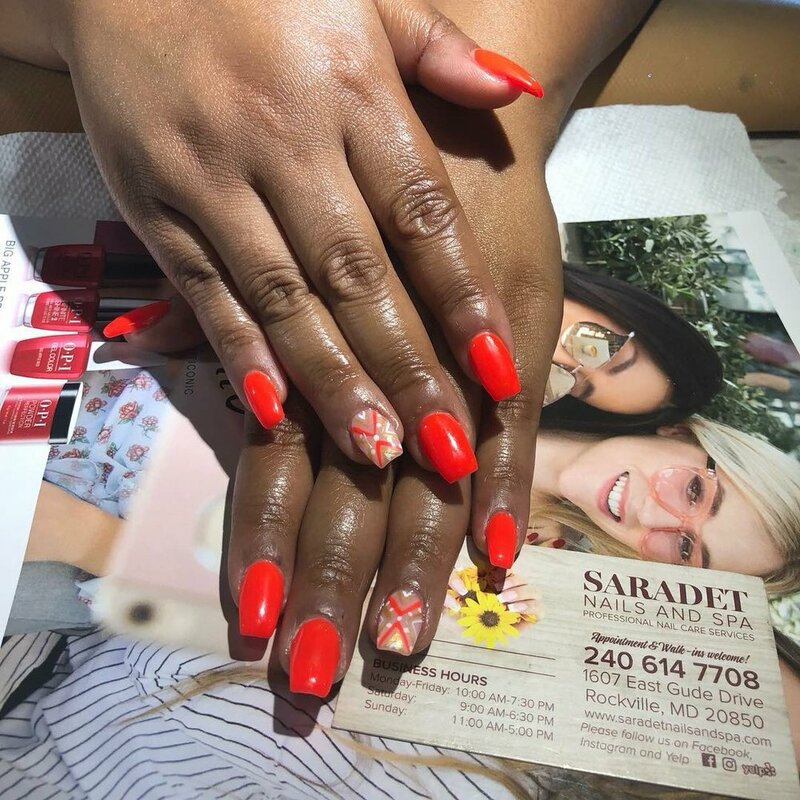 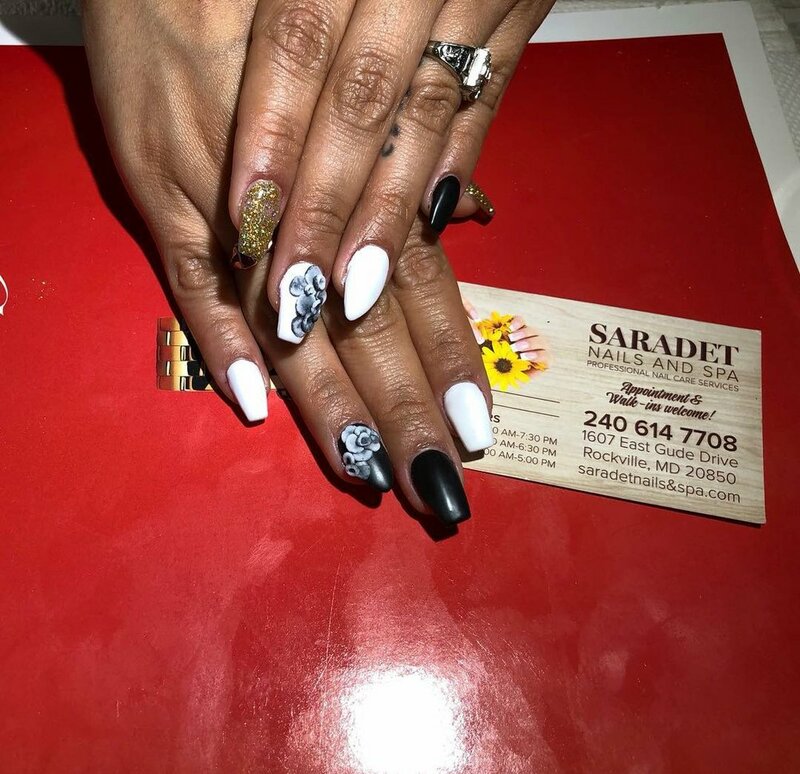 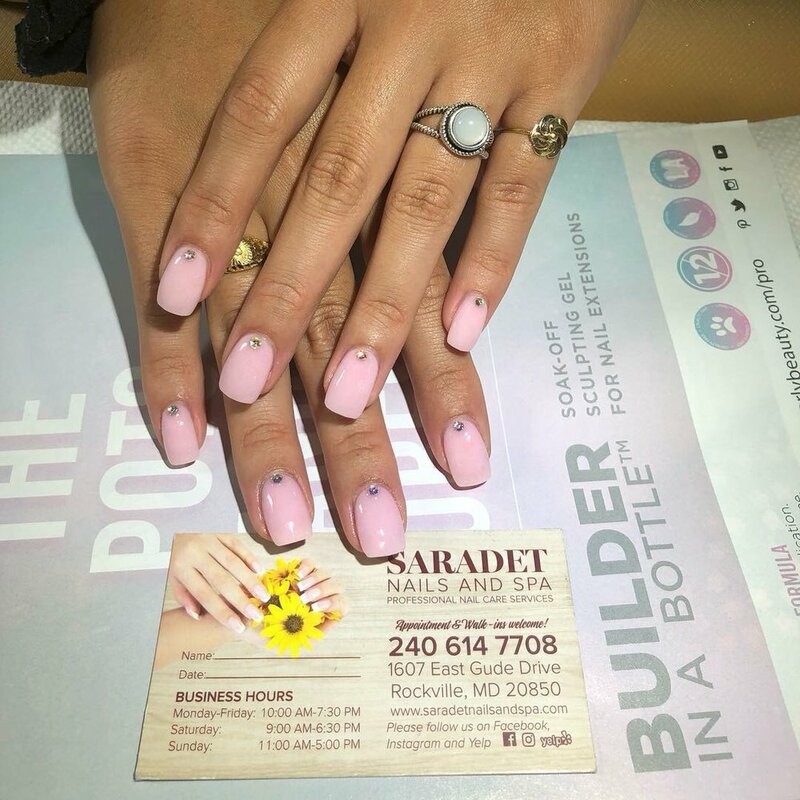 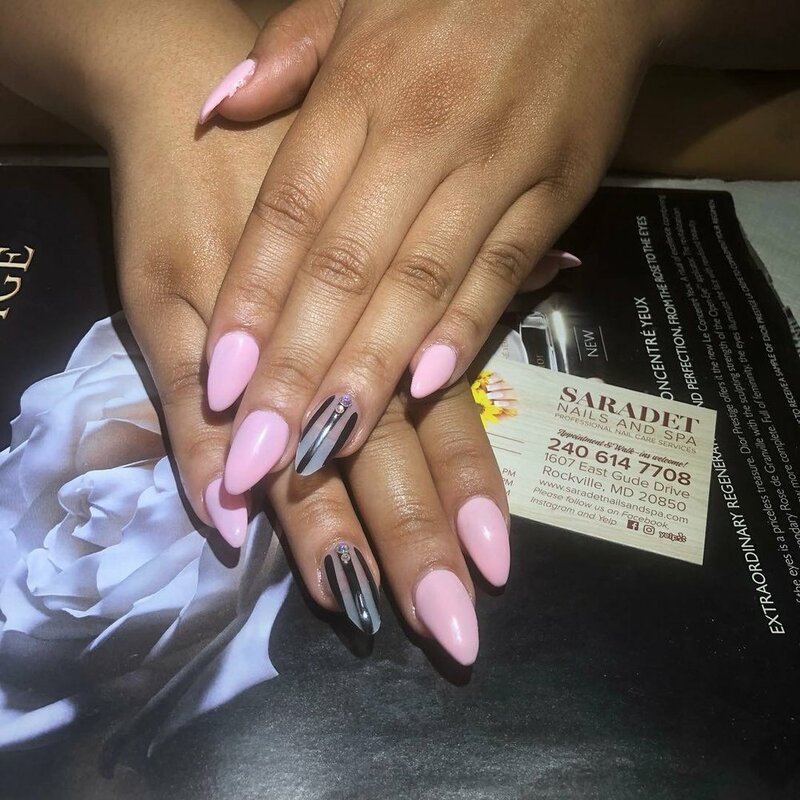 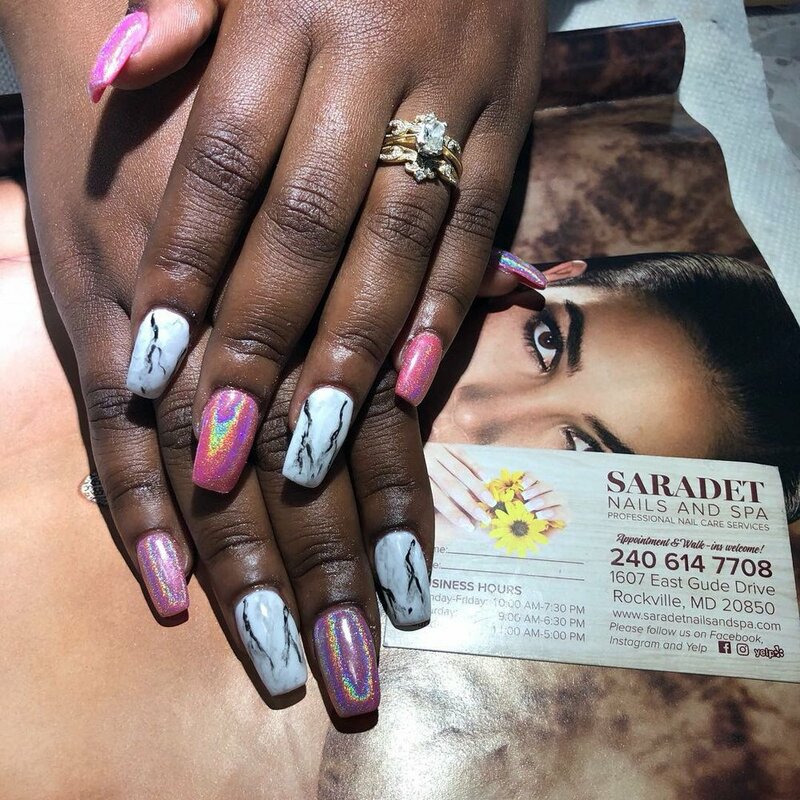 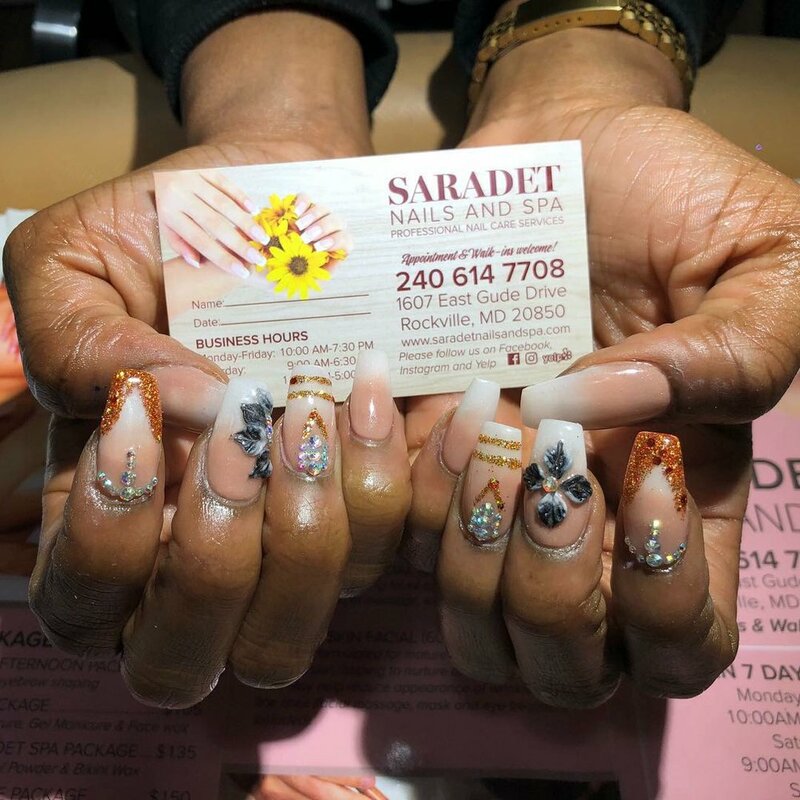 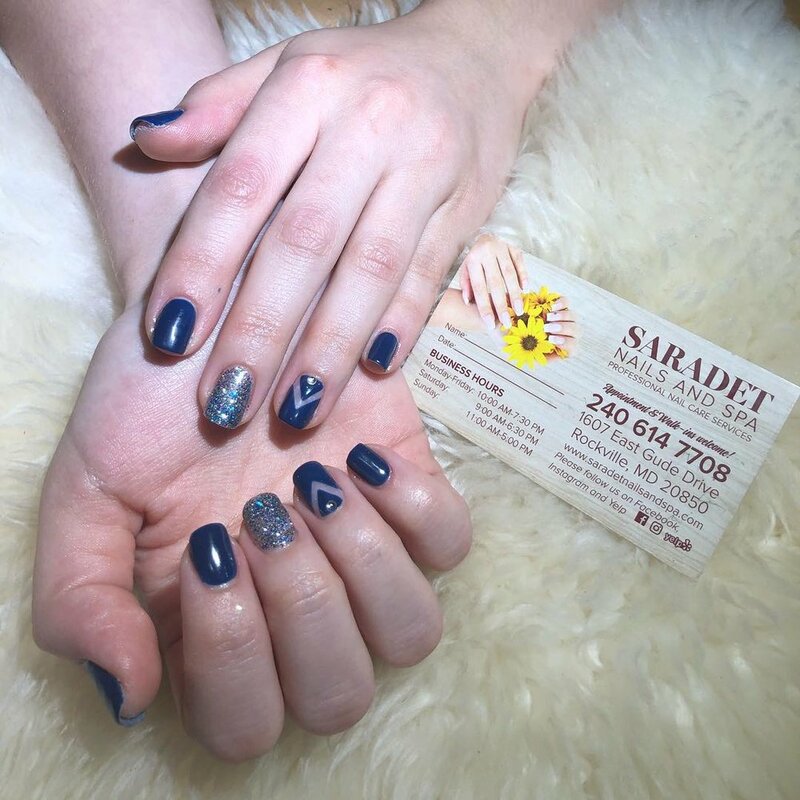 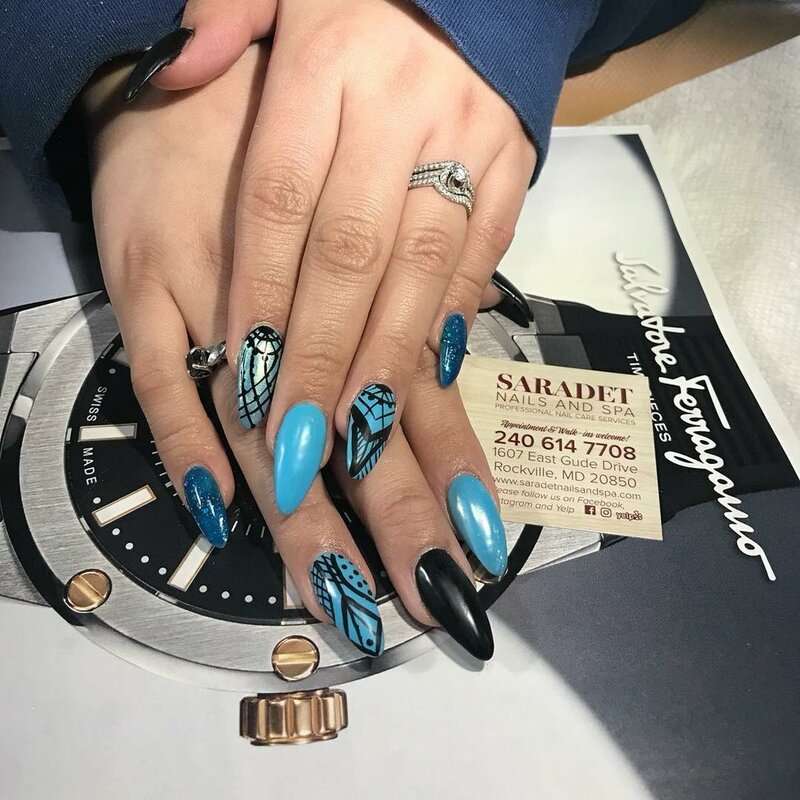 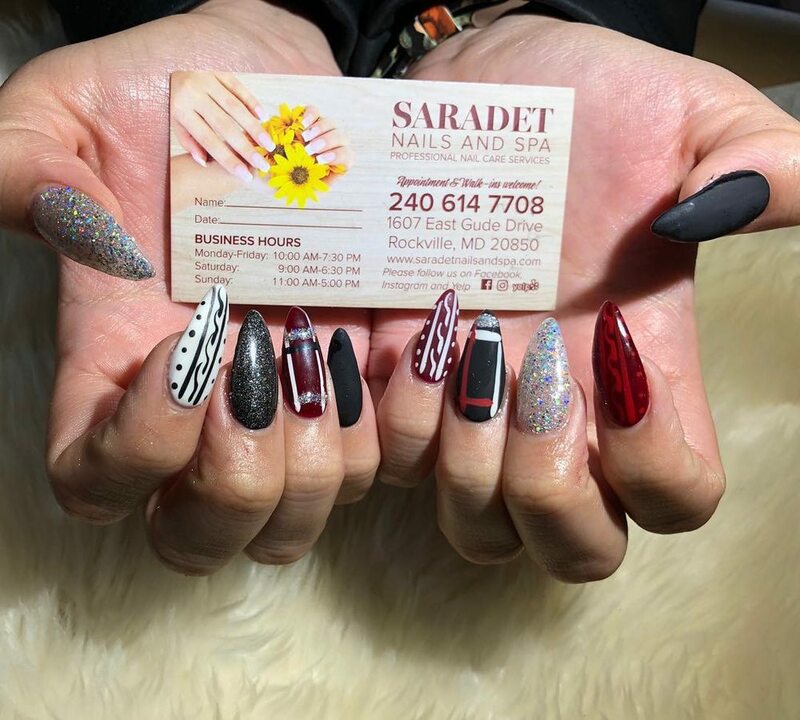 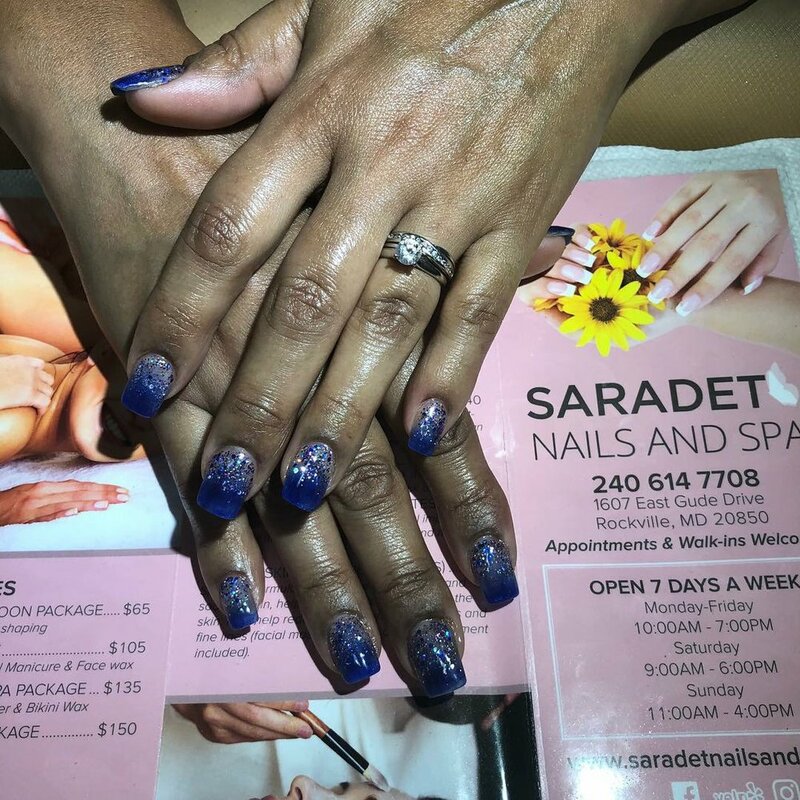 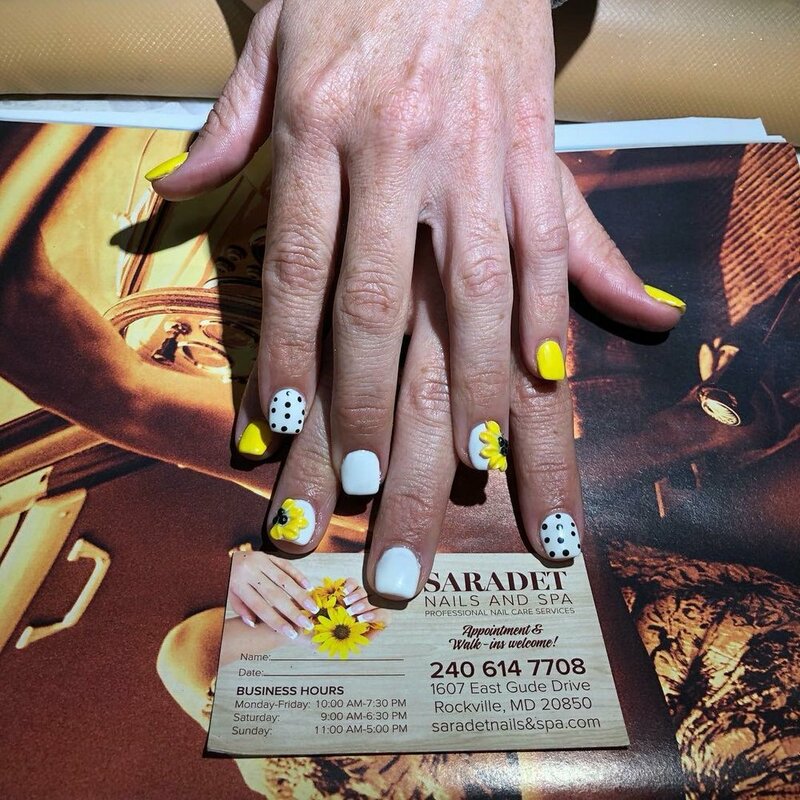 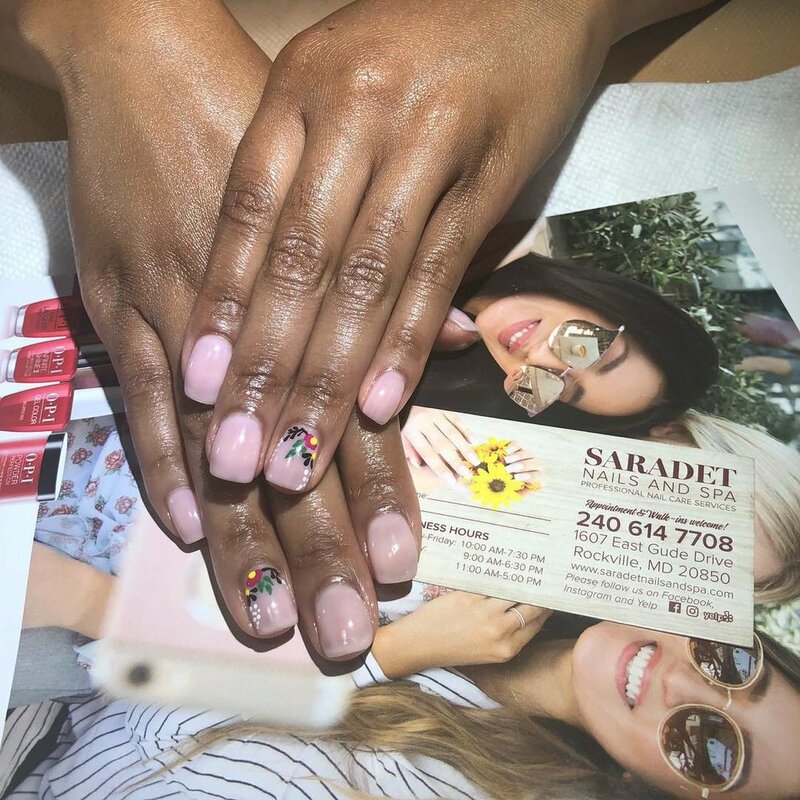 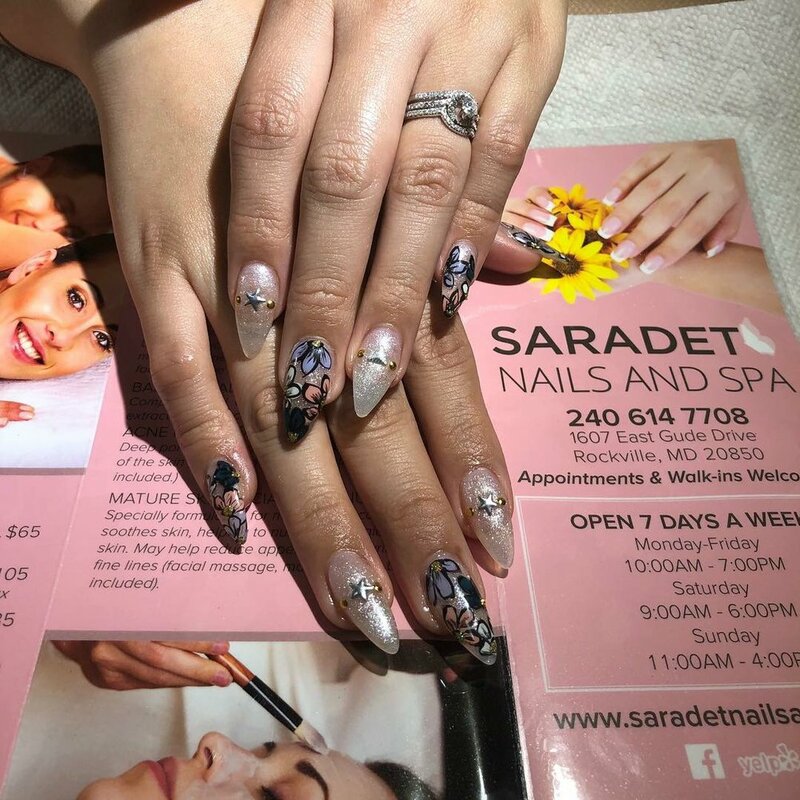 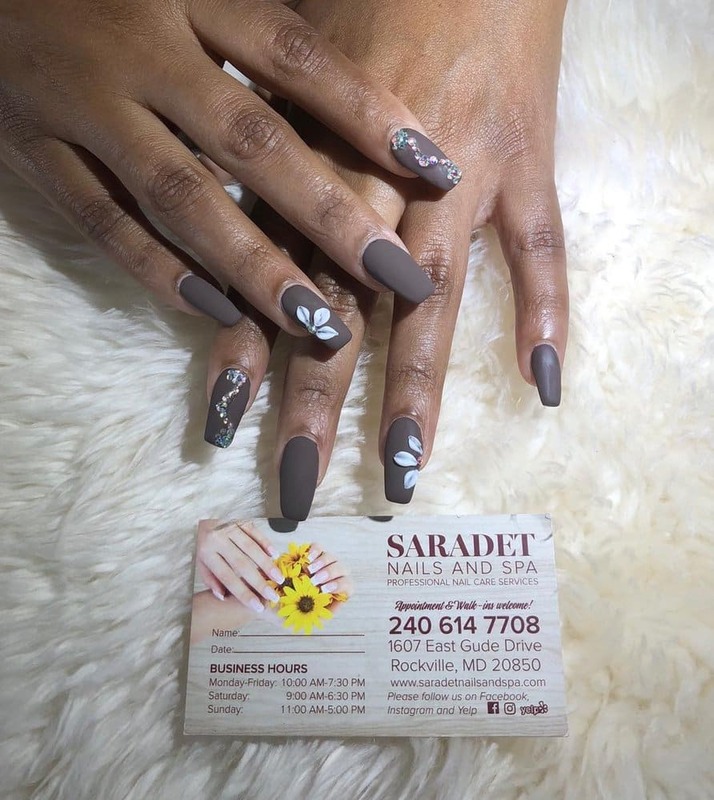 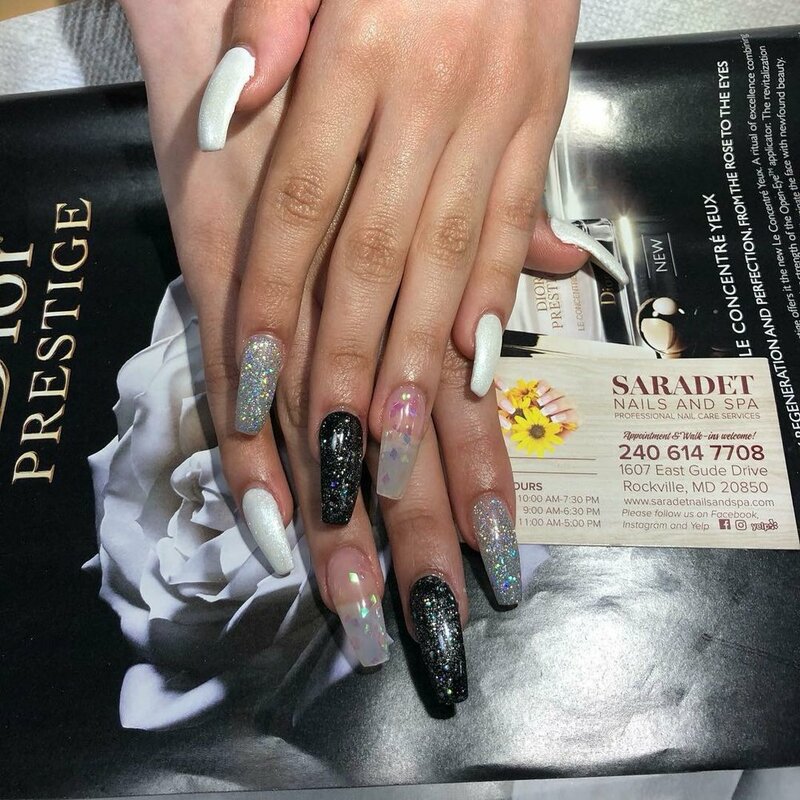 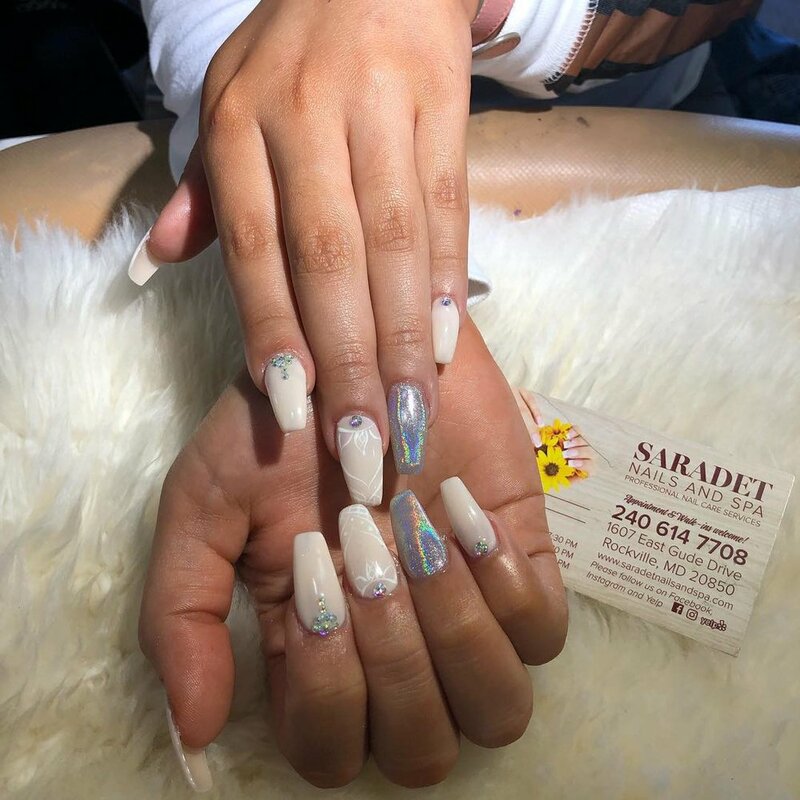 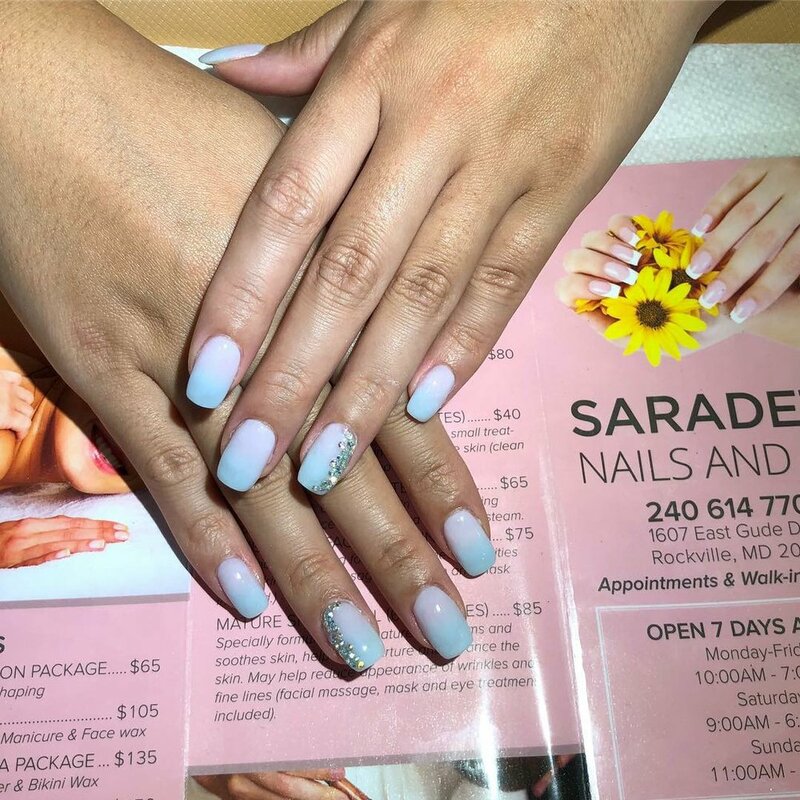 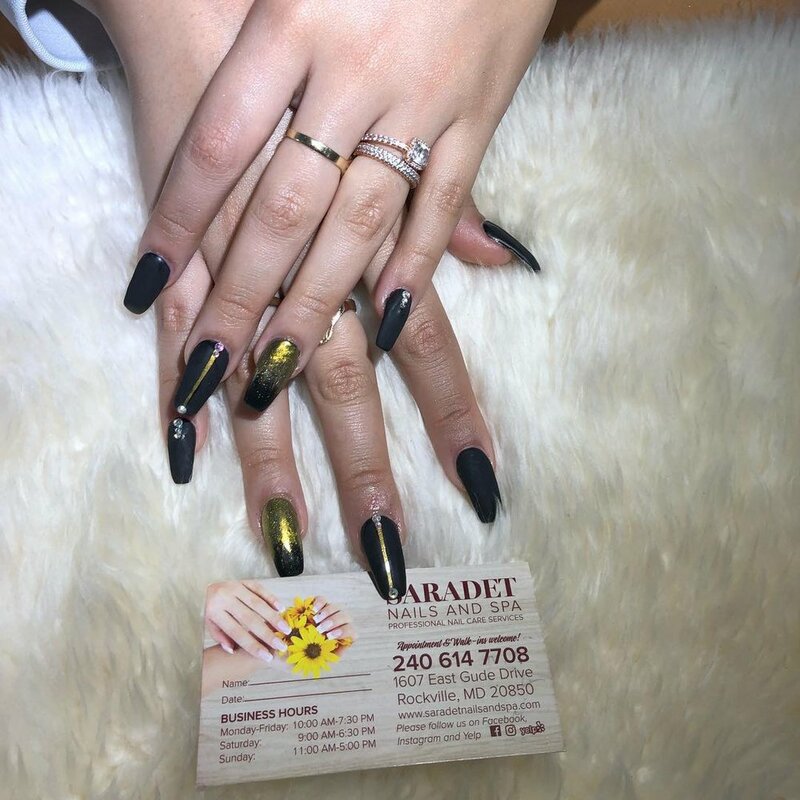 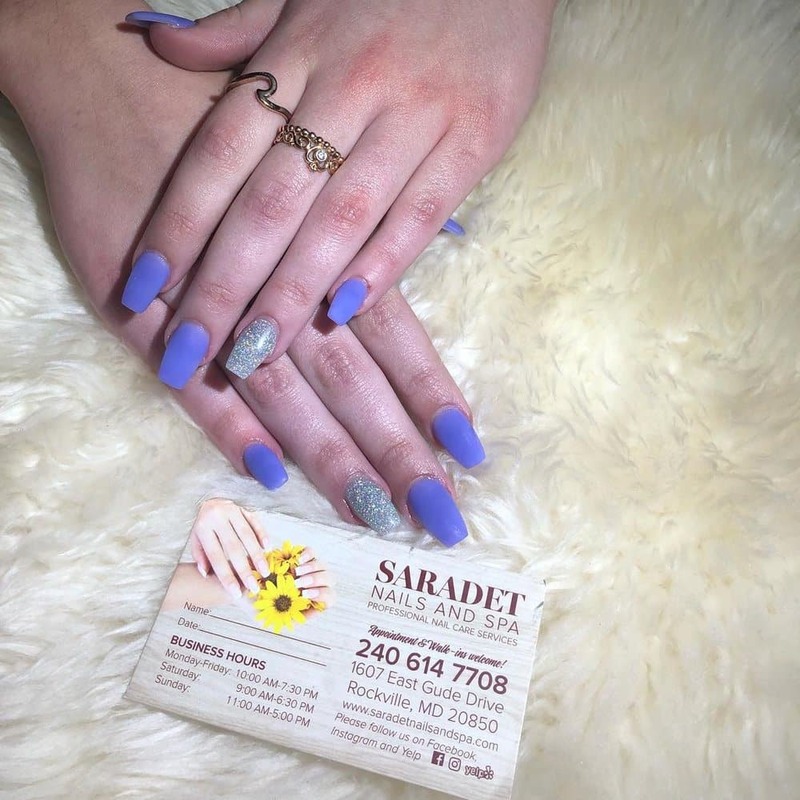 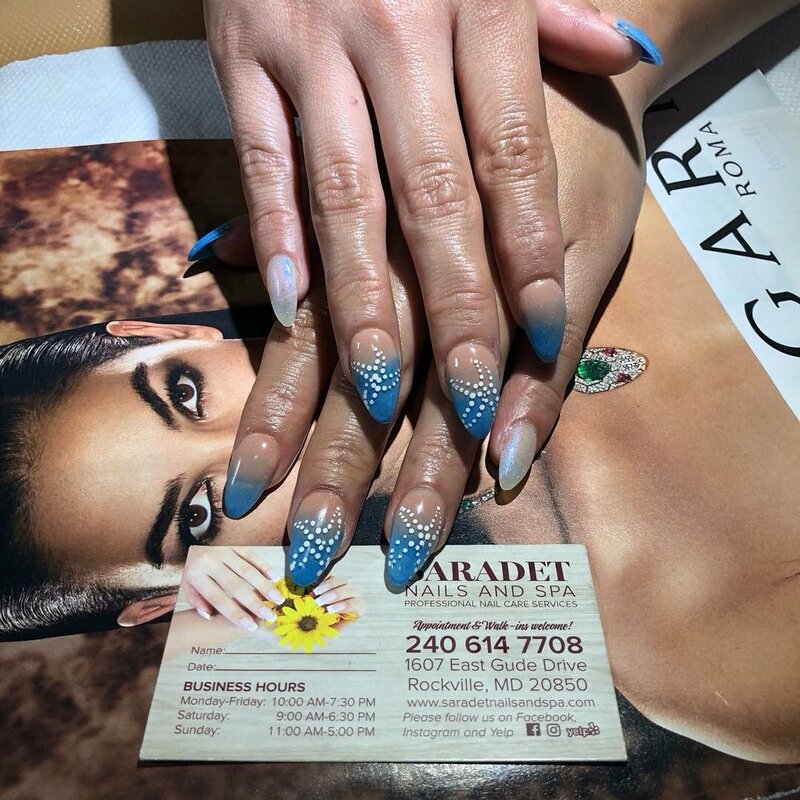 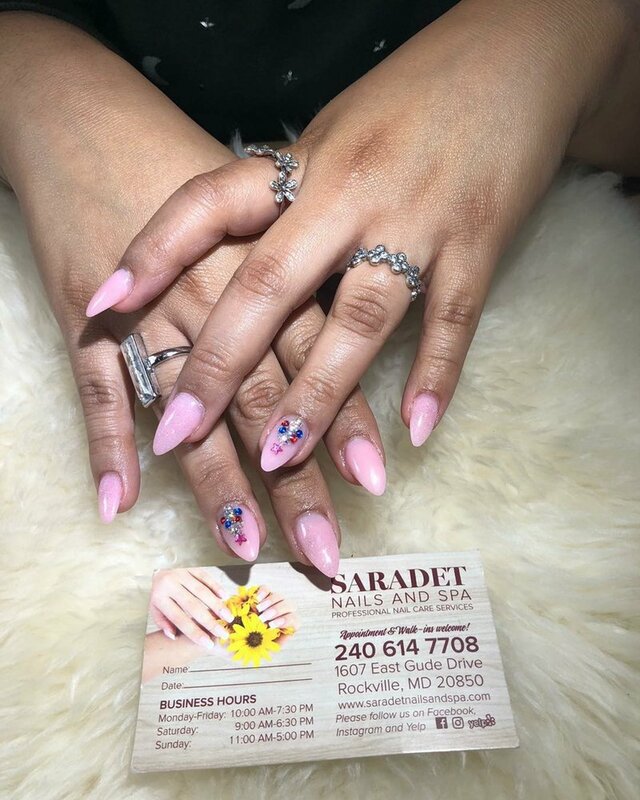 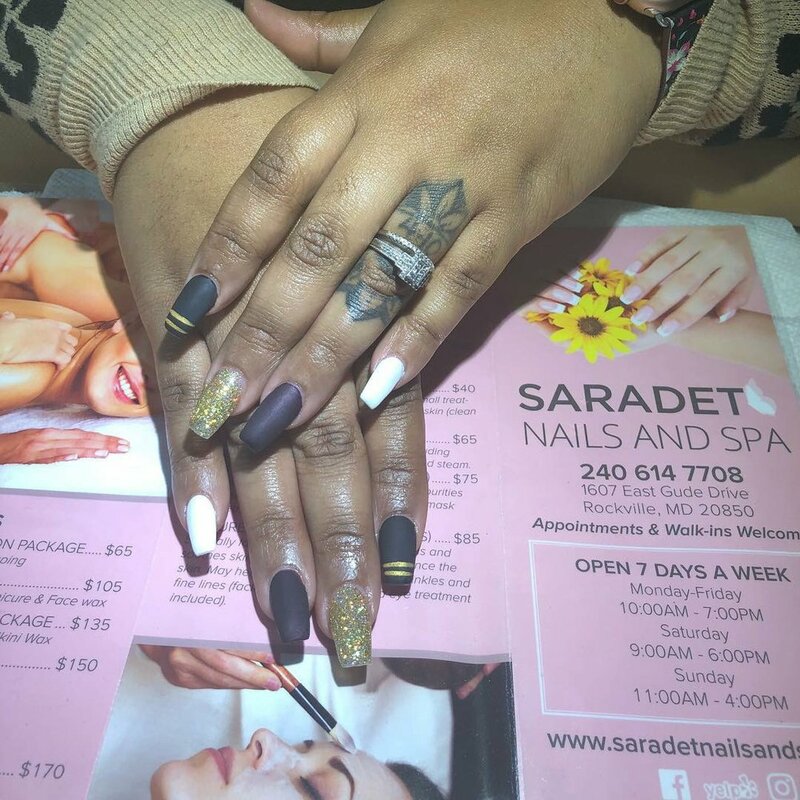 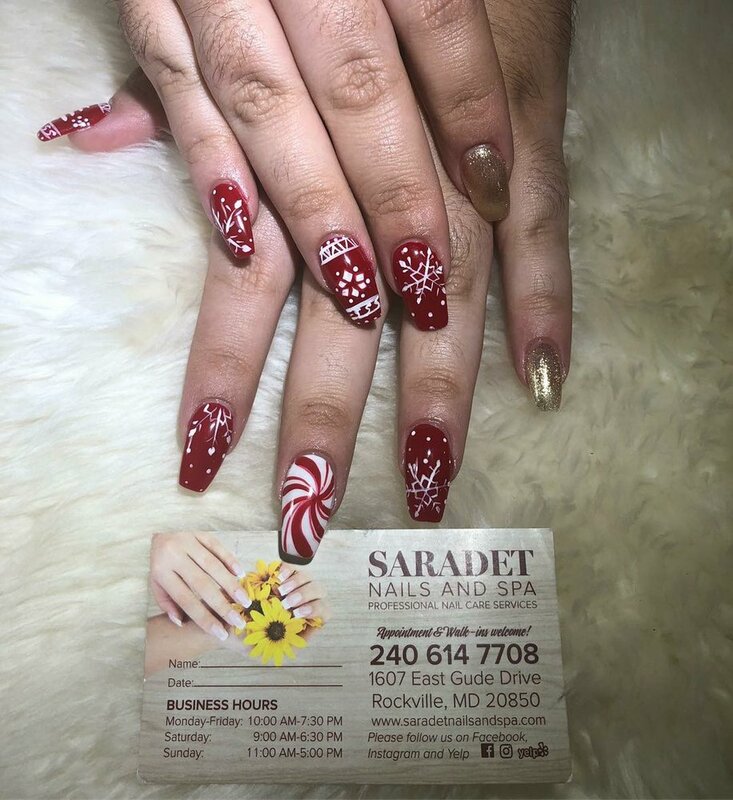 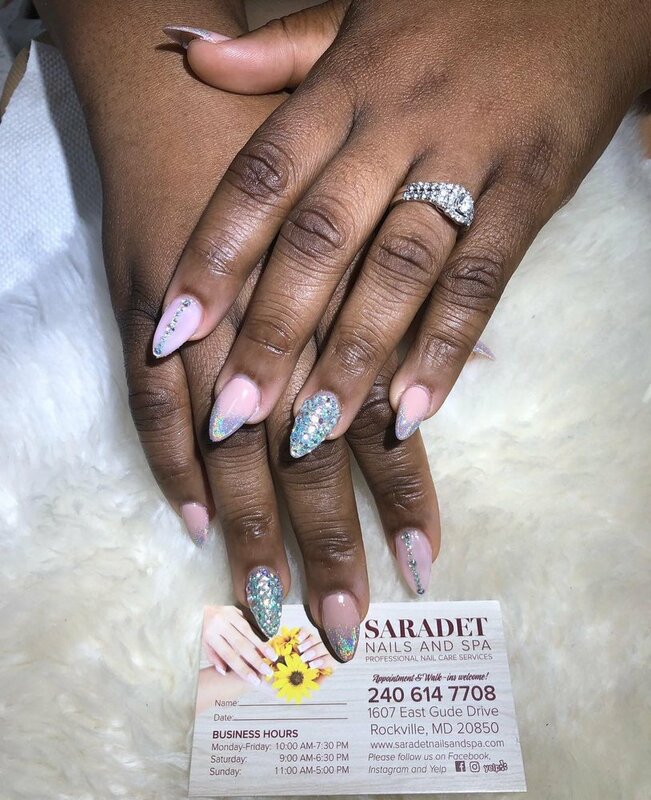 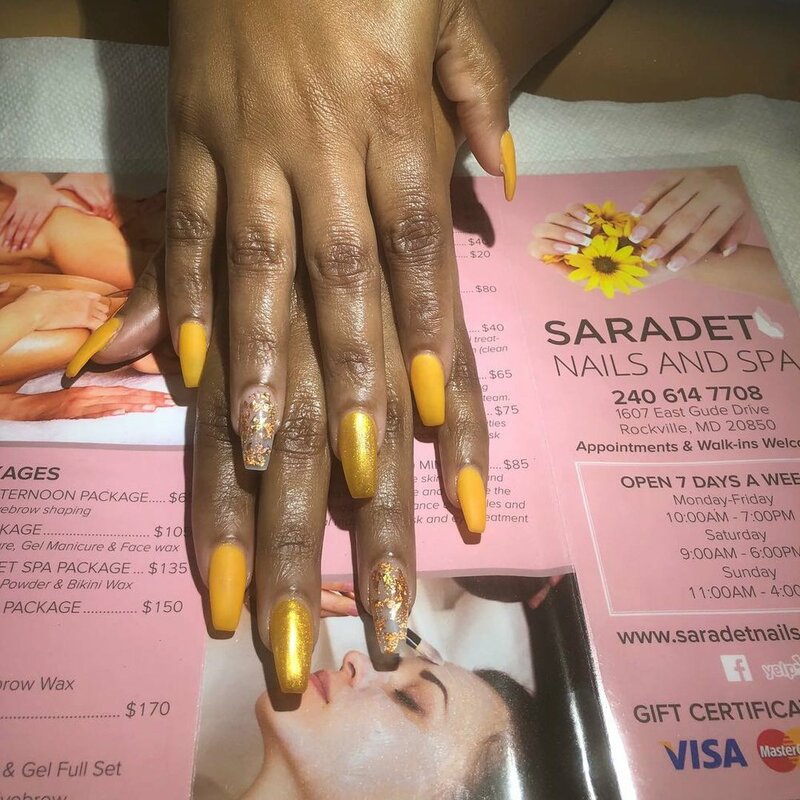 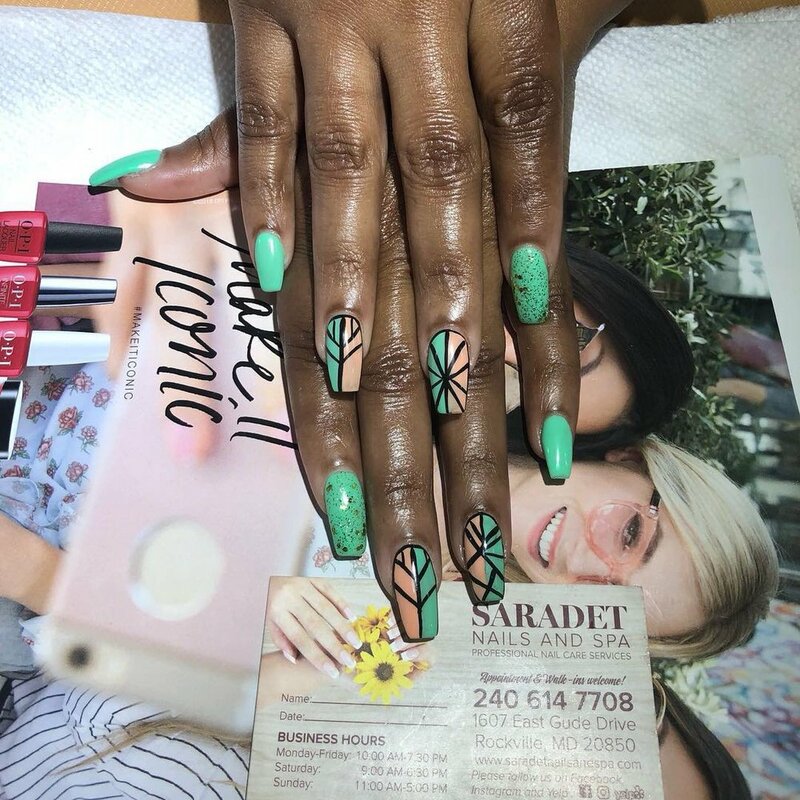 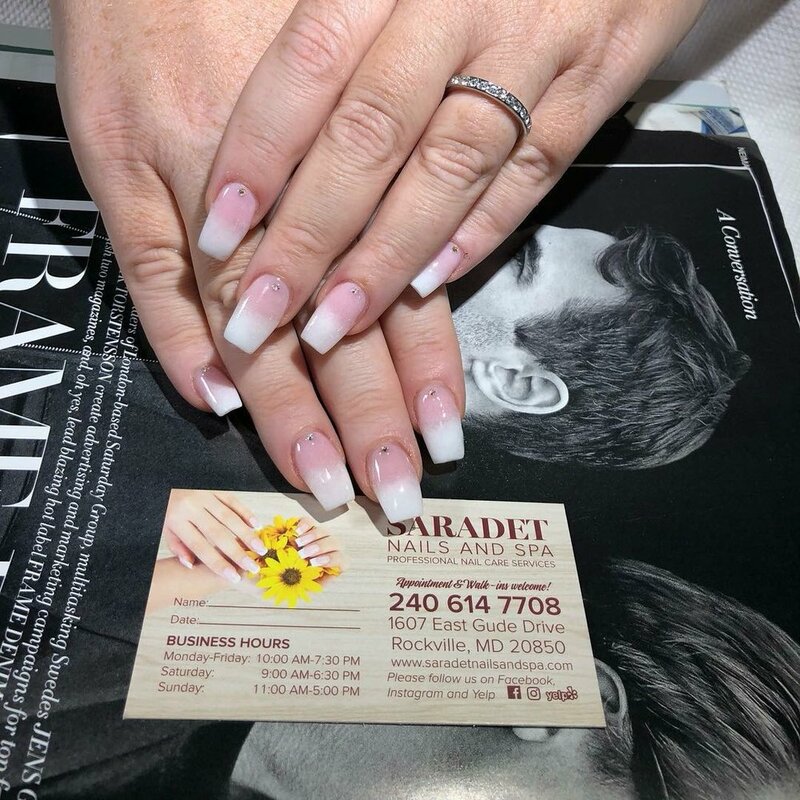 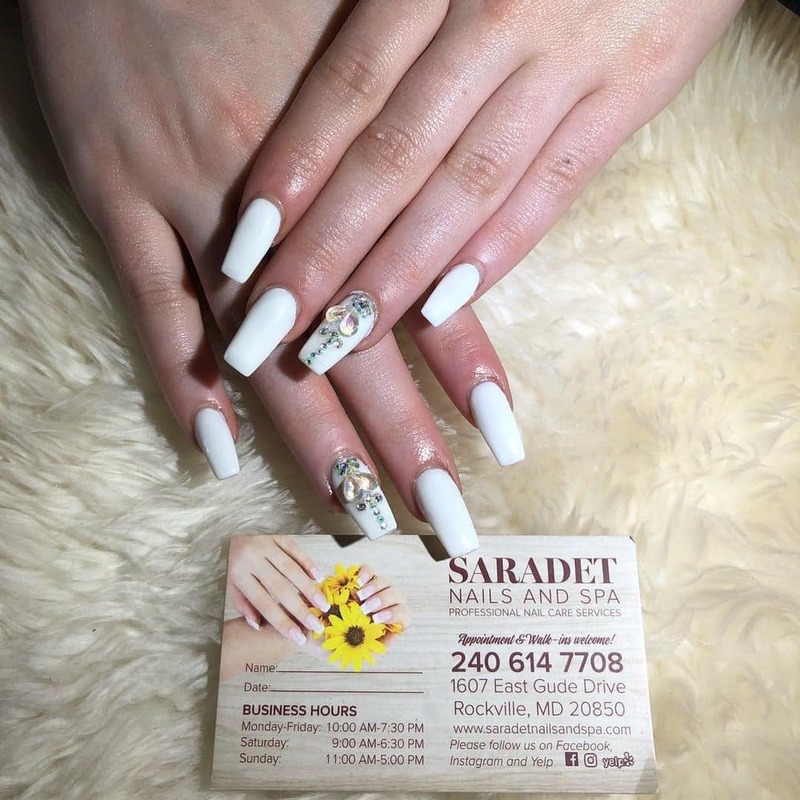 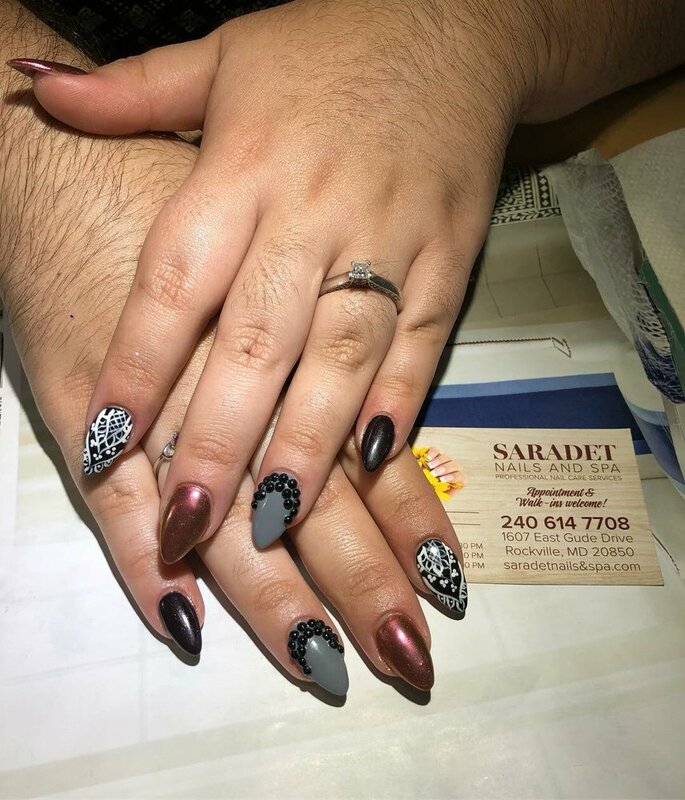 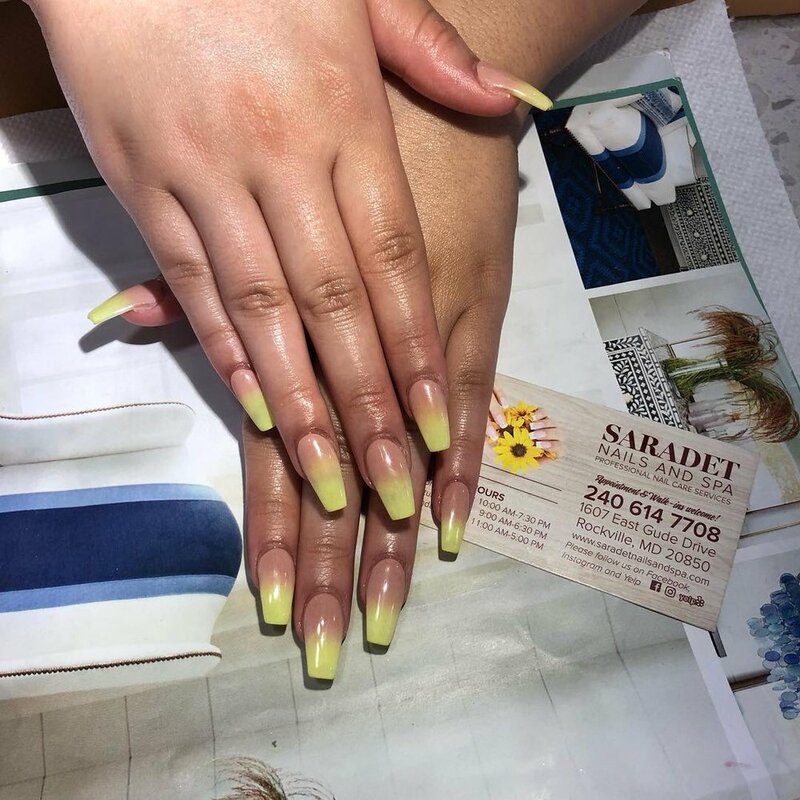 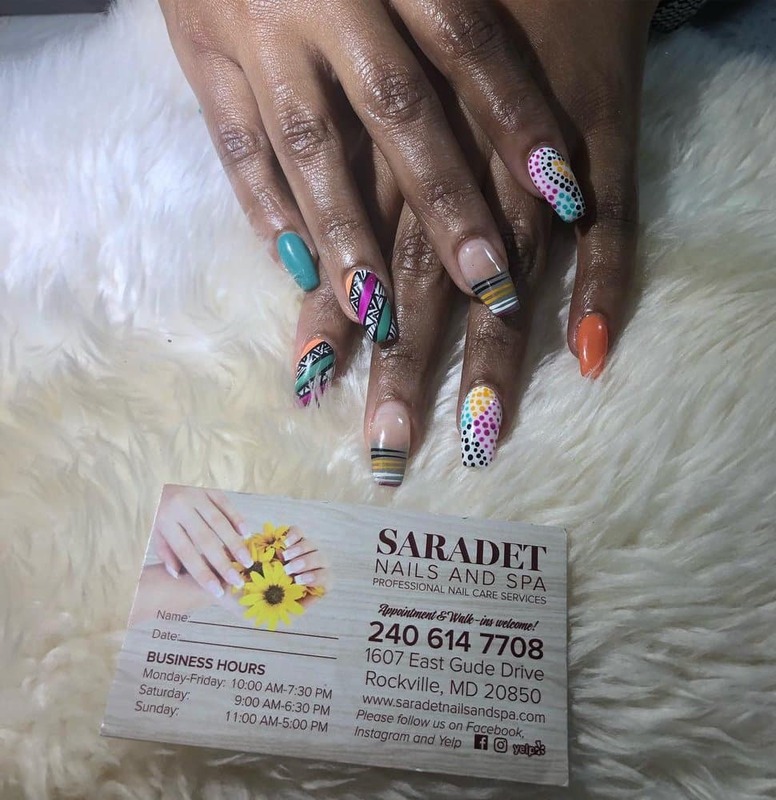 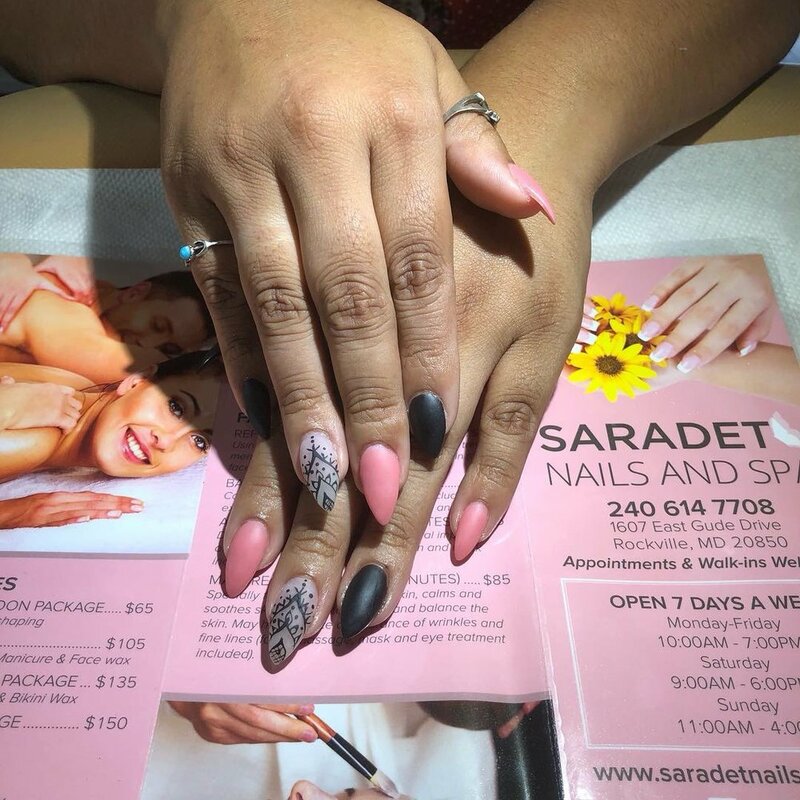 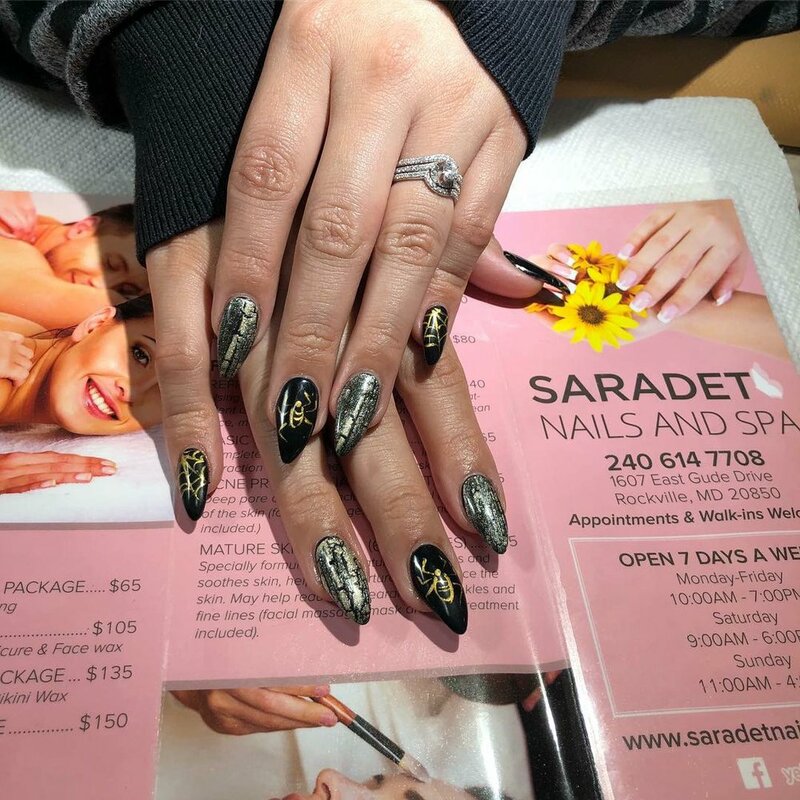 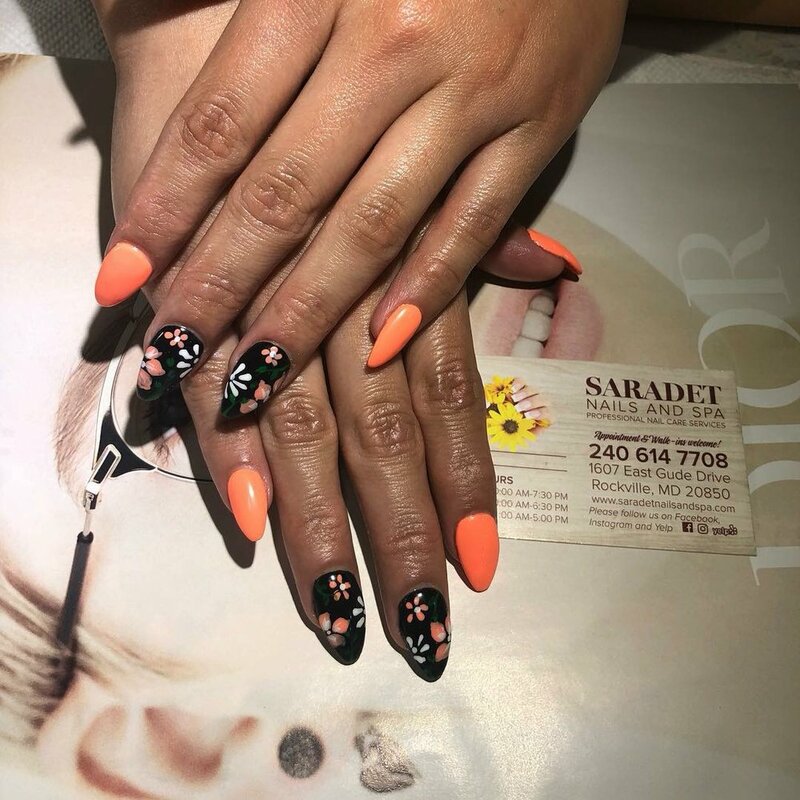 Saradet Nails and Spa is dedicated to providing the highest level of luxury, care and service and we encourage our guests to indulge in the ultimate pampering experience. 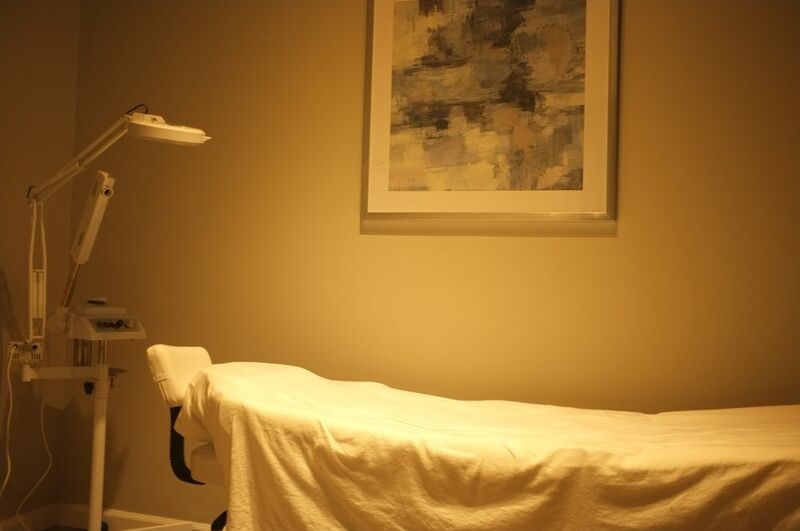 Organic treatments are available upon request. 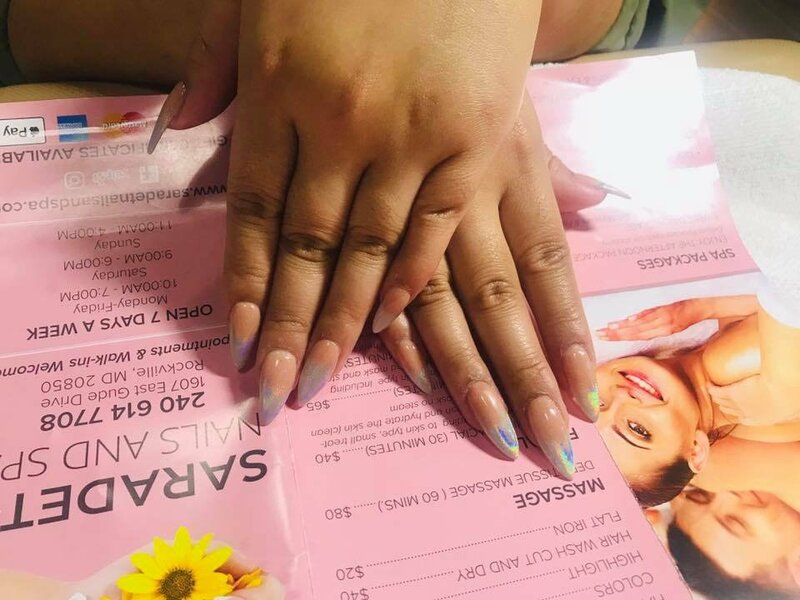 Purchase ten services and get free eyelashes! 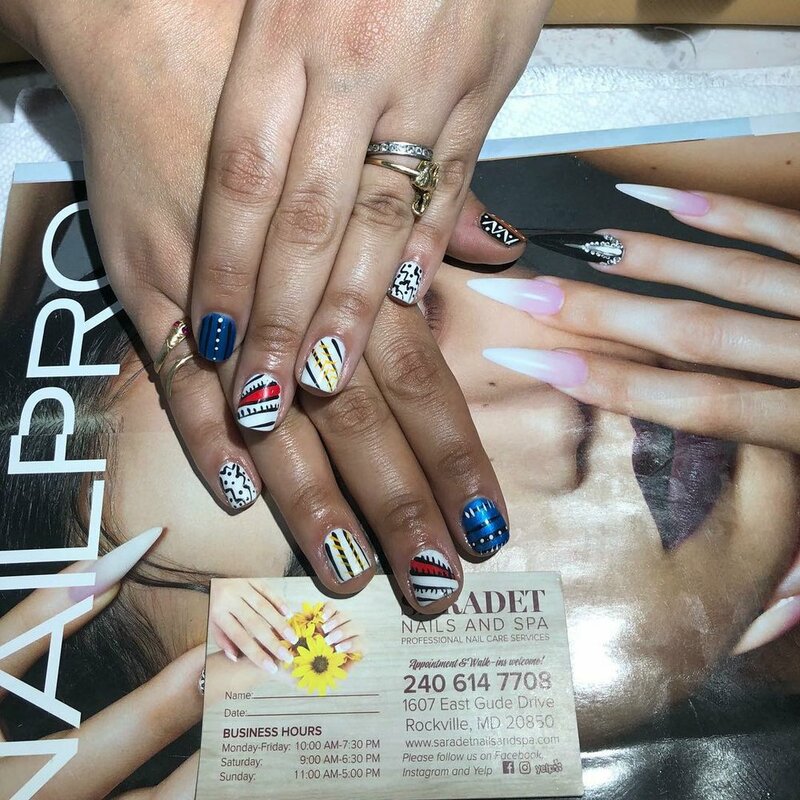 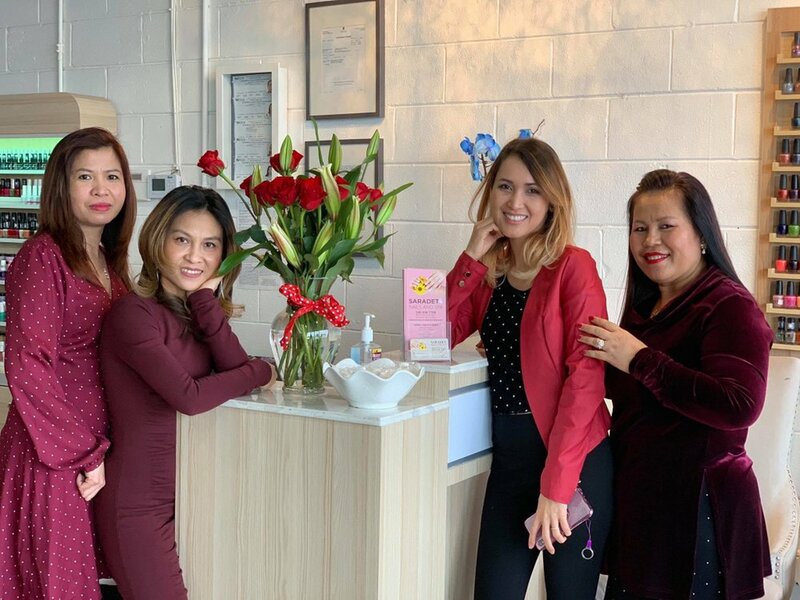 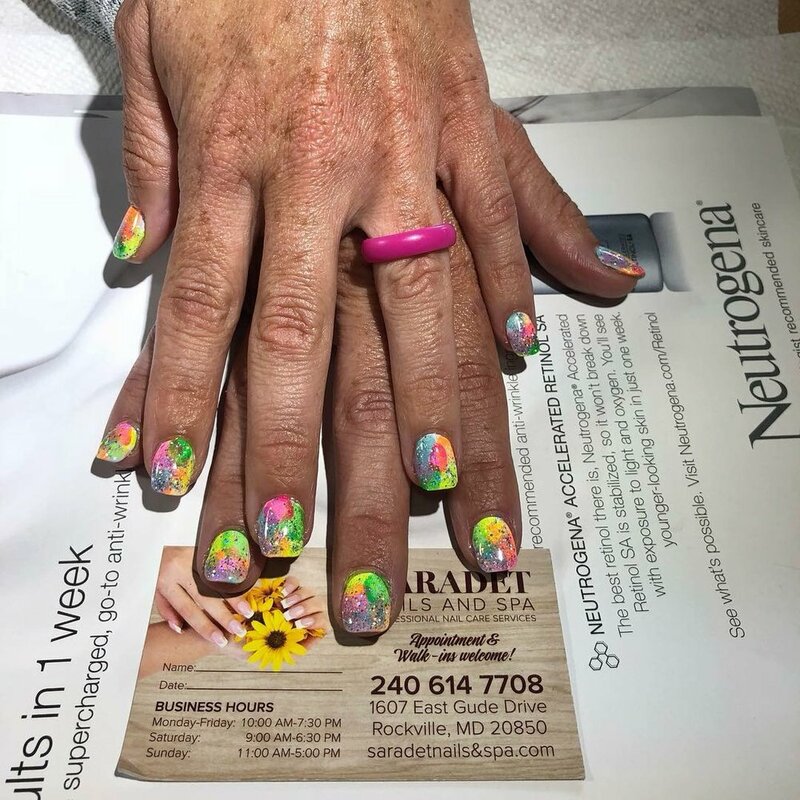 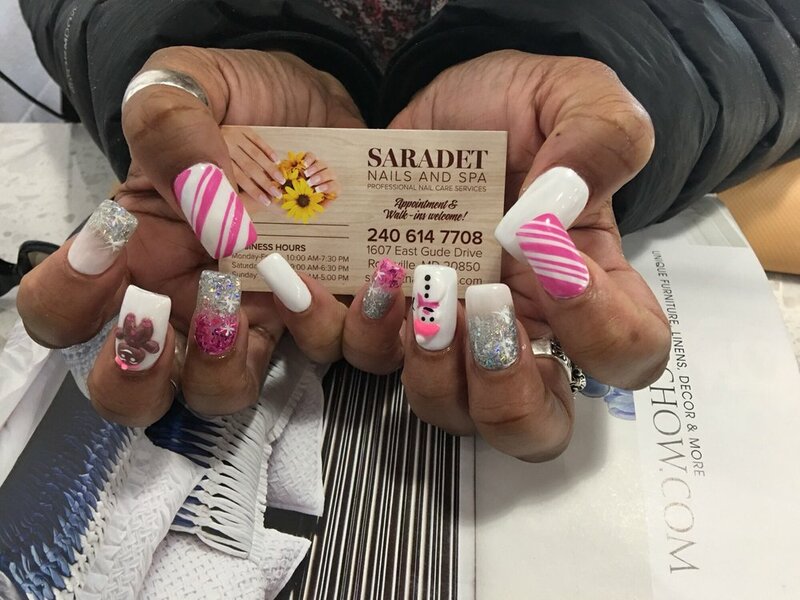 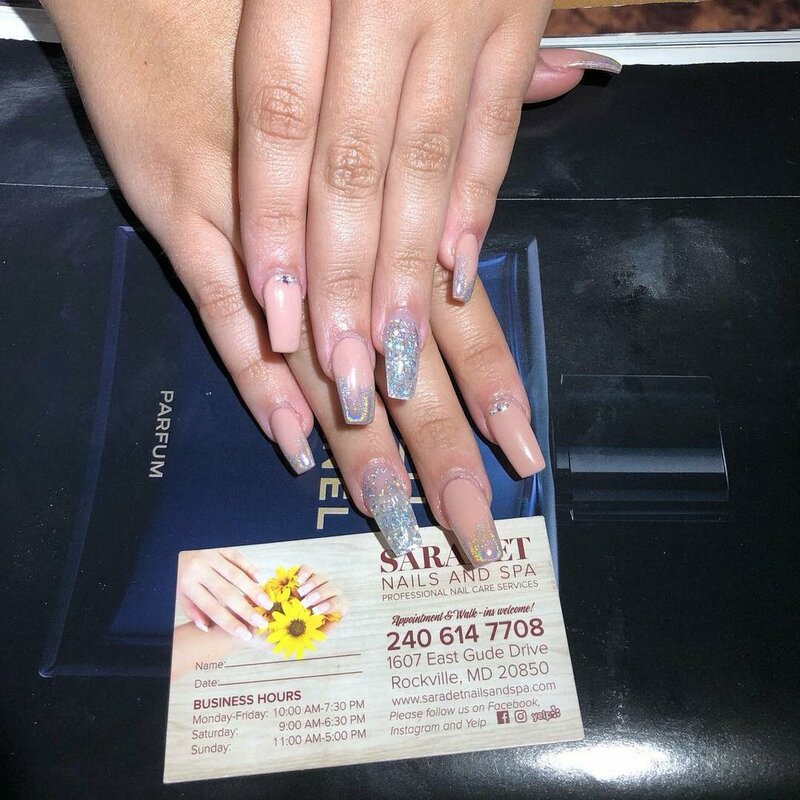 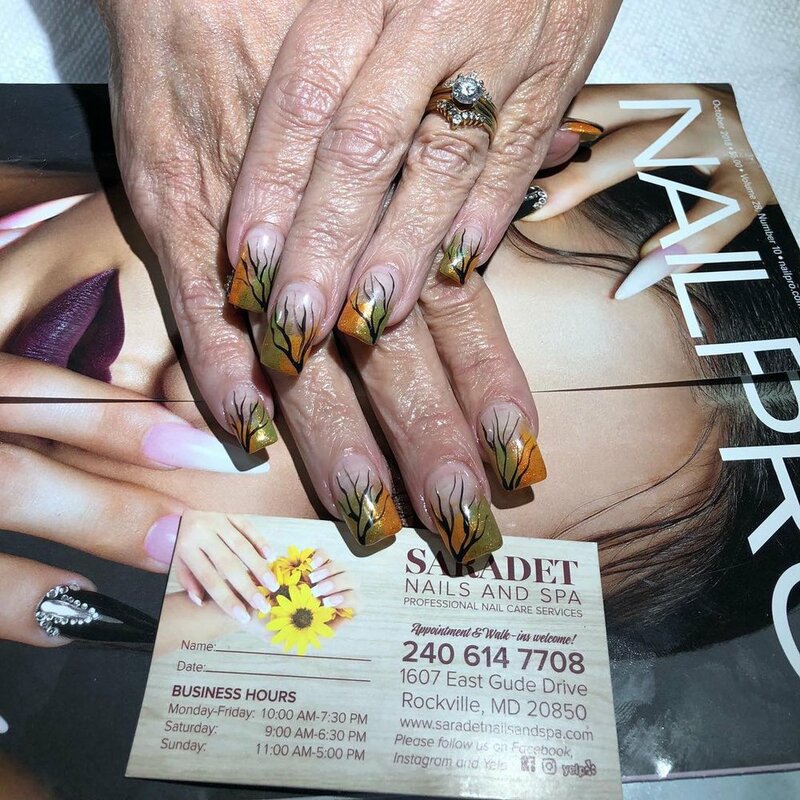 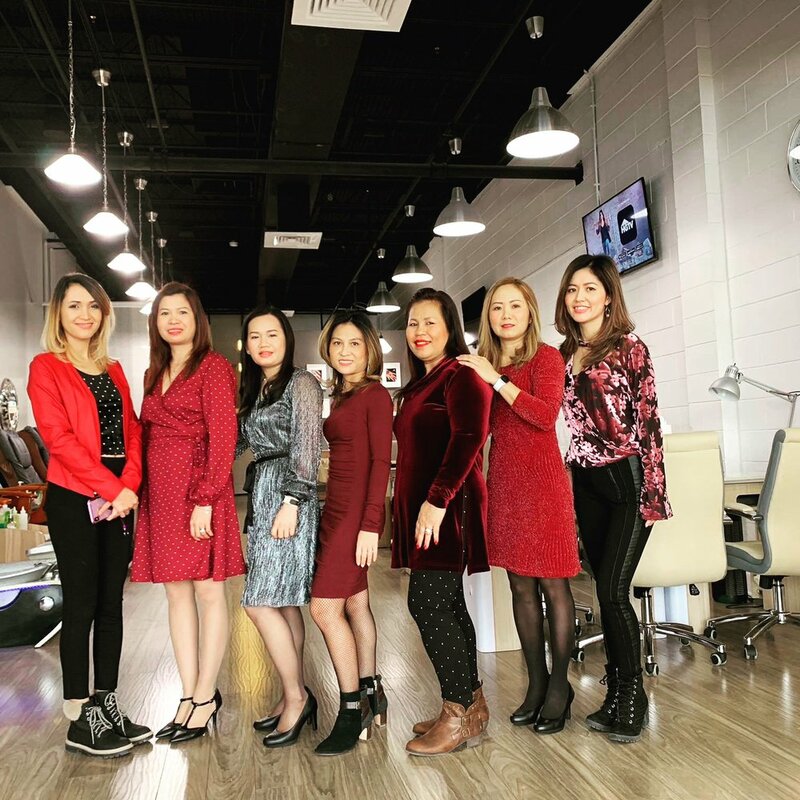 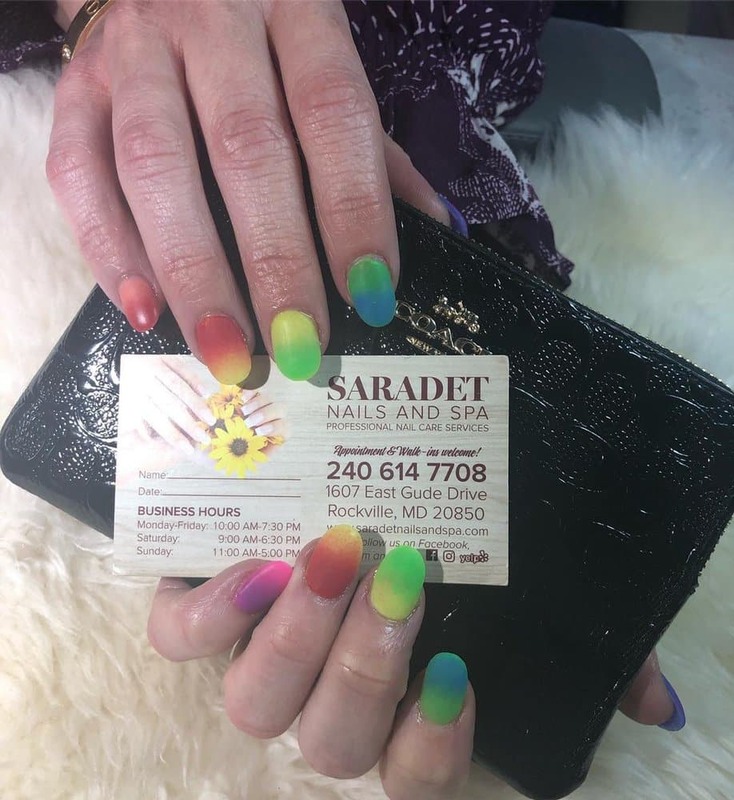 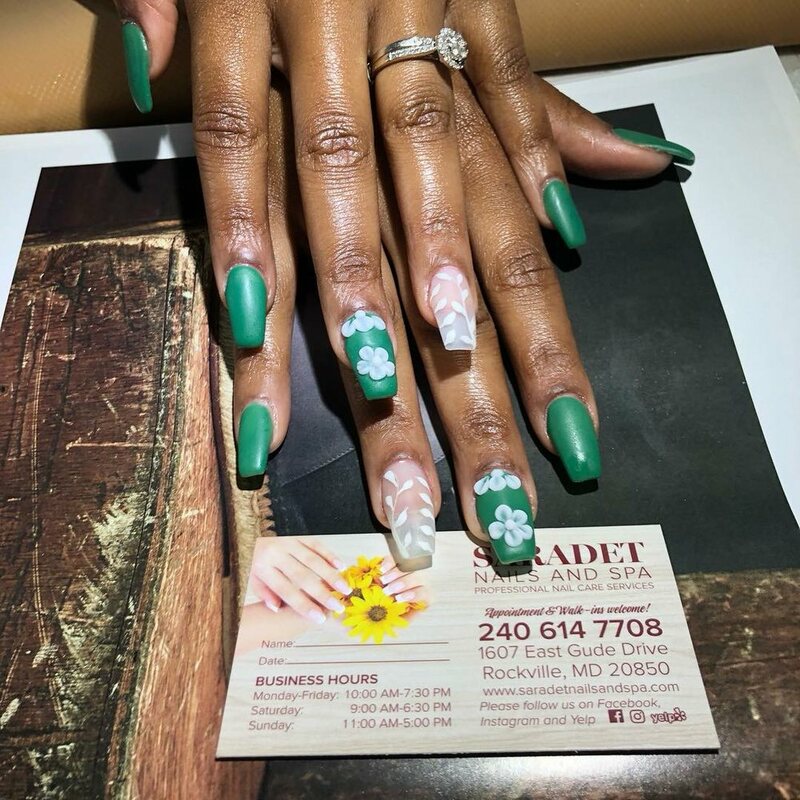 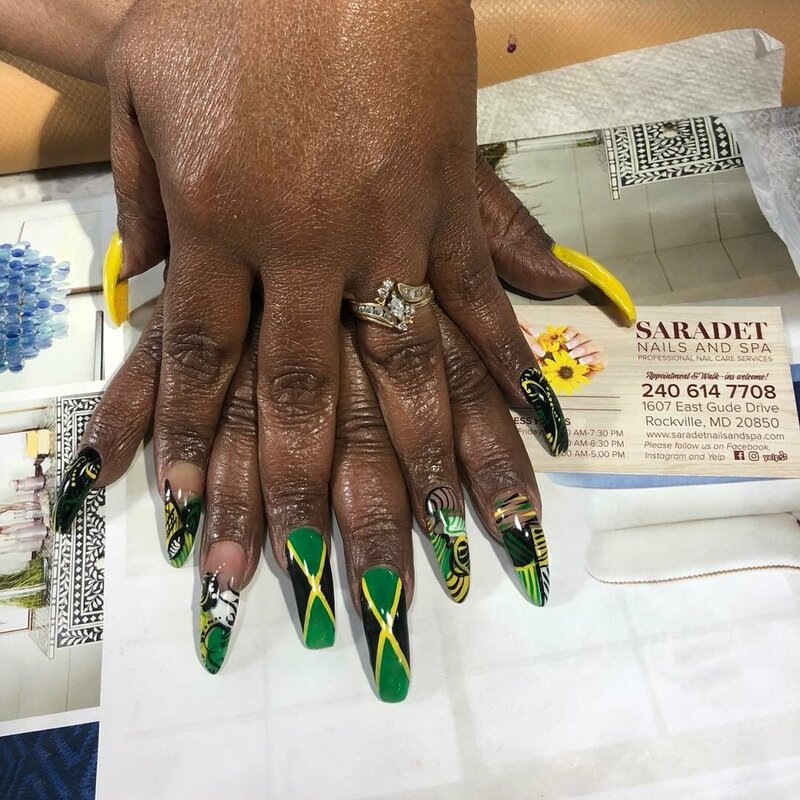 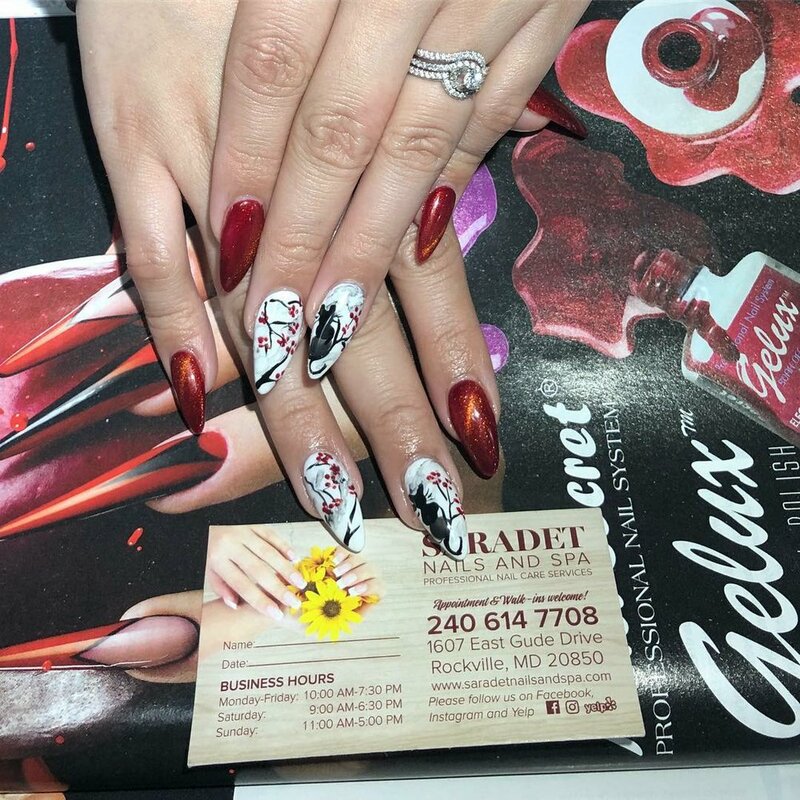 Call us at (240) 614-7708 to make an appointment. 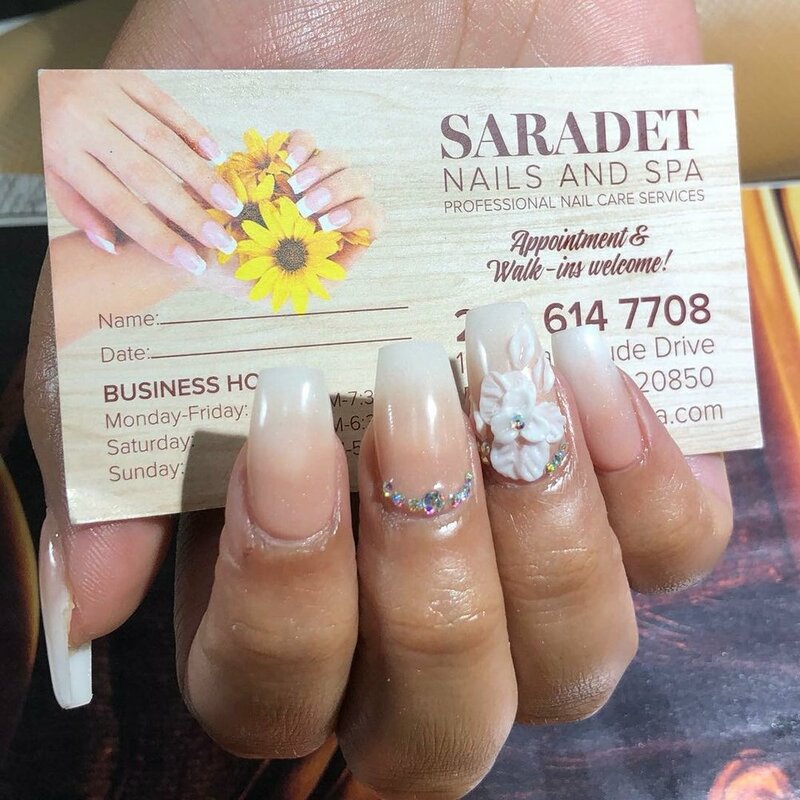 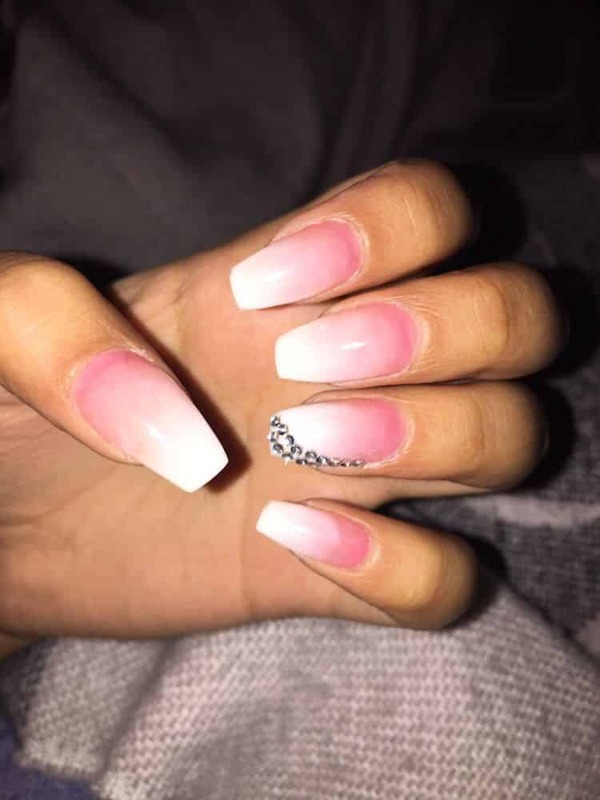 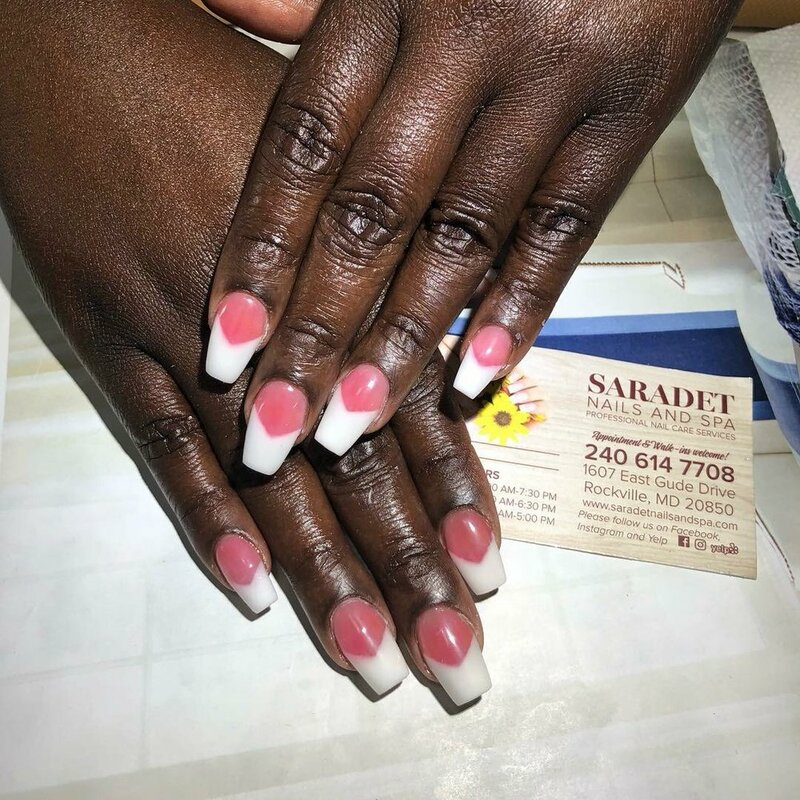 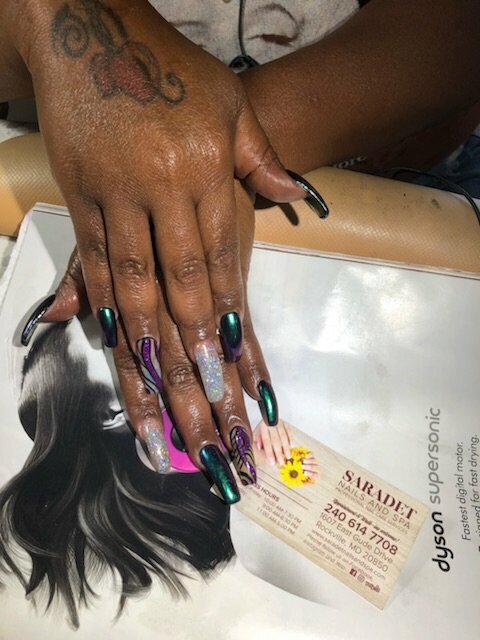 Clean cuticles, shape nails, massage, hot towel and polish. 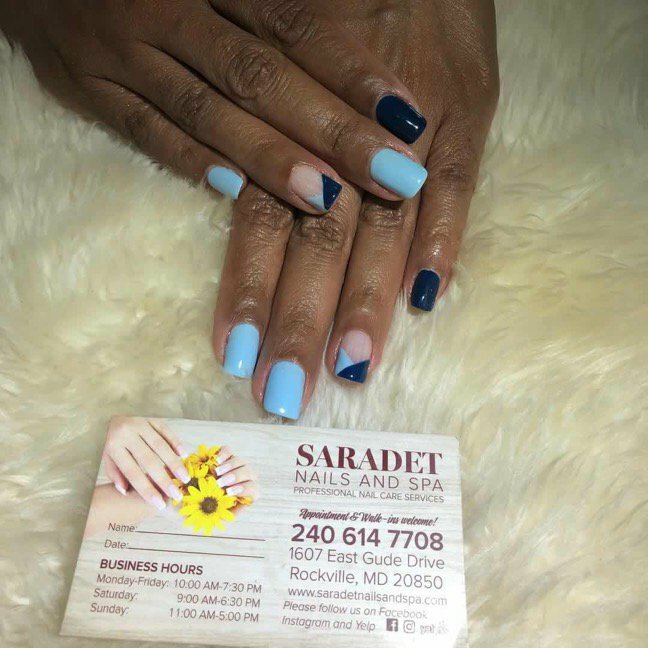 Basic manicure, sugar scrub, extended massage with cream butter and hot towel. 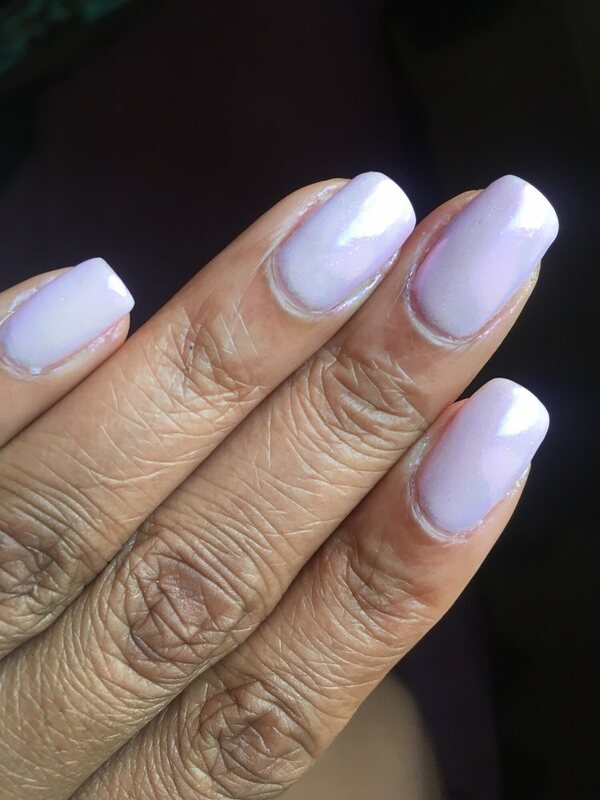 Basic manicure, purple sea salt glow with cream butter, parafin dip and hot towell. 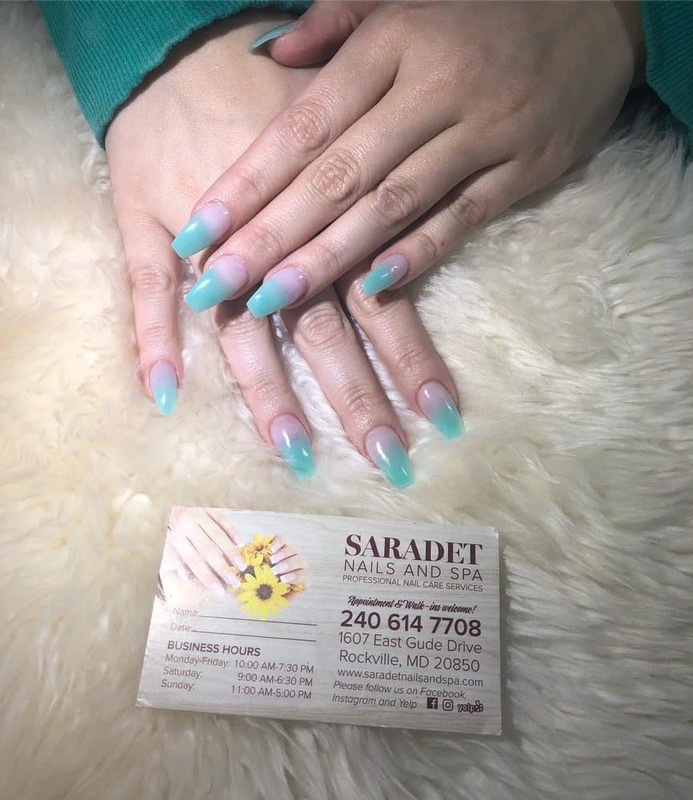 Clean cuticles, shape nails, callus reduction, massage, hot towel and polish. 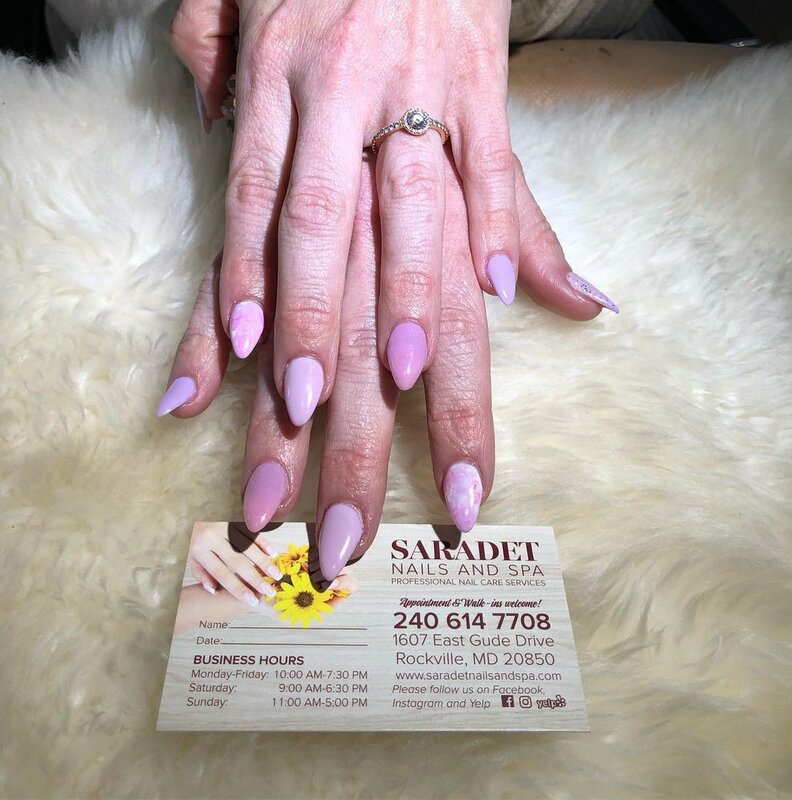 Basic pedicure, purple sea salt scrub, butter cream hot towel, and treatment cream. 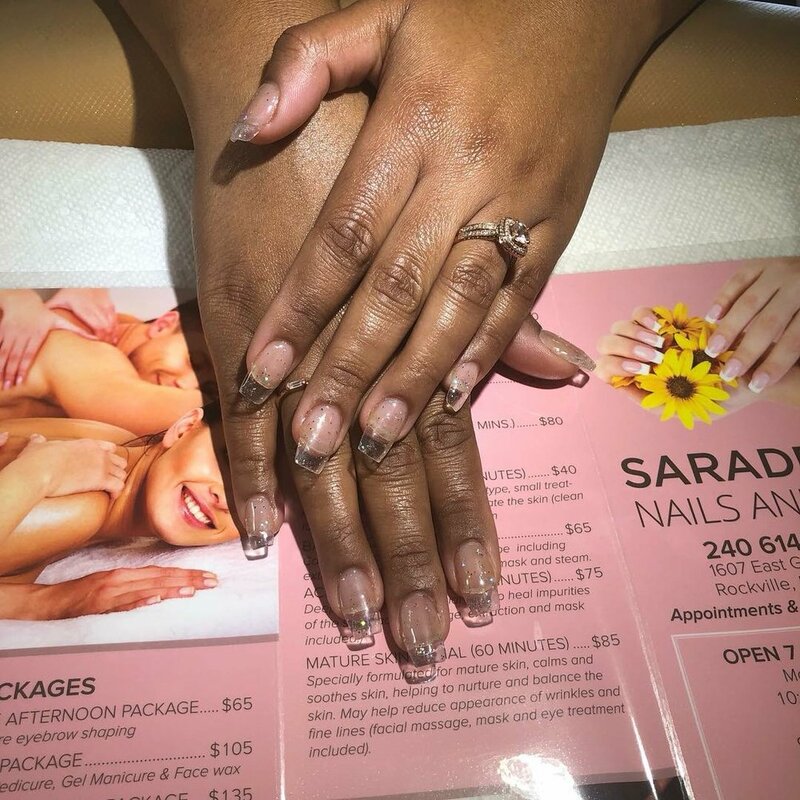 Basic Pedicure, sugar scrub, extended massage, butter cream mask, and hot towel. 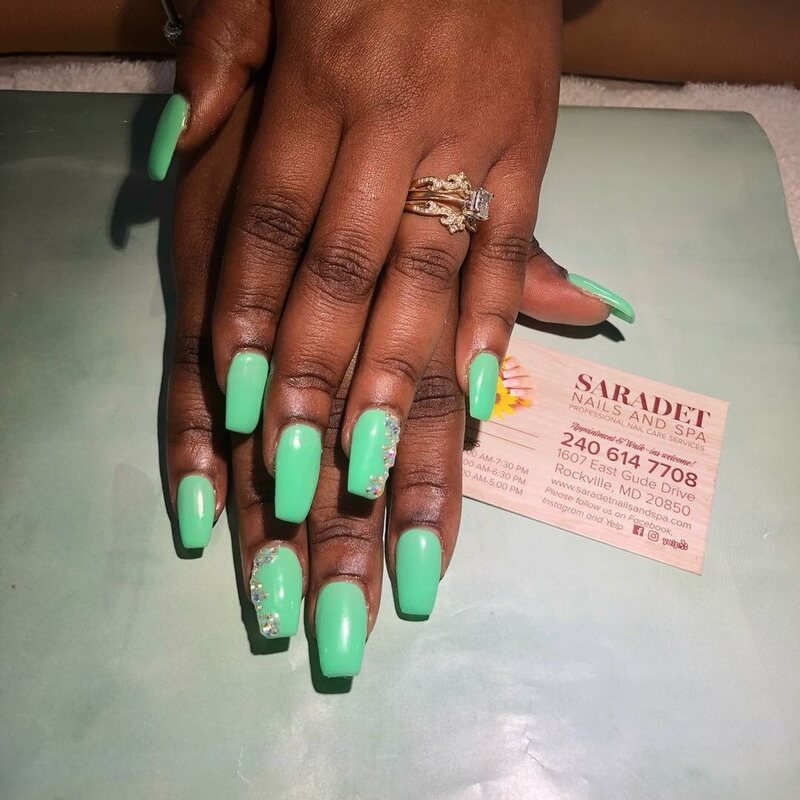 Basic pedicure, callus treatment, sugar scrub, butter cream, mint mask, paraffin dip, and hot towel. 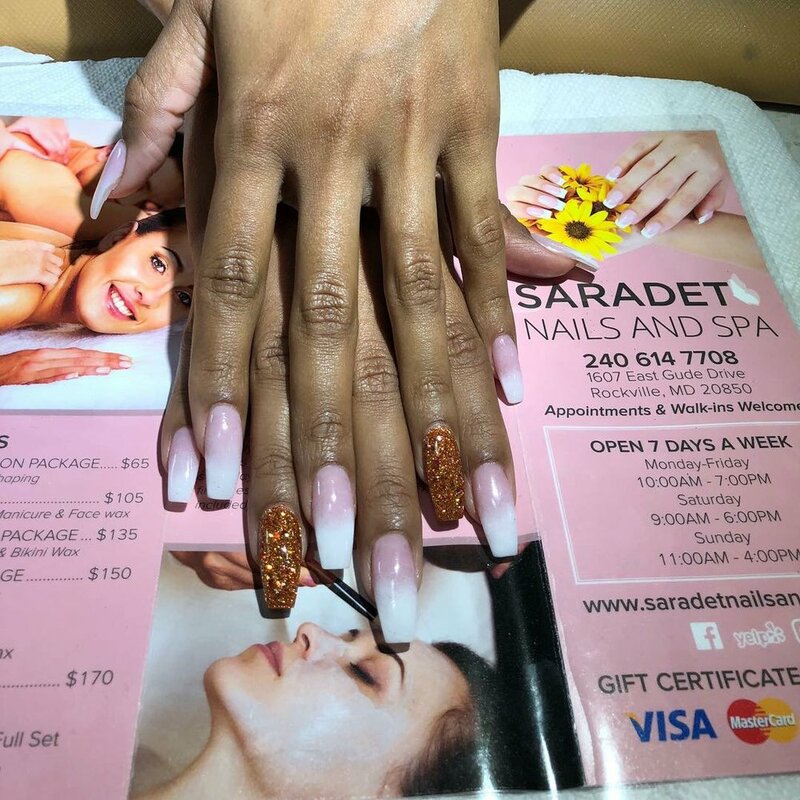 Includes everything in a pedicure, callus treatment, mandarin orange, sugar scrub, honey exfoliate, white tea moisture mask, hot stone massage, paraffin dip, and hot towel. 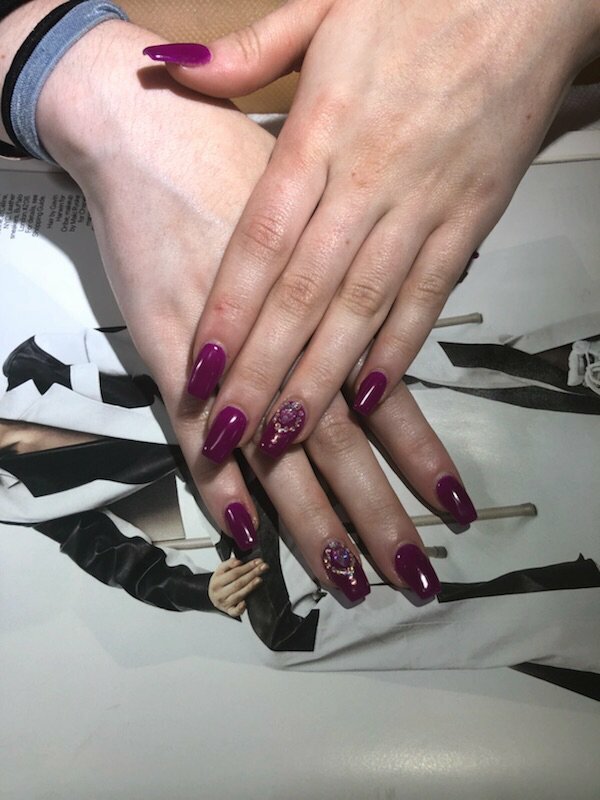 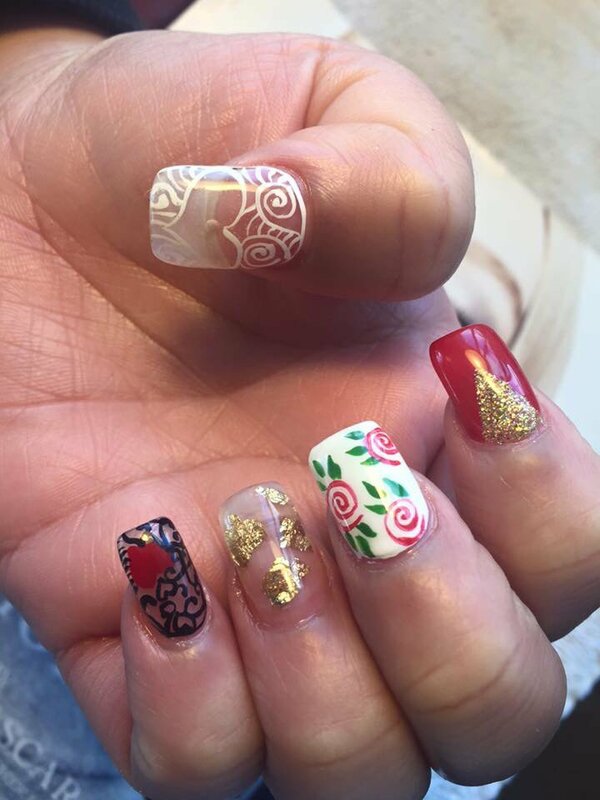 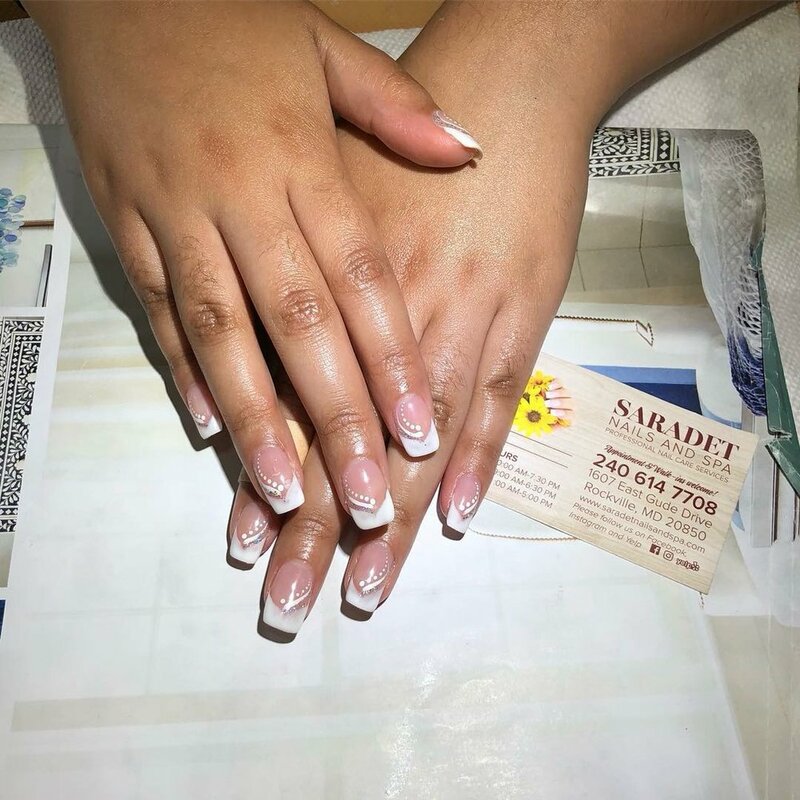 Come and relax in our luxurious jet spa chairs while getting treated to wide range of nail services. 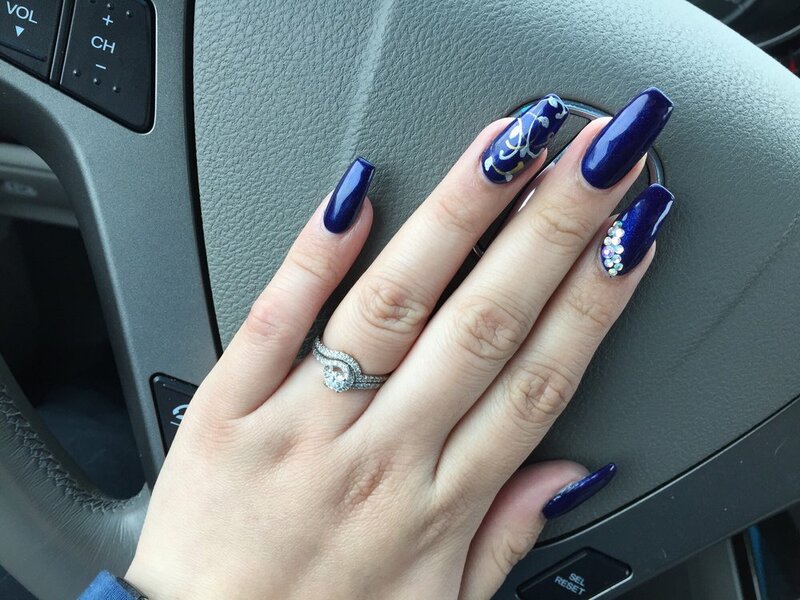 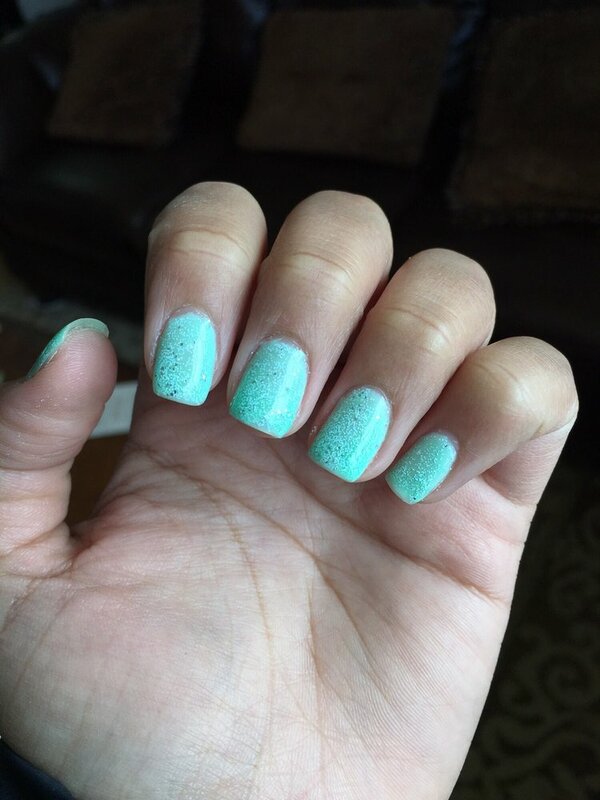 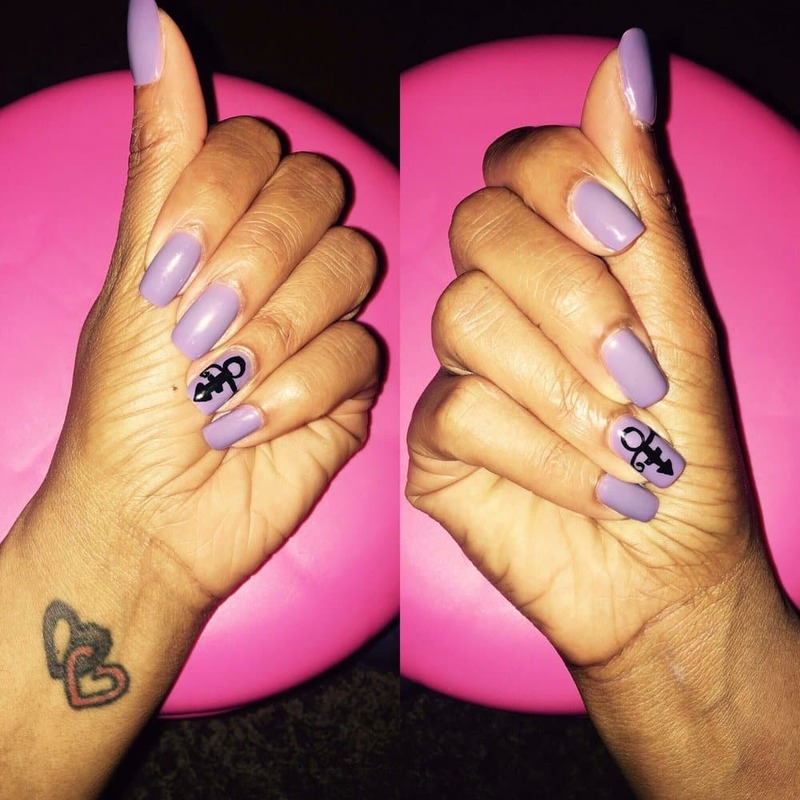 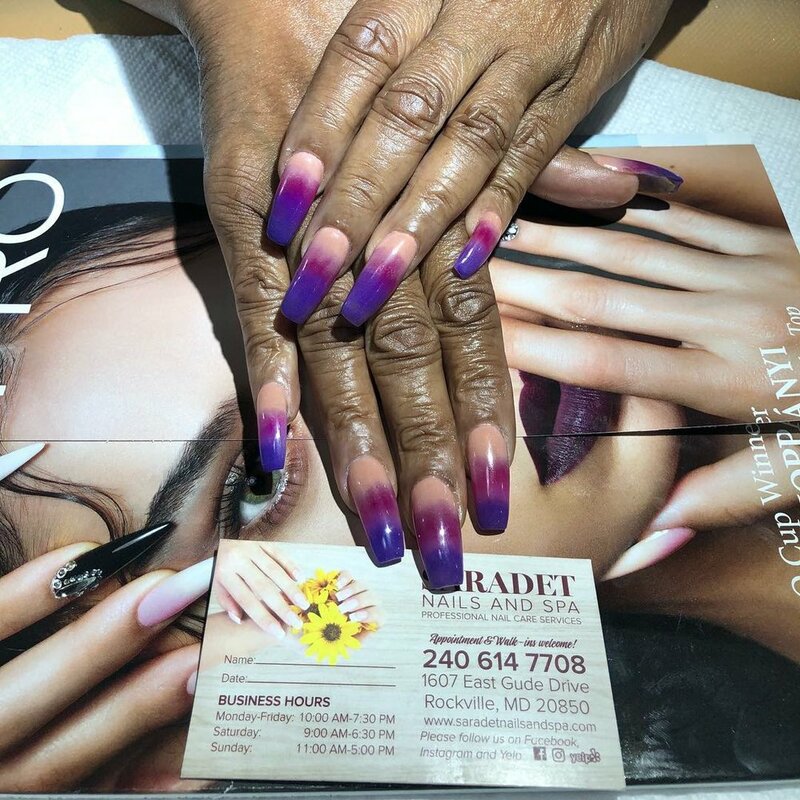 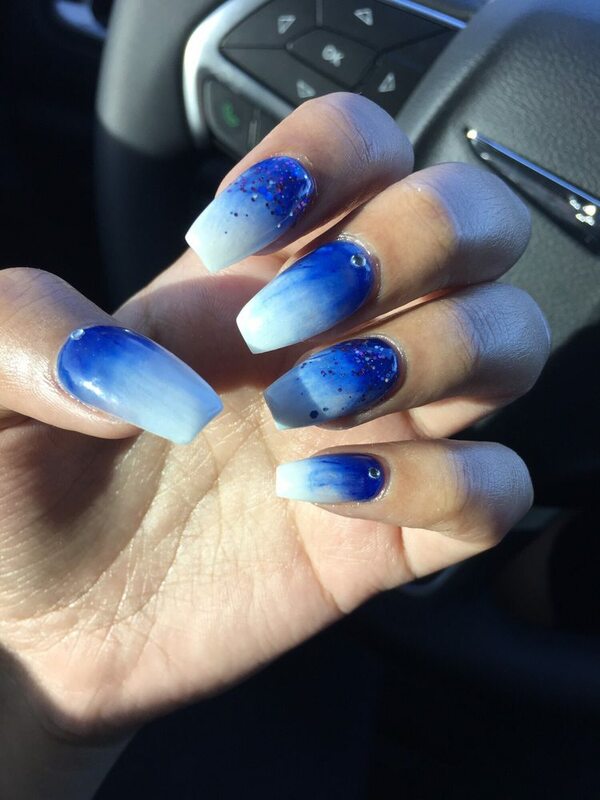 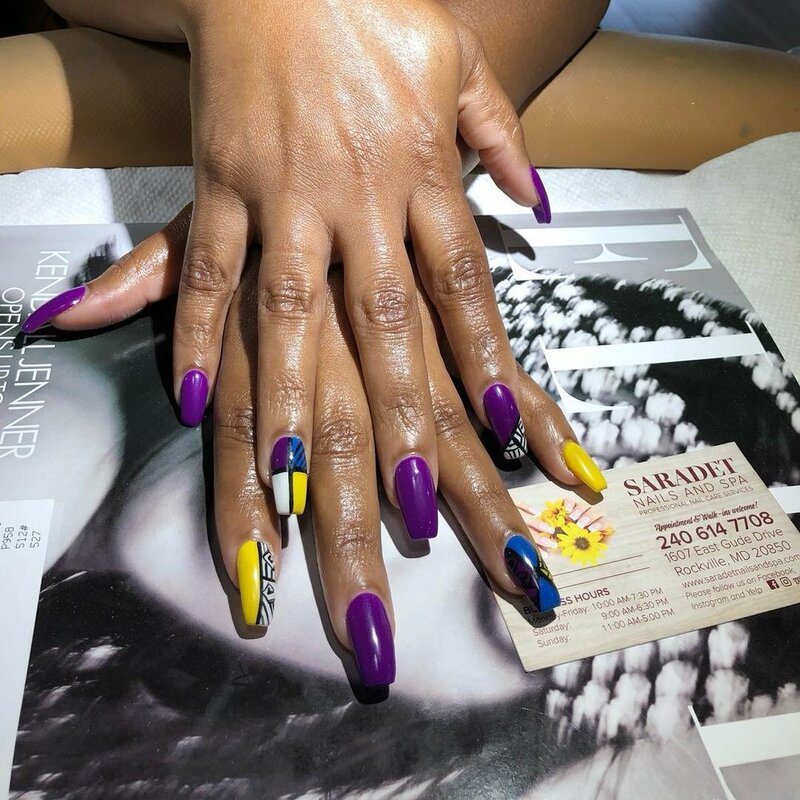 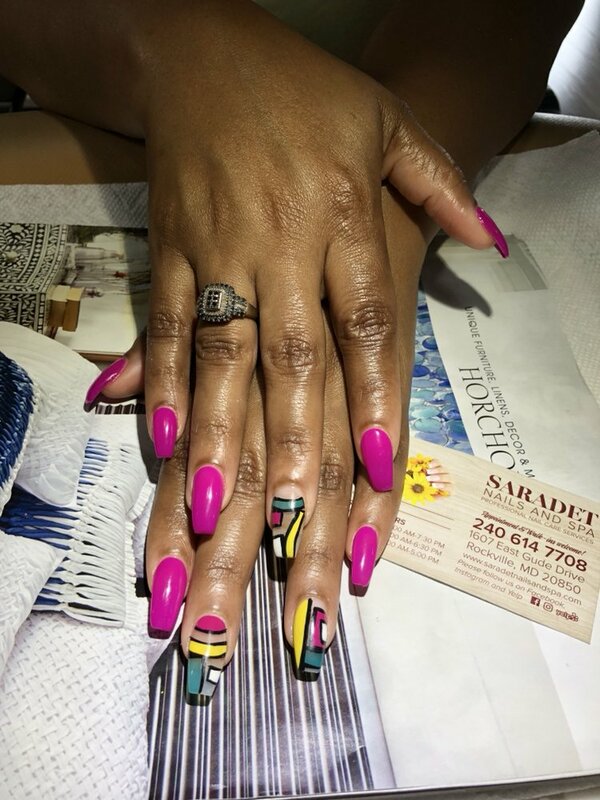 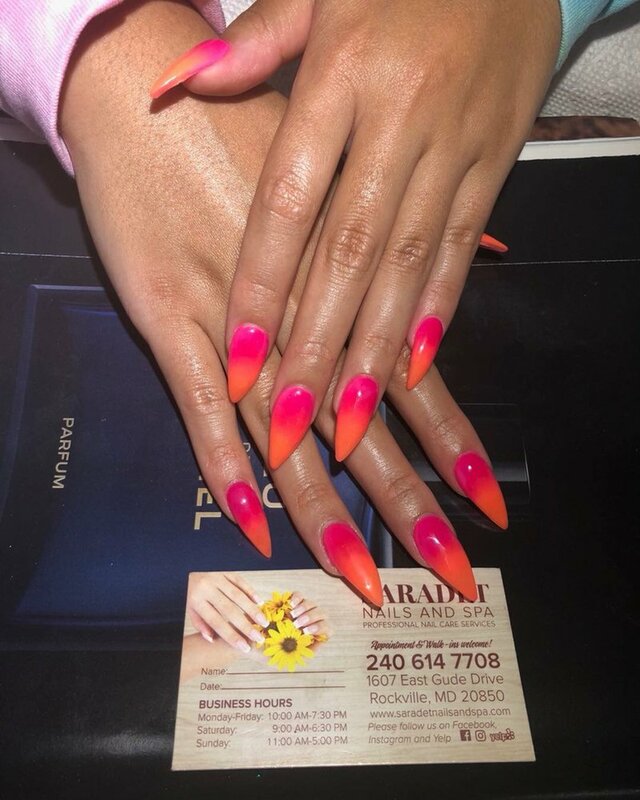 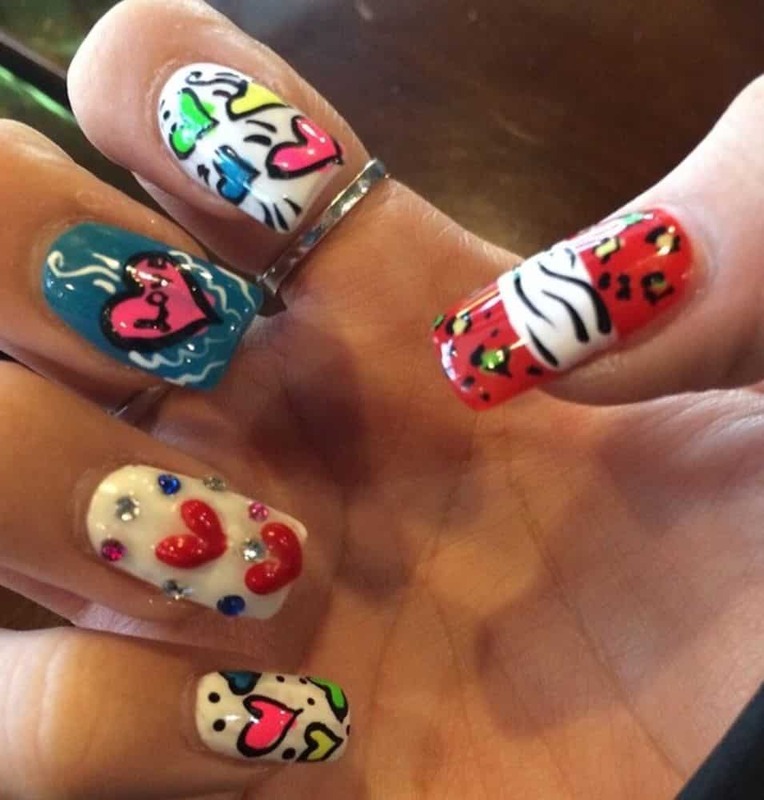 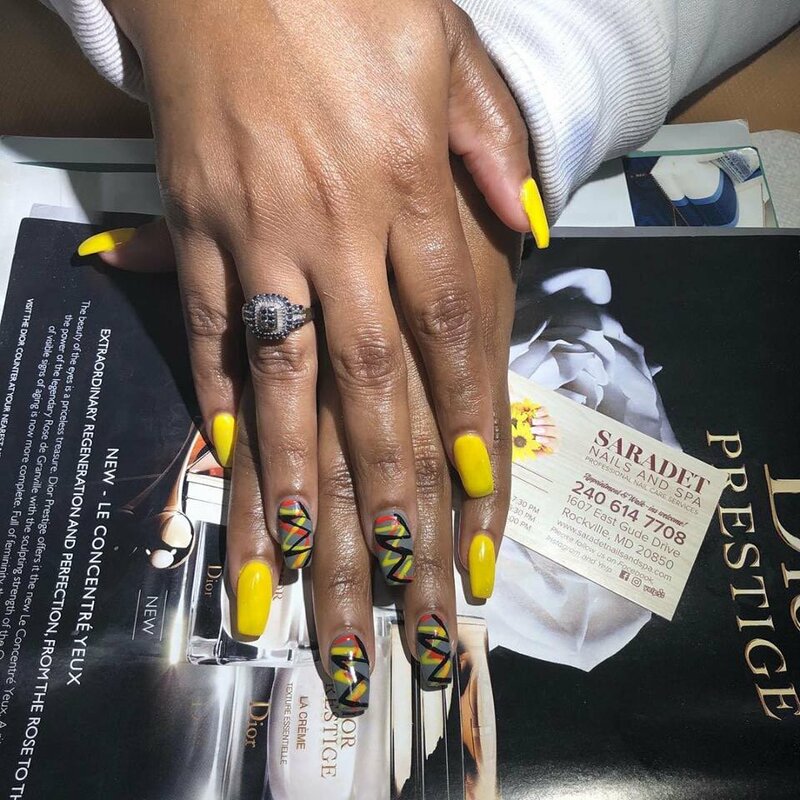 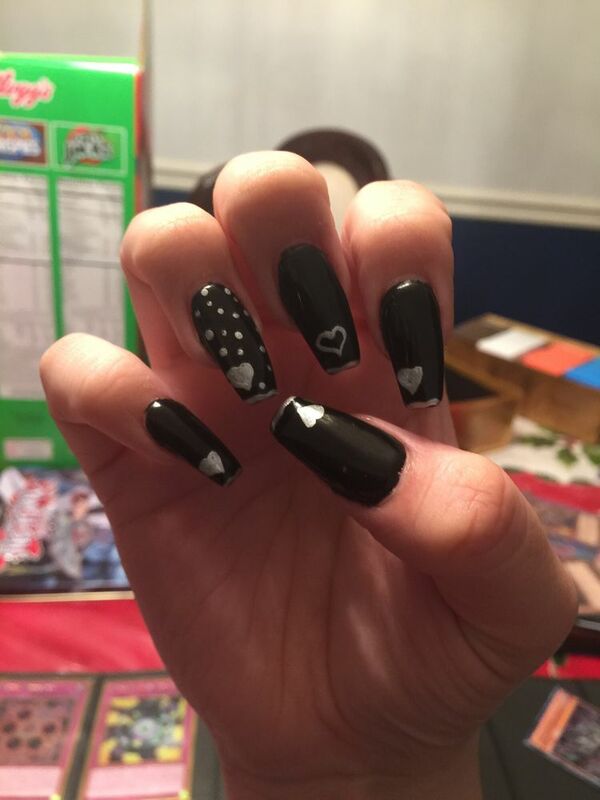 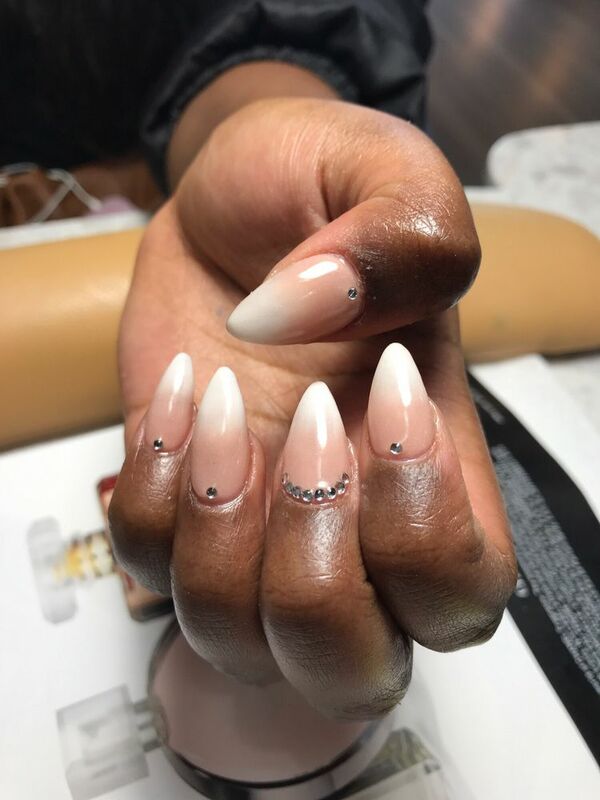 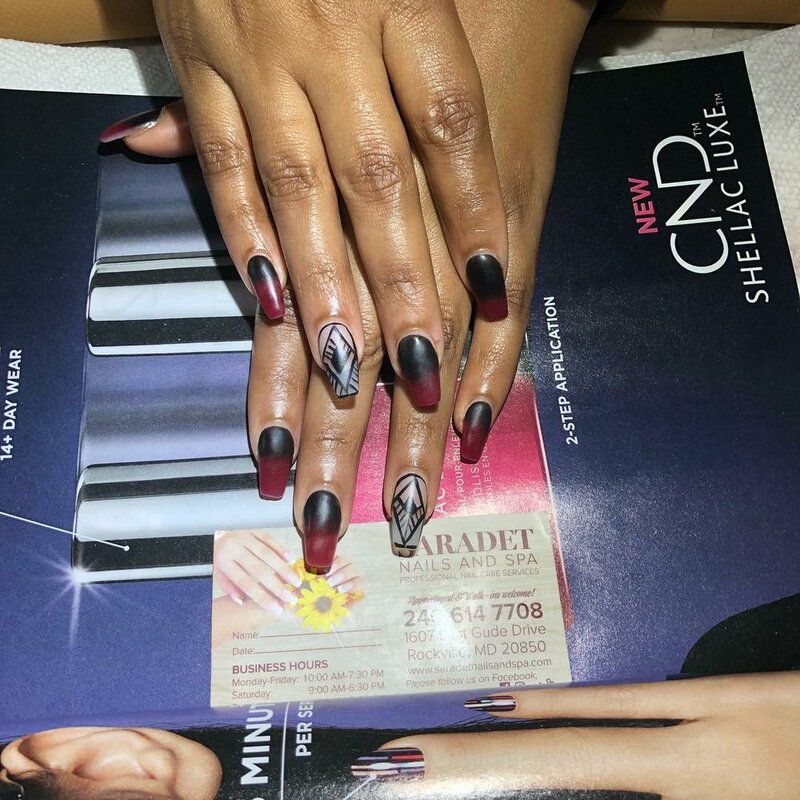 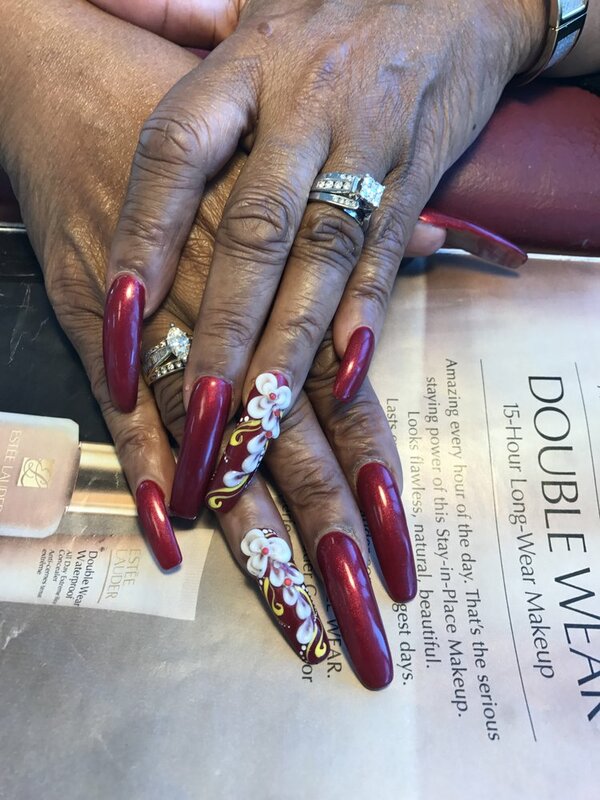 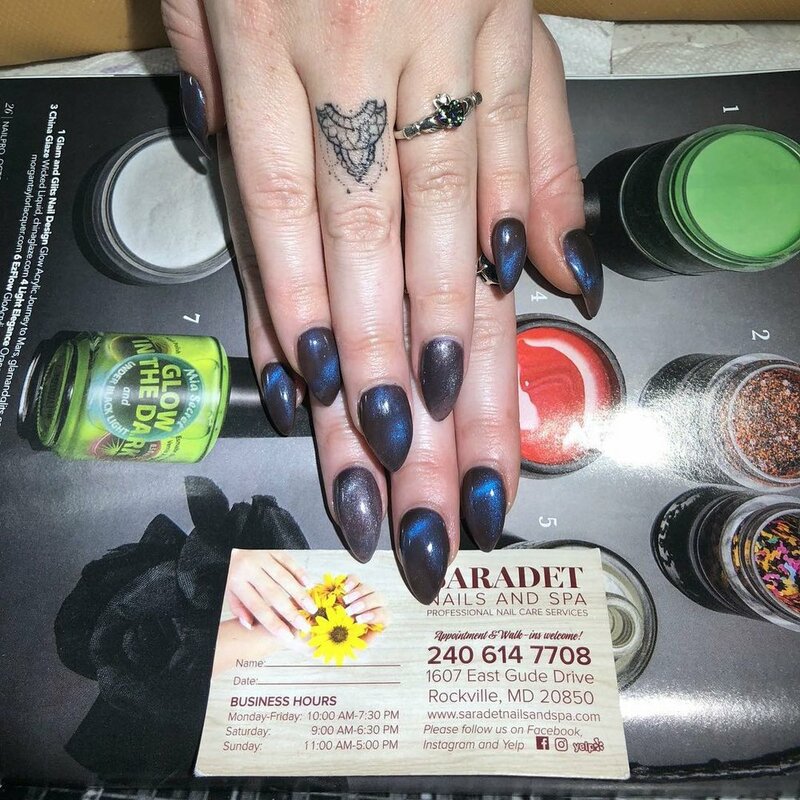 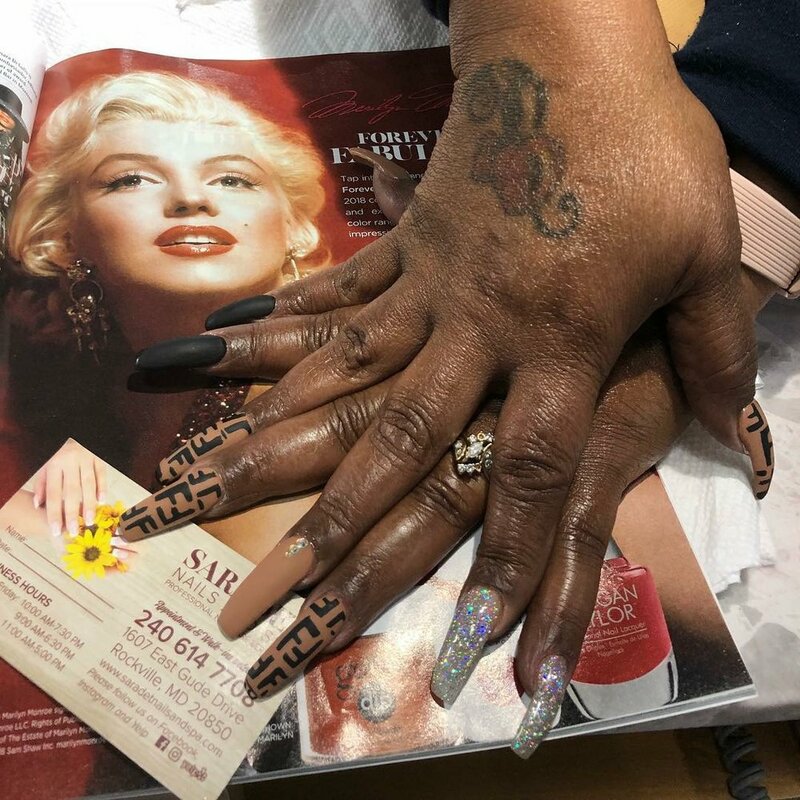 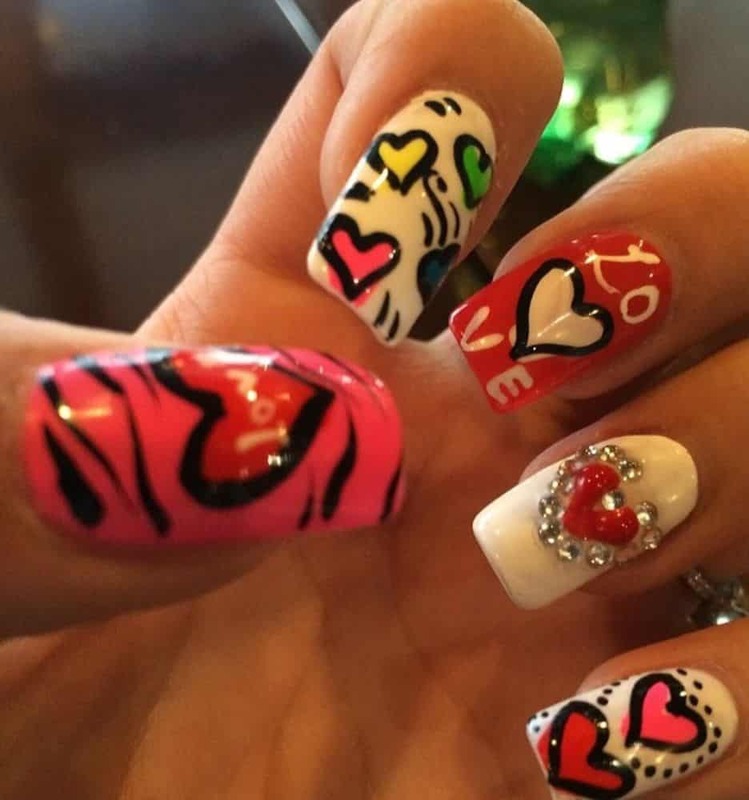 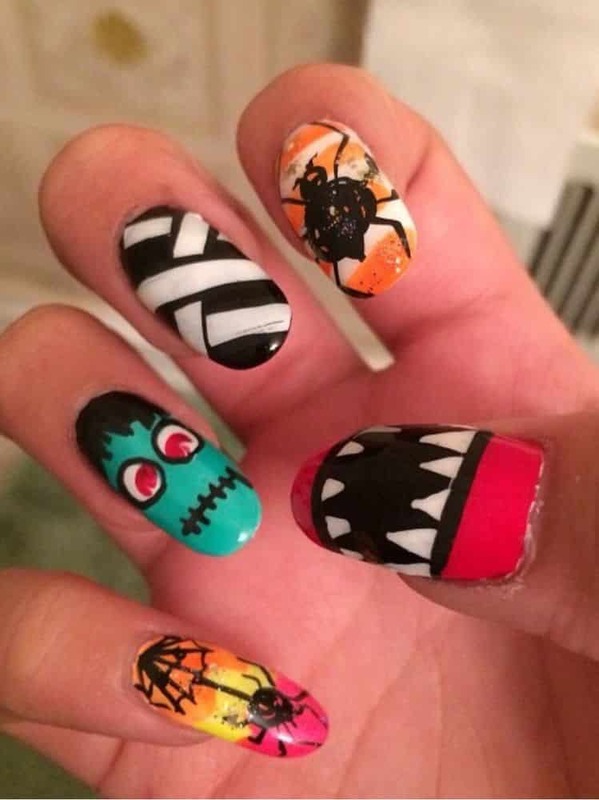 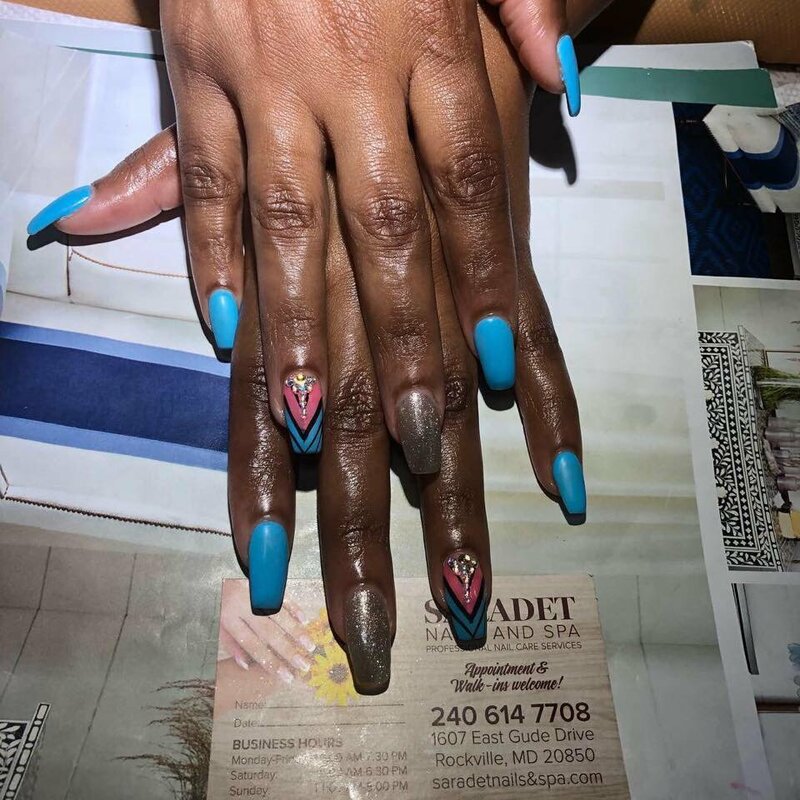 Sign up for our mailing list to get special nail deals and promotions.